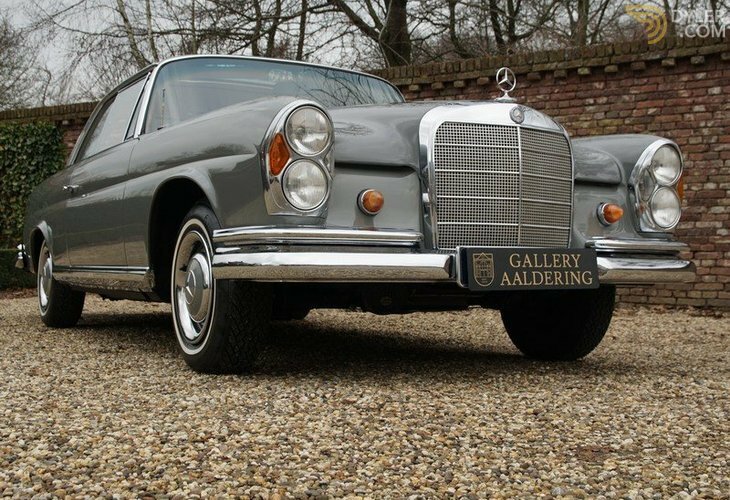 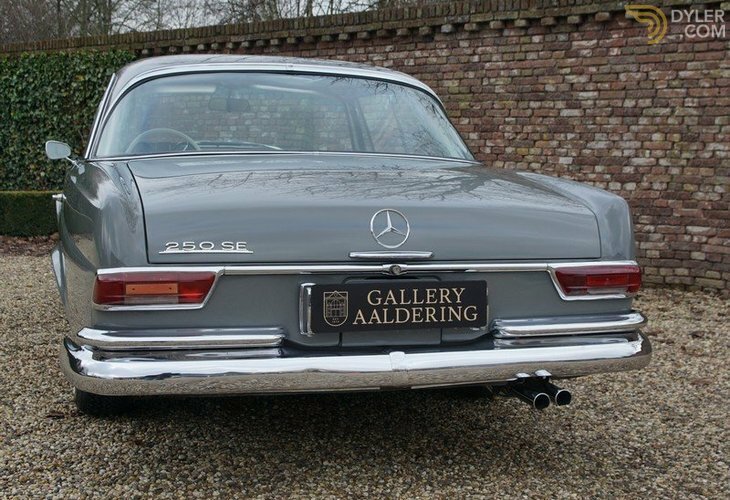 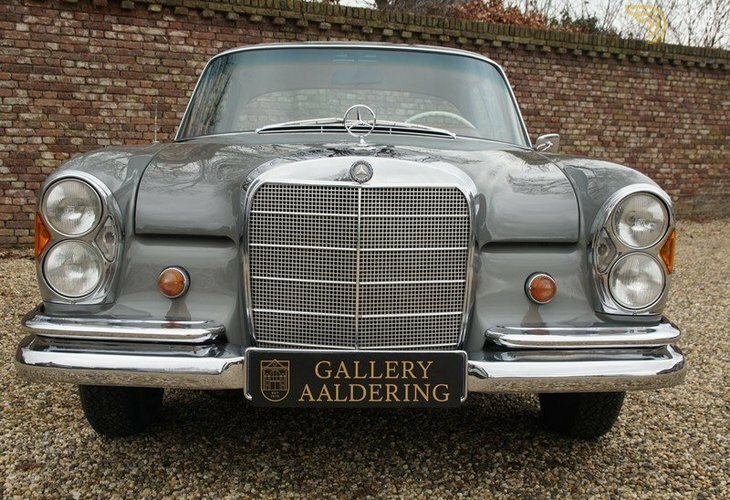 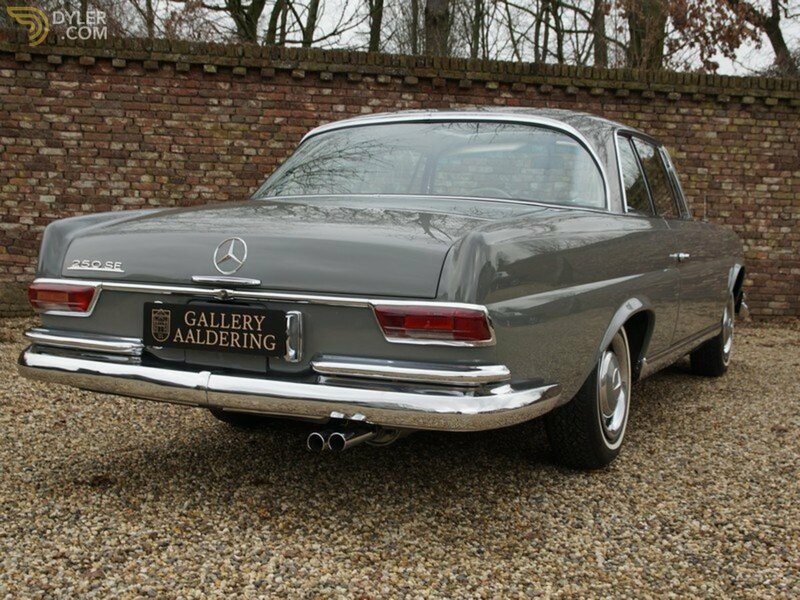 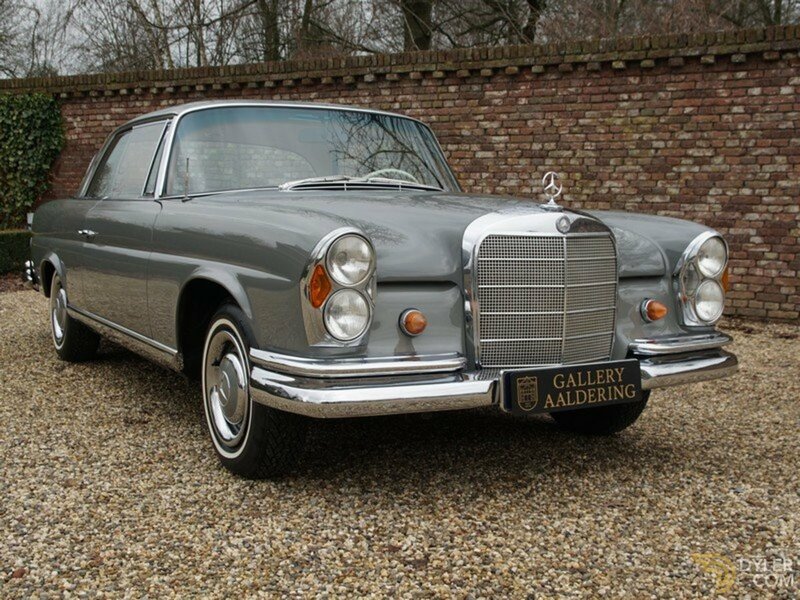 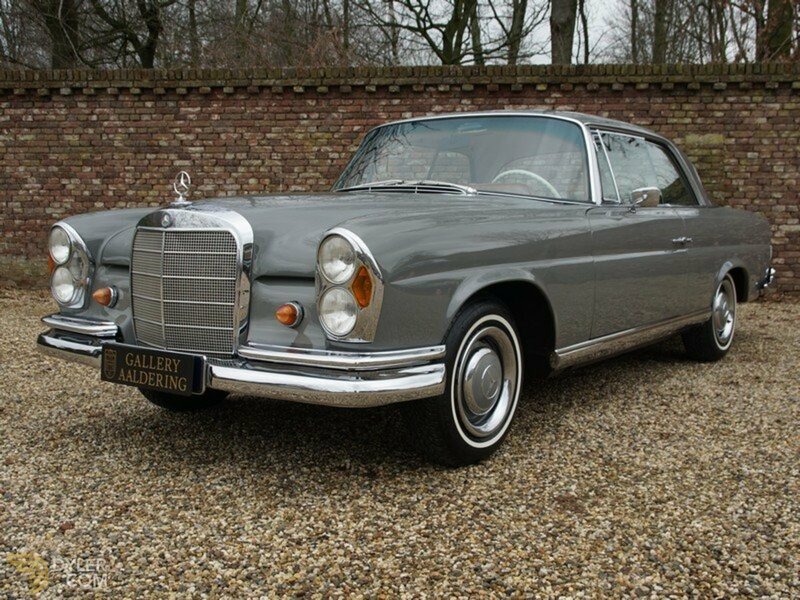 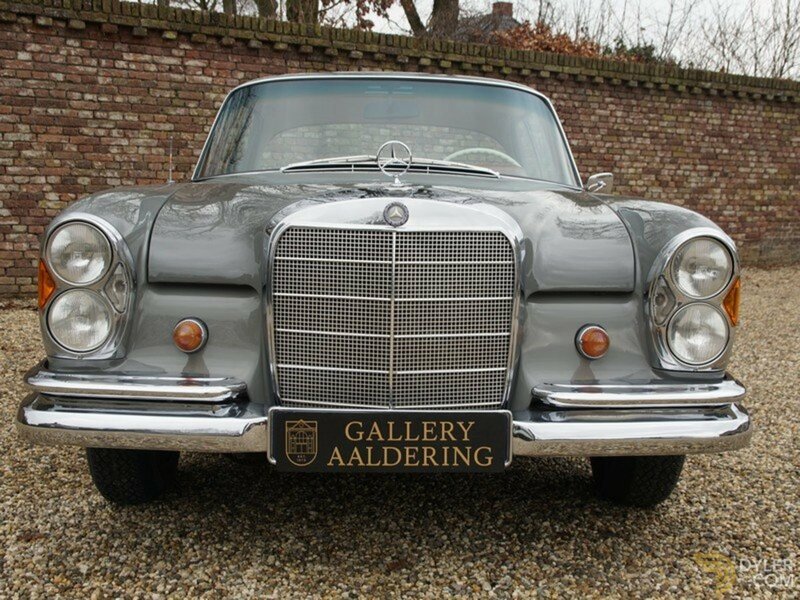 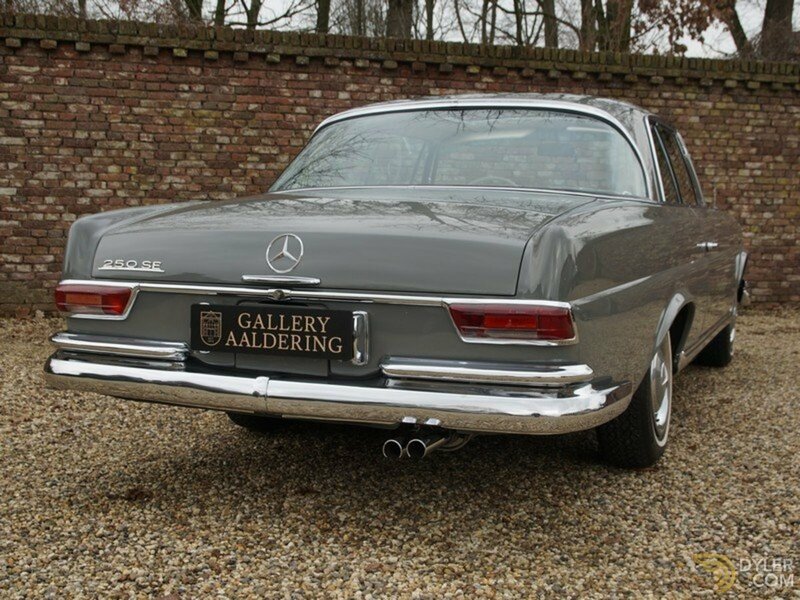 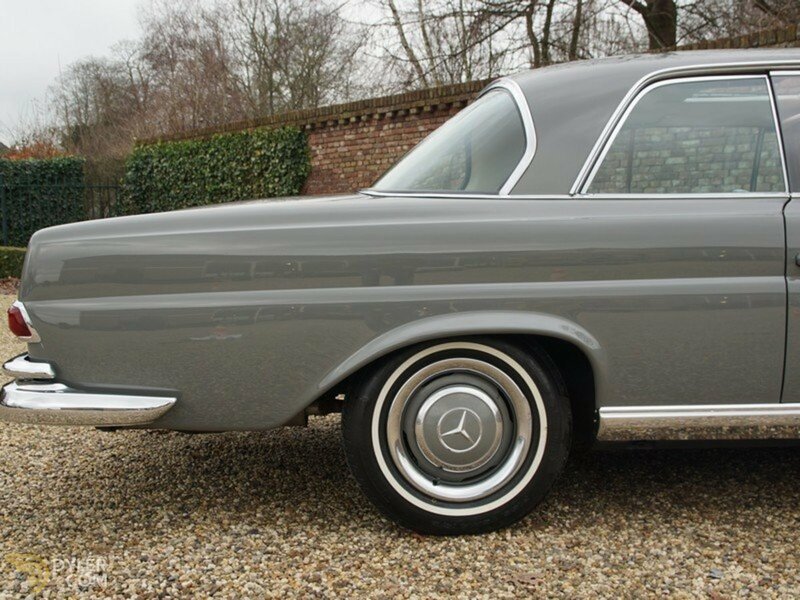 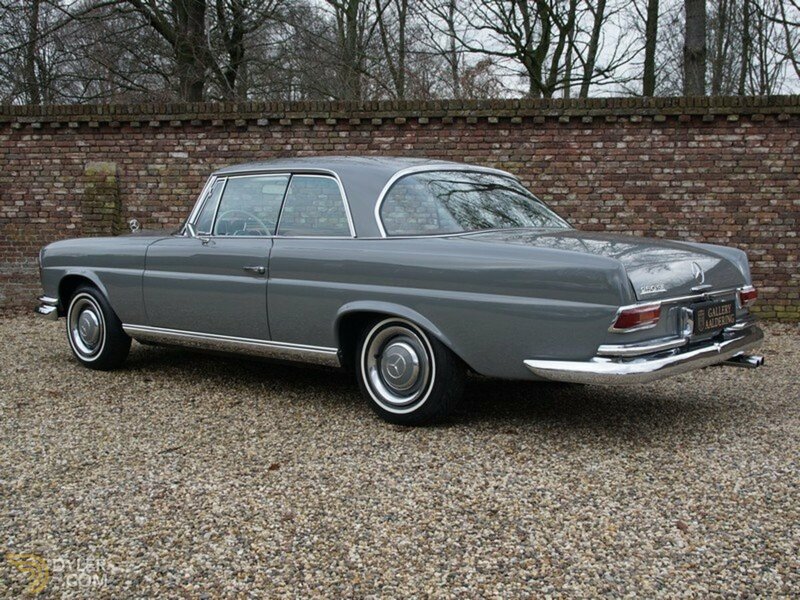 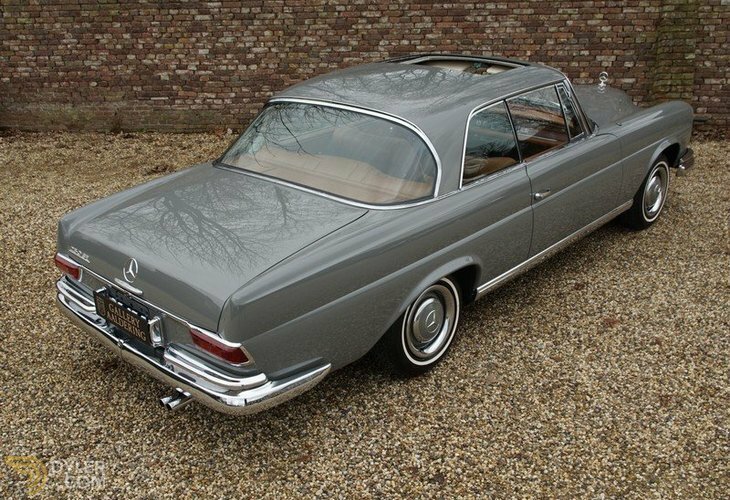 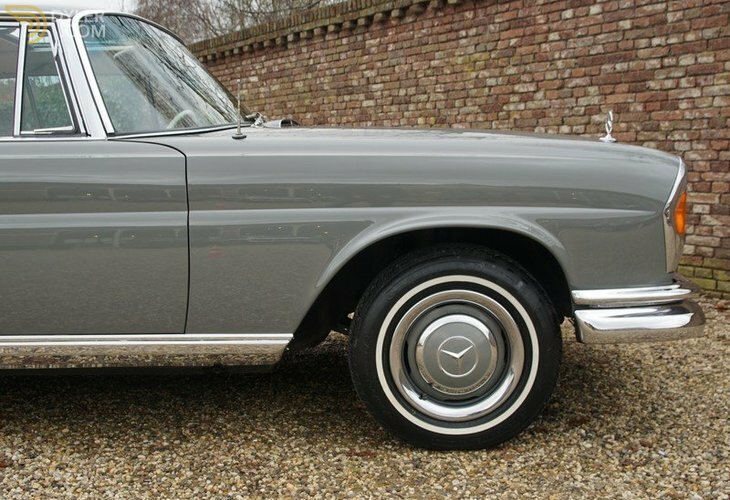 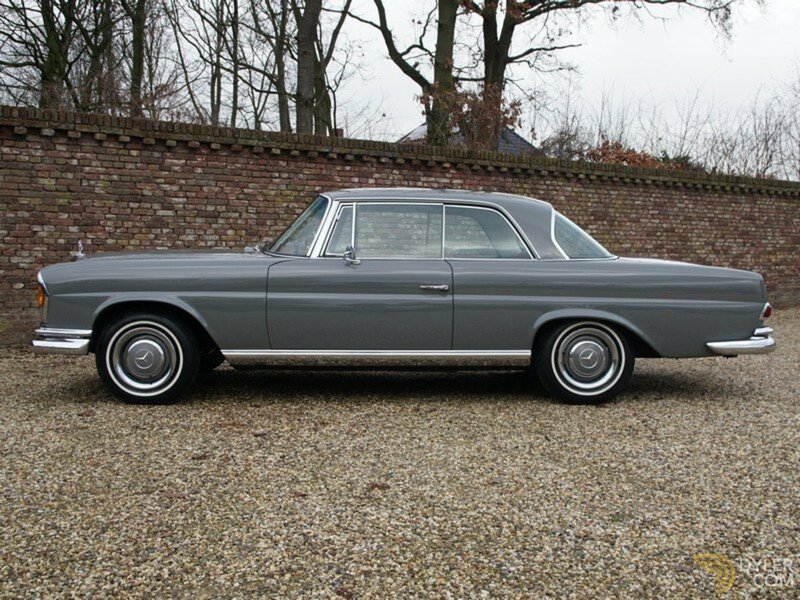 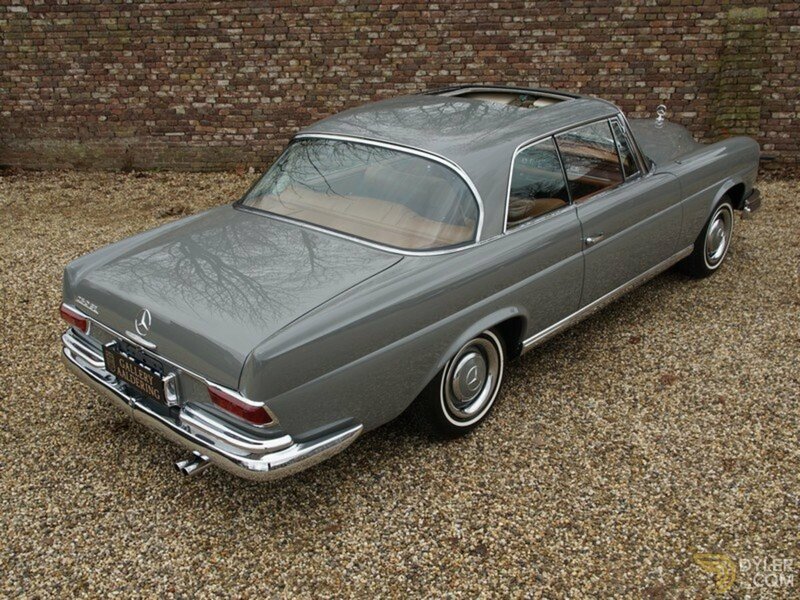 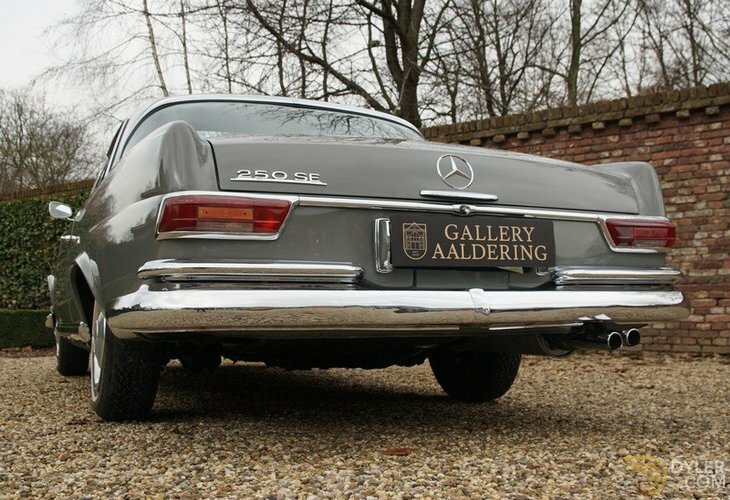 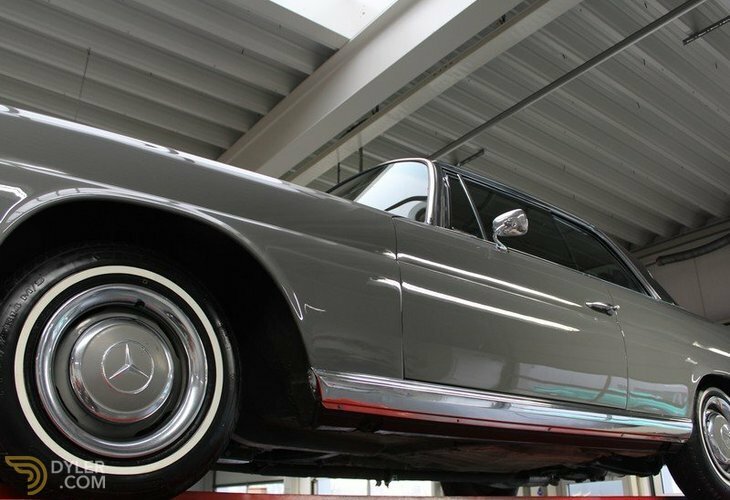 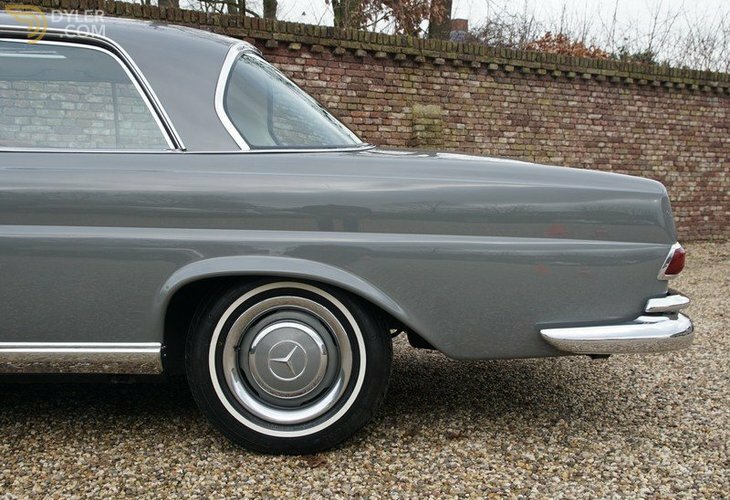 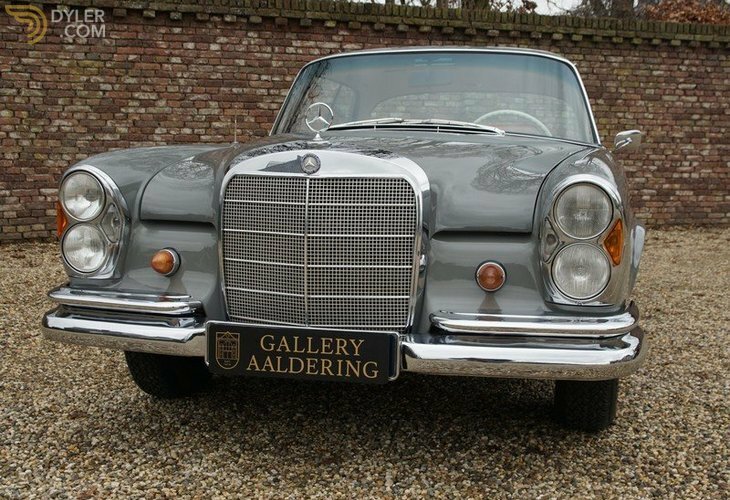 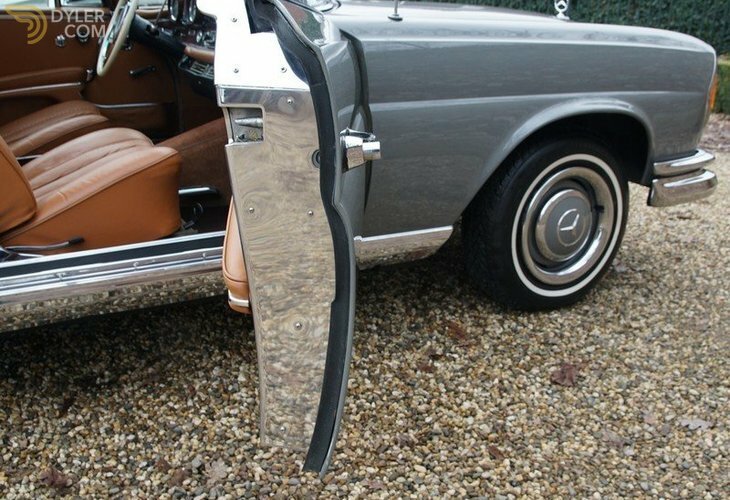 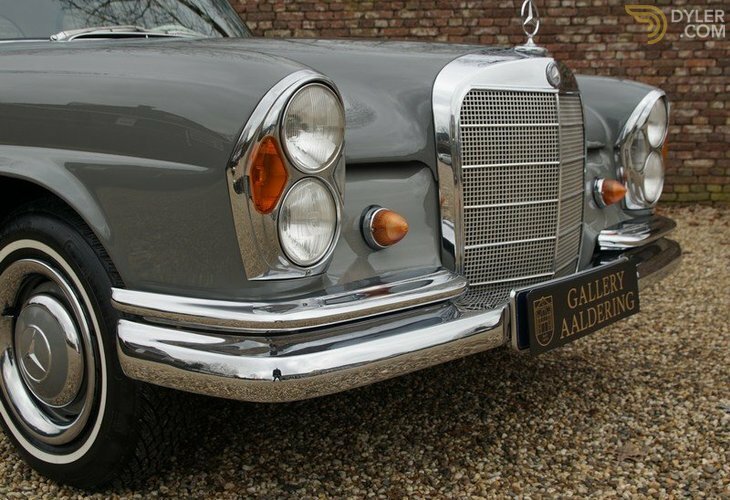 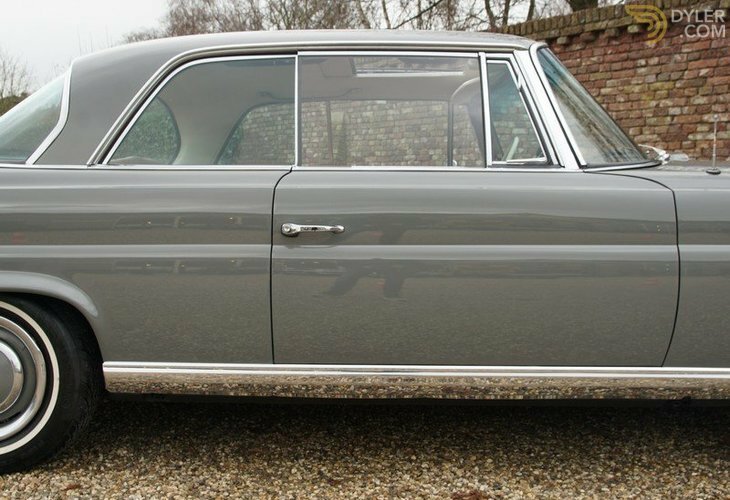 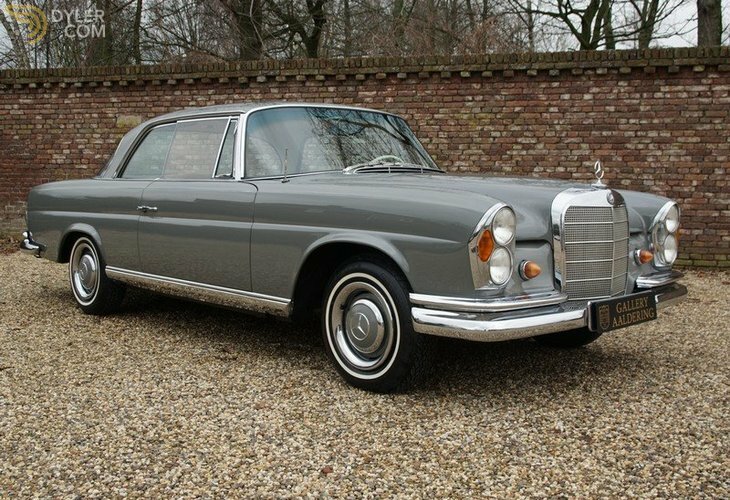 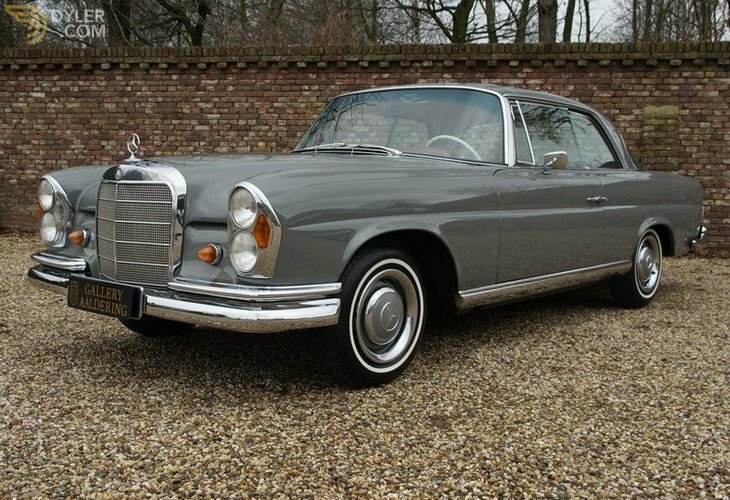 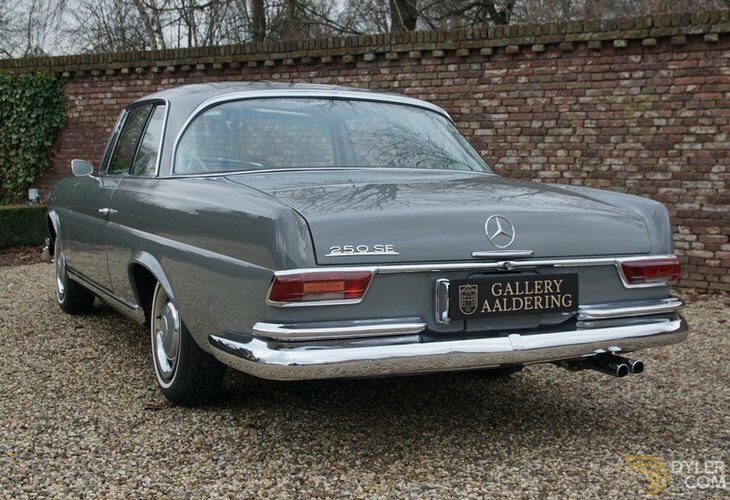 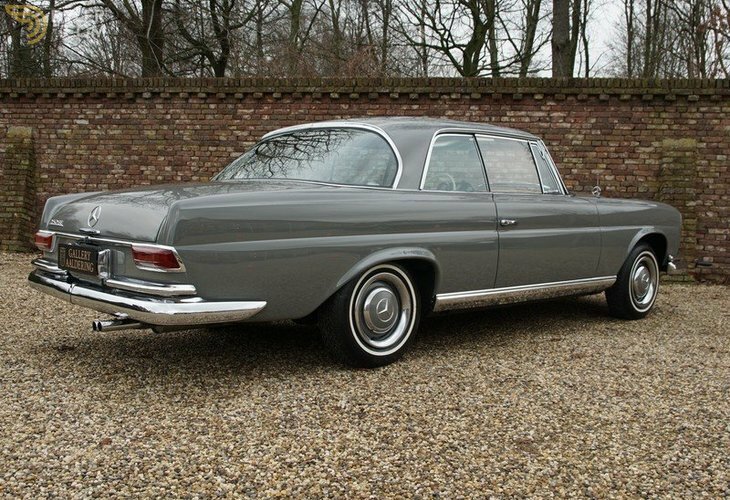 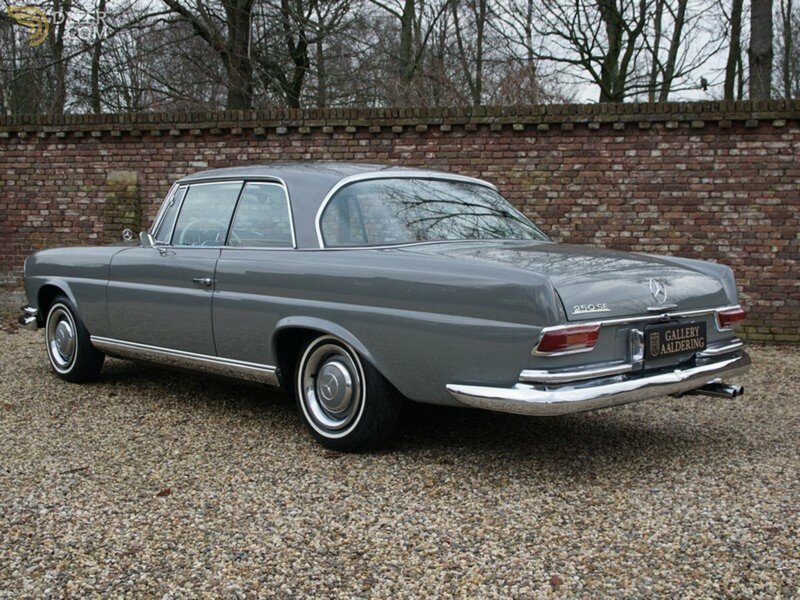 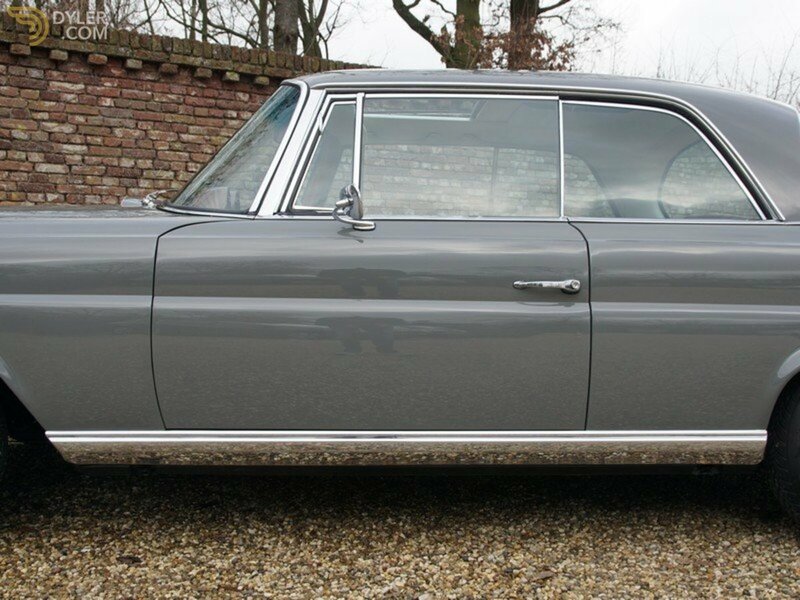 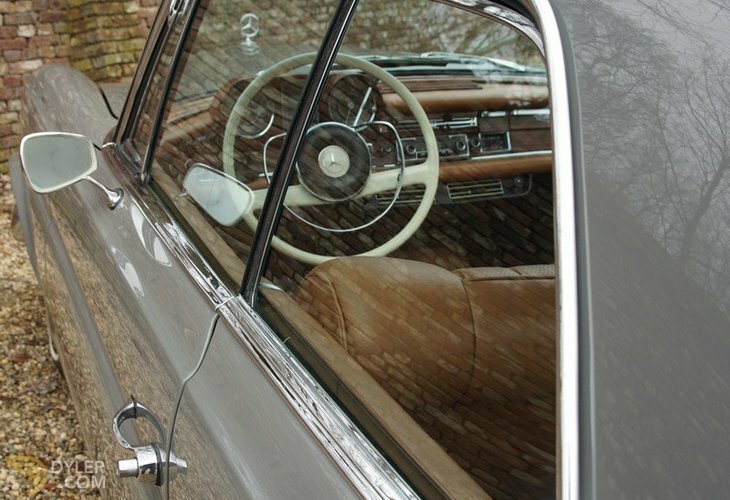 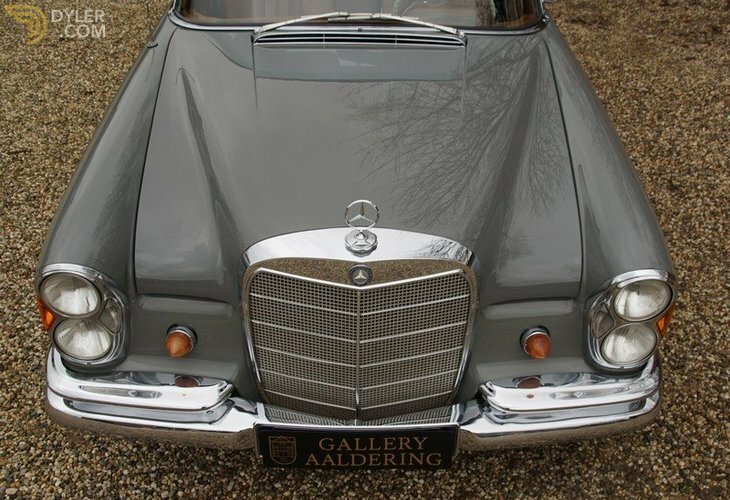 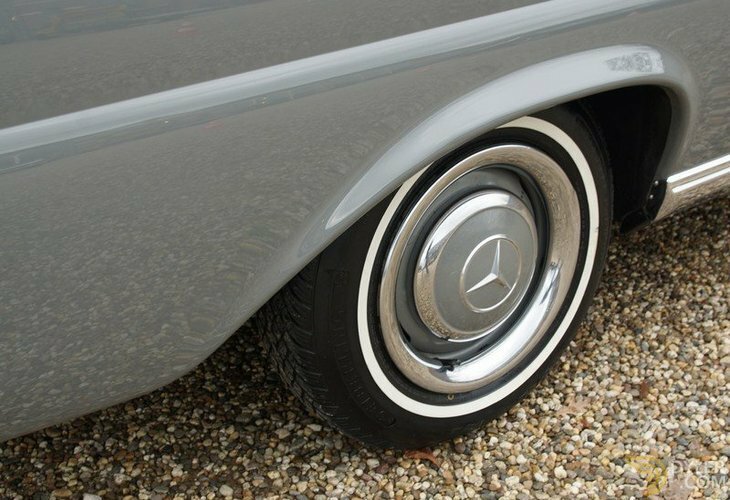 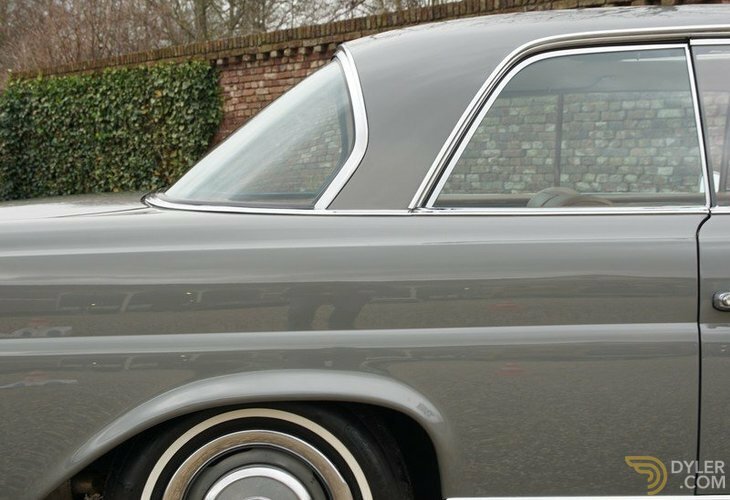 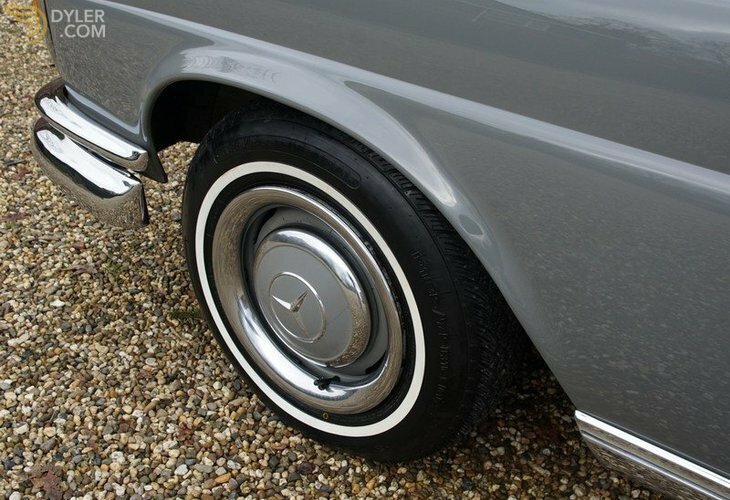 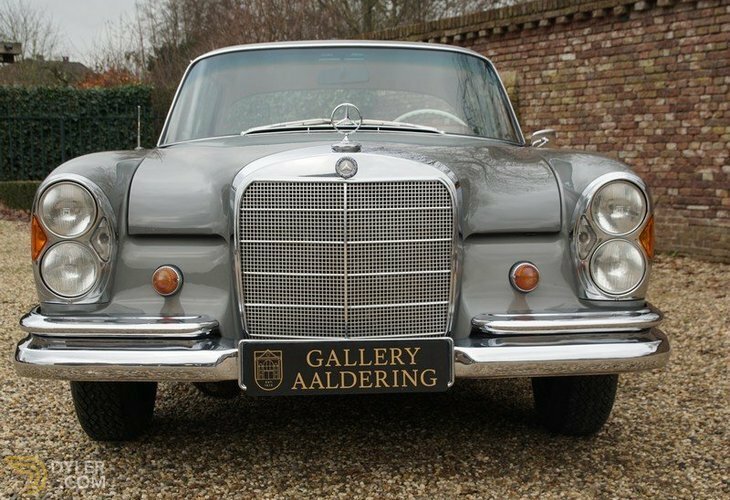 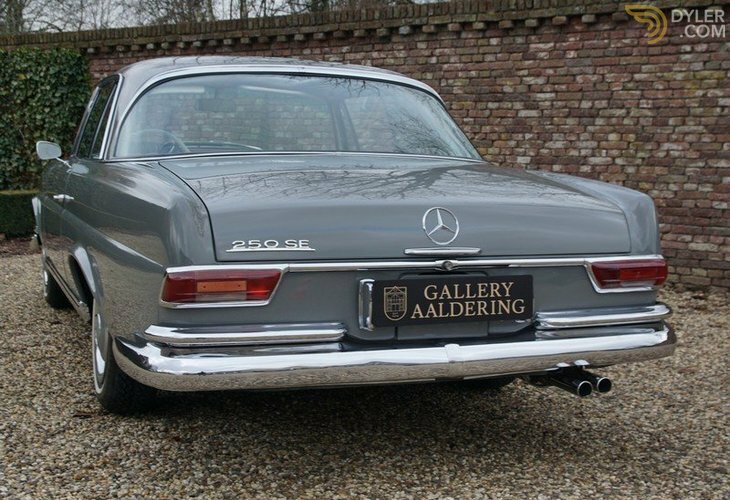 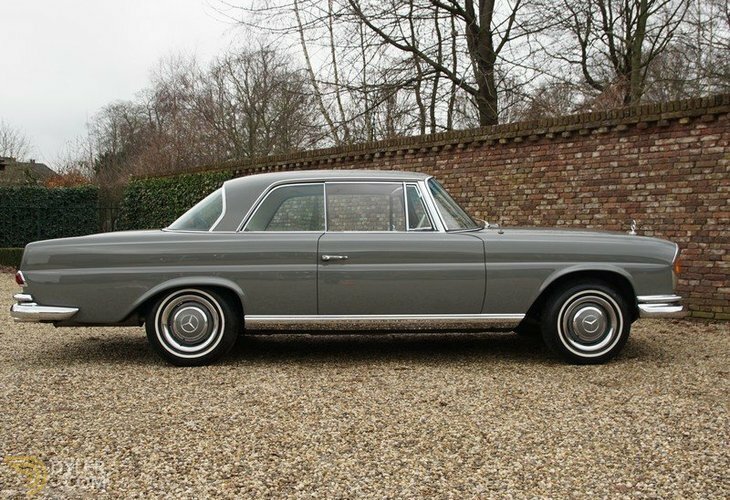 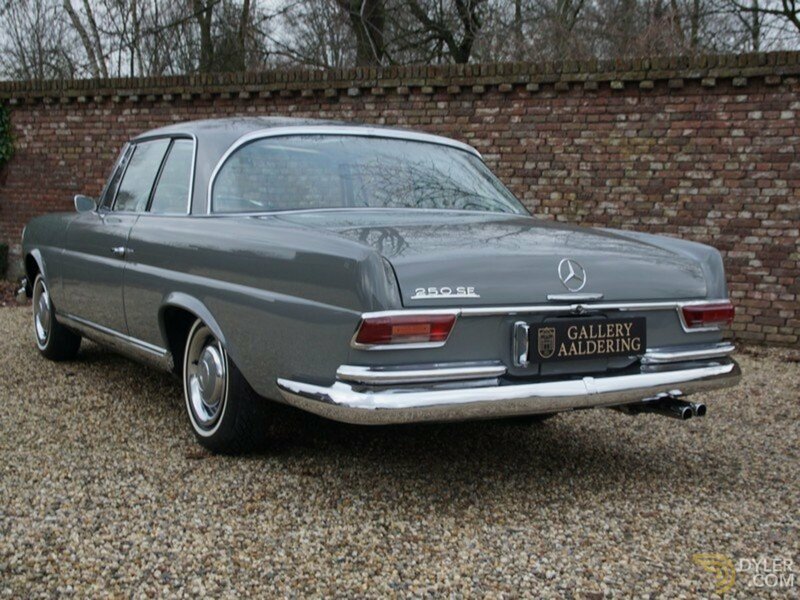 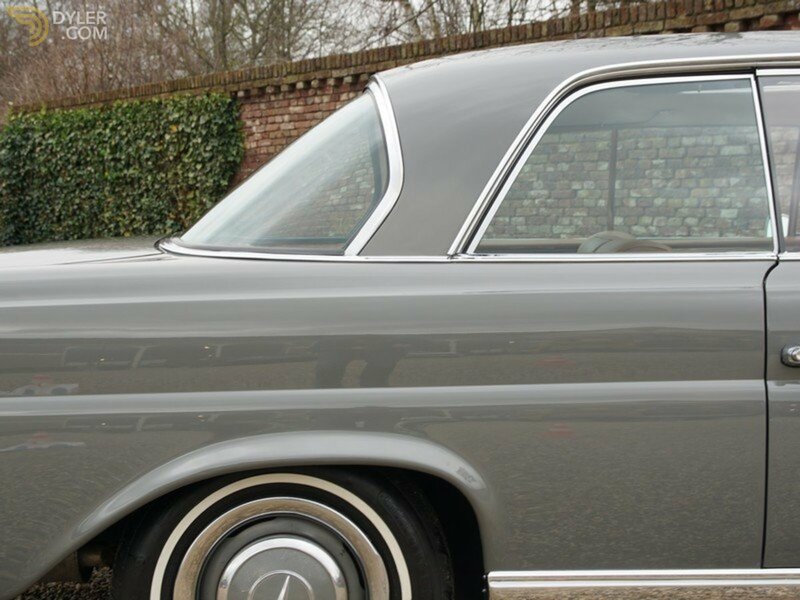 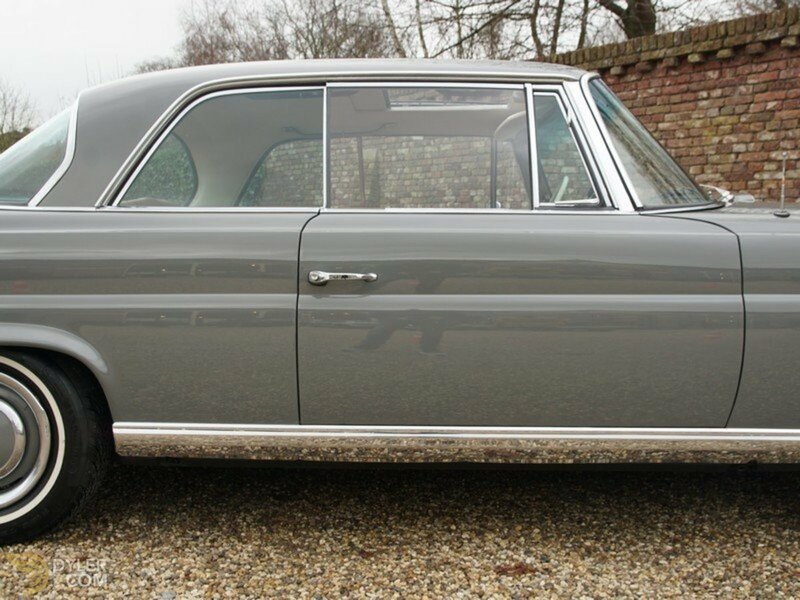 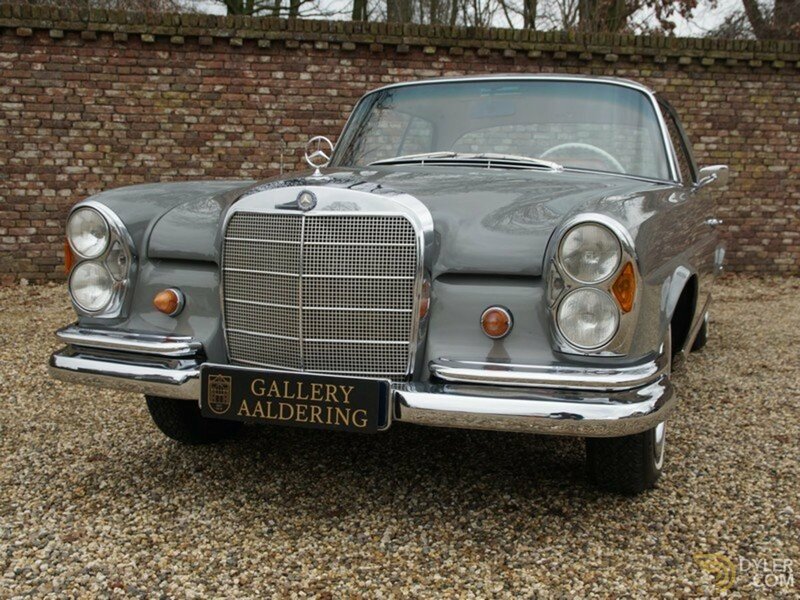 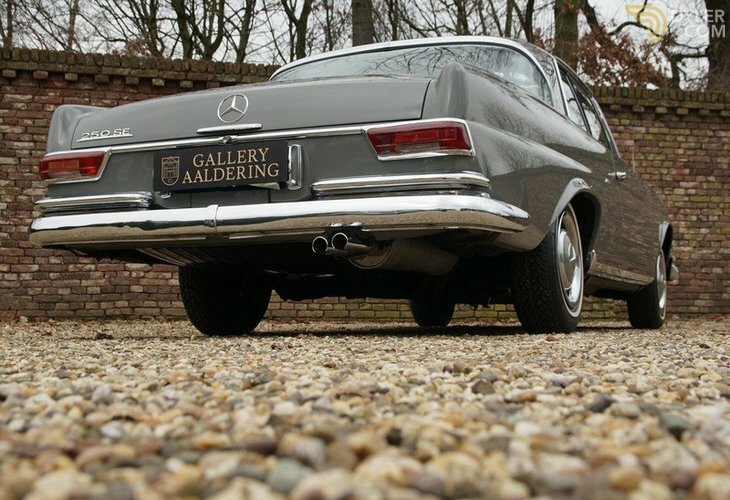 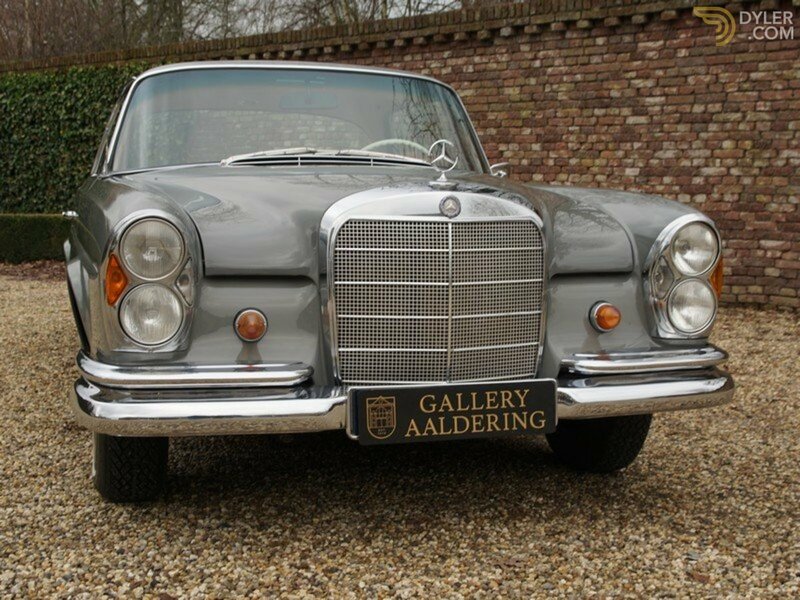 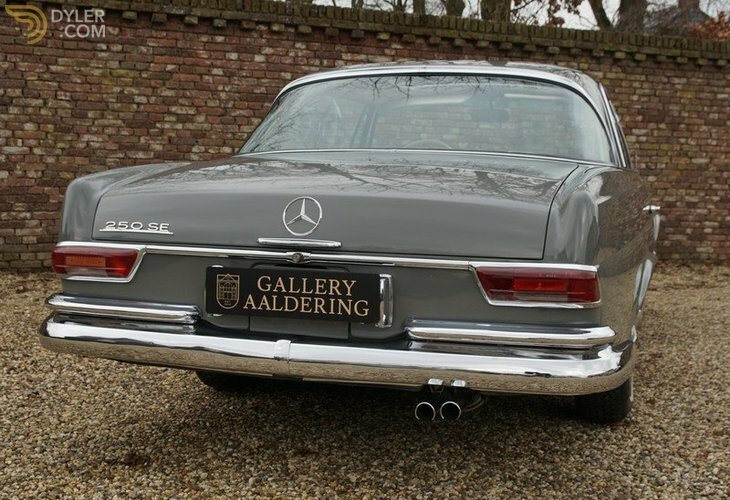 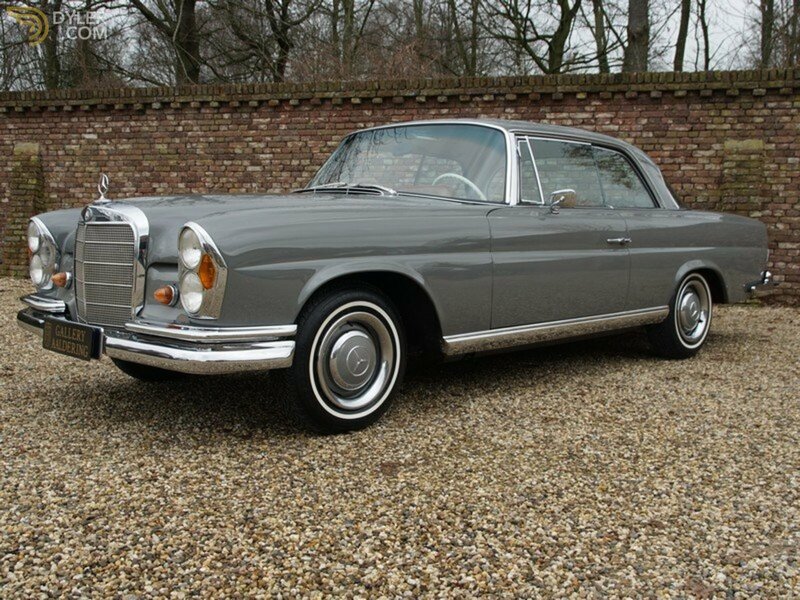 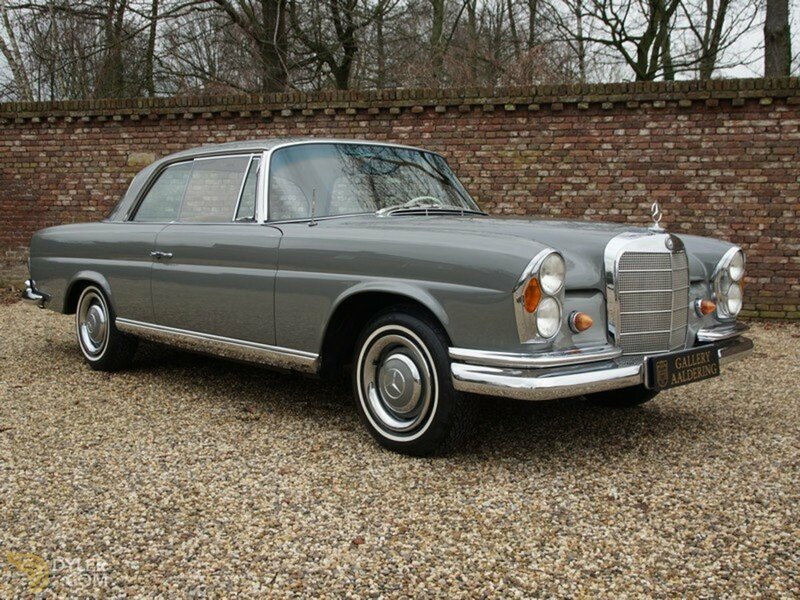 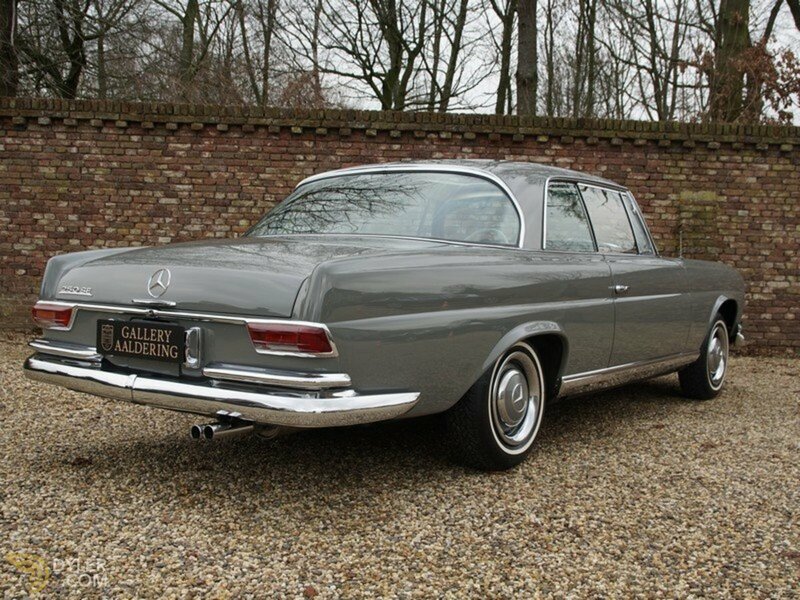 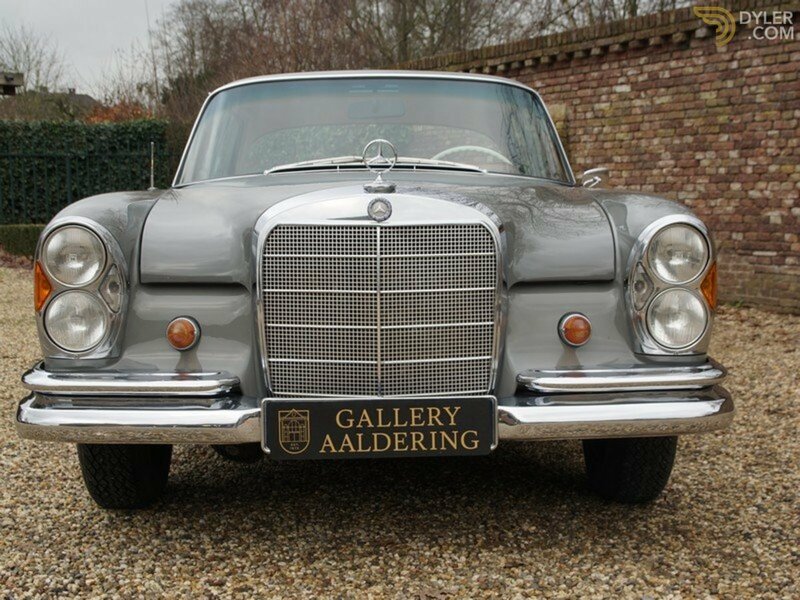 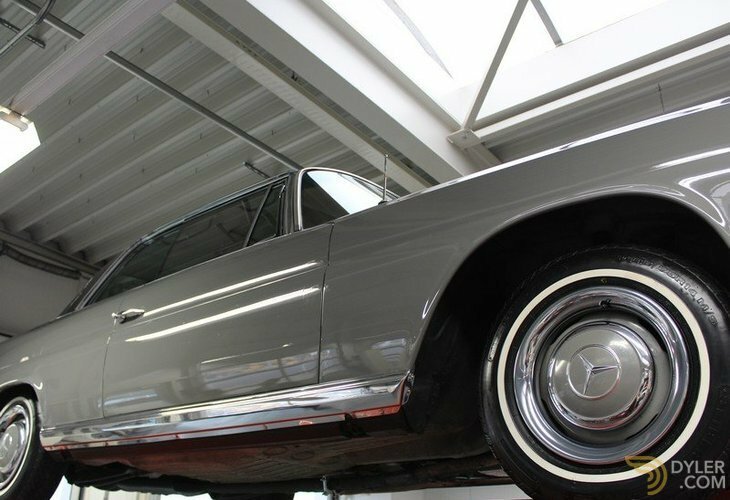 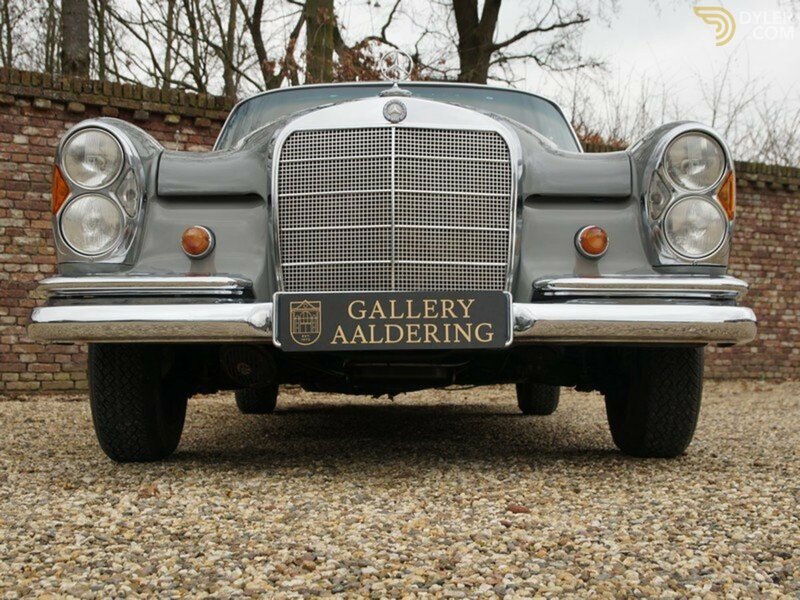 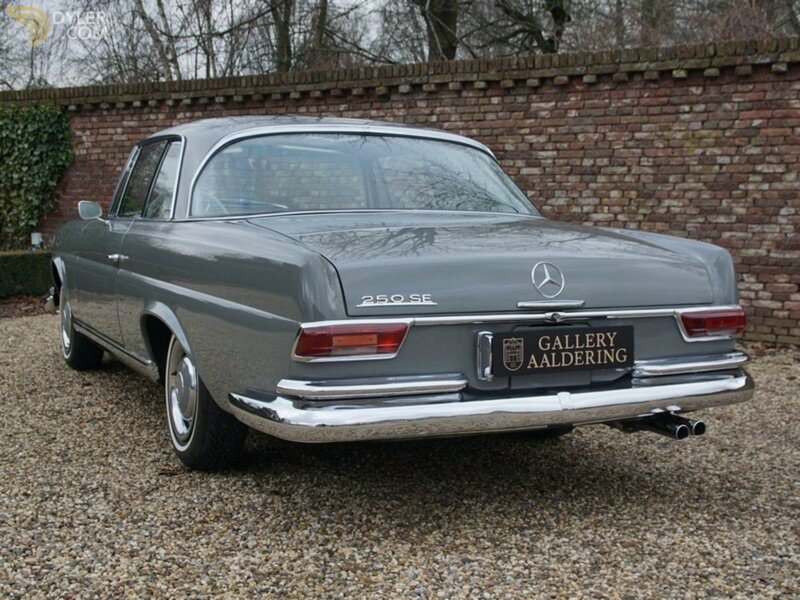 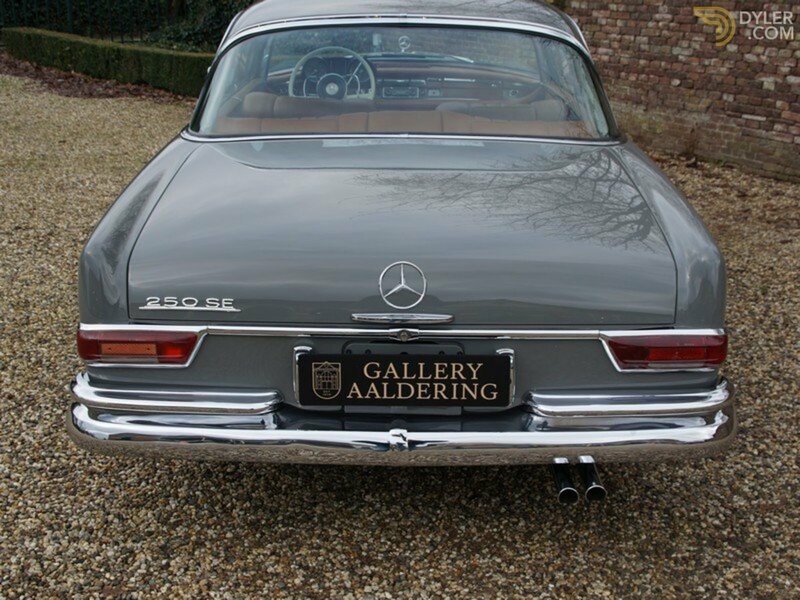 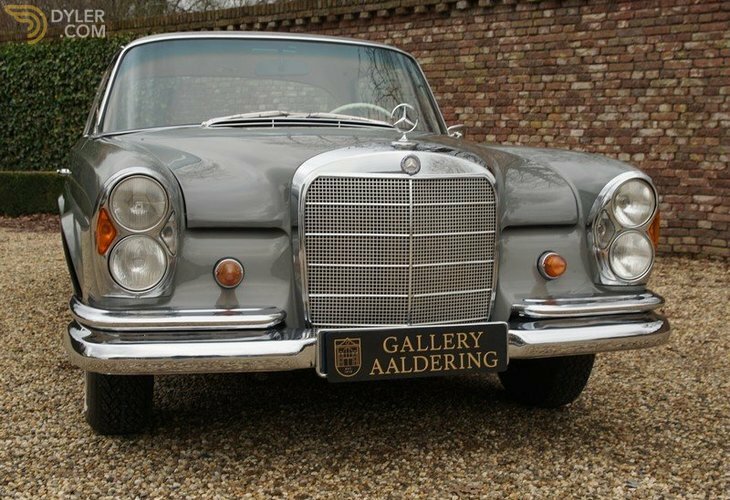 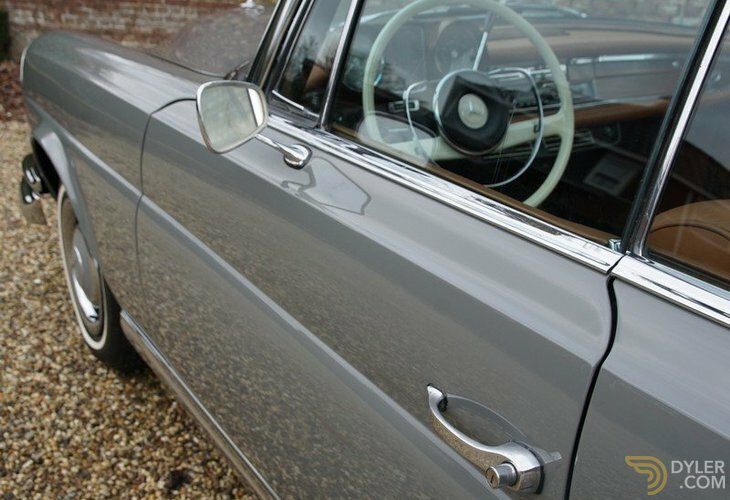 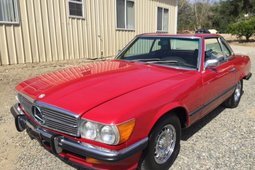 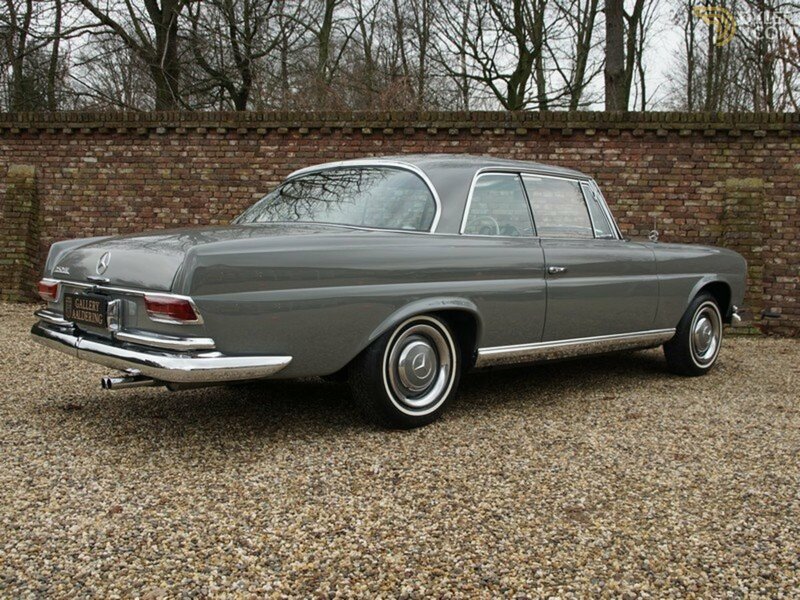 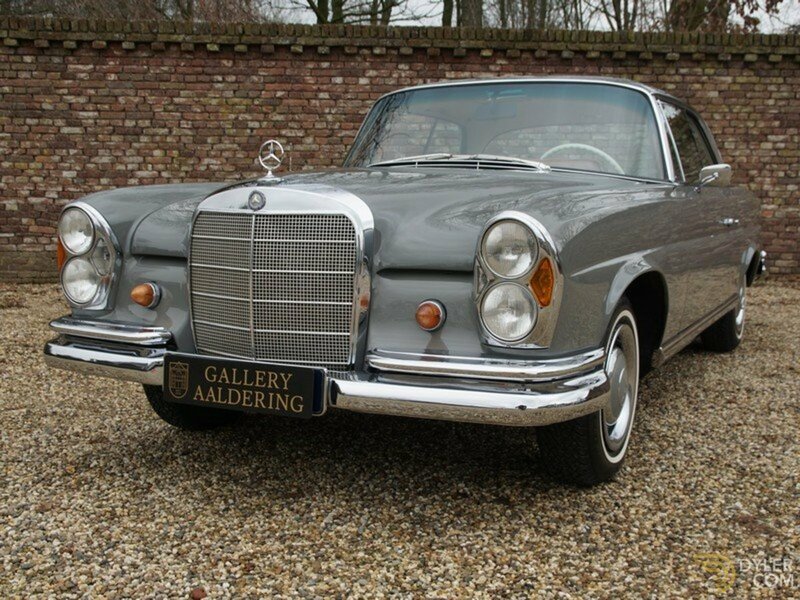 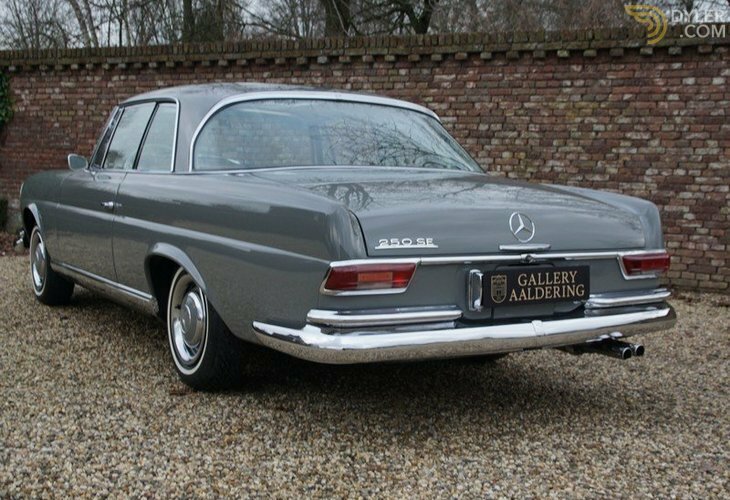 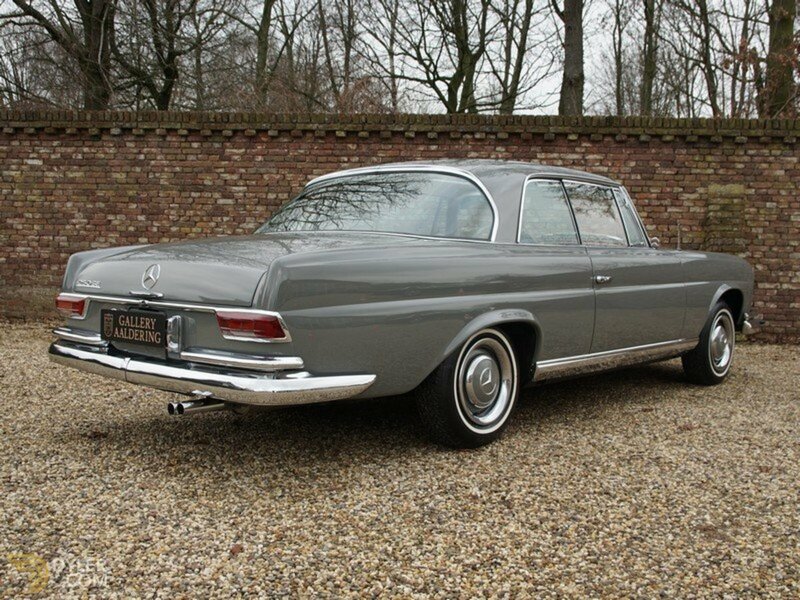 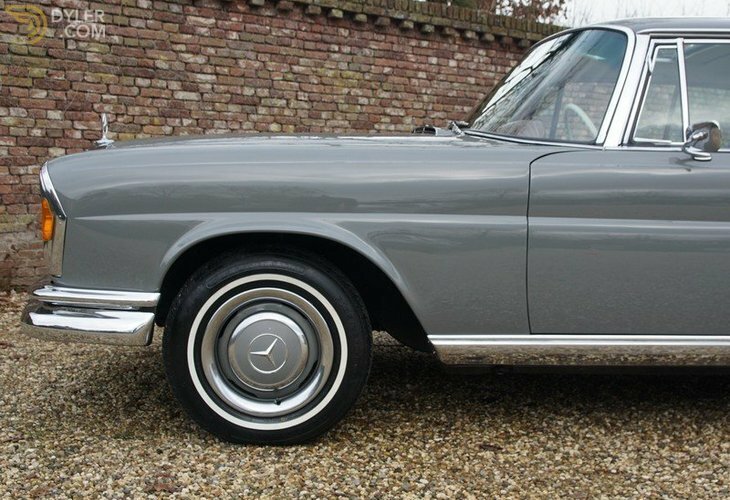 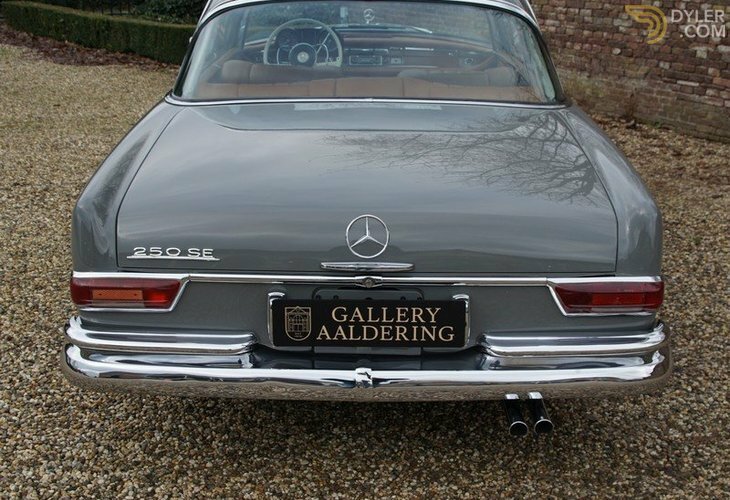 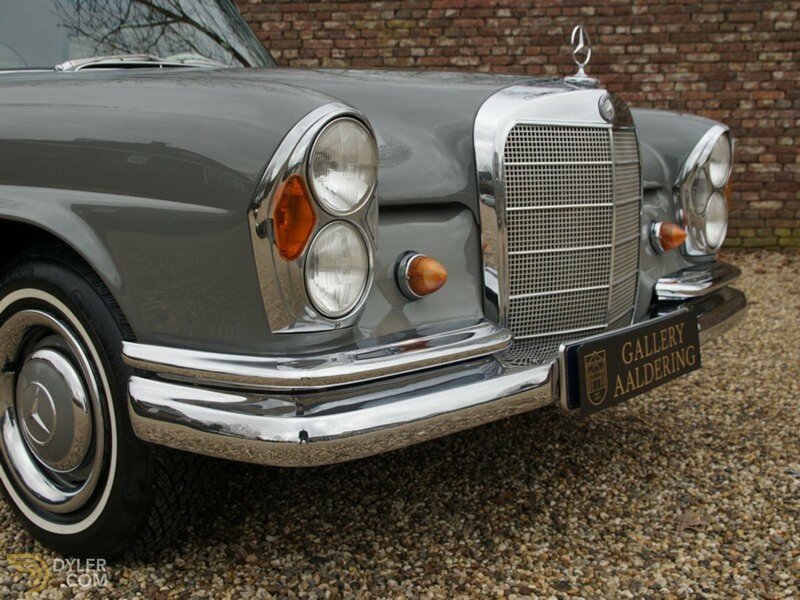 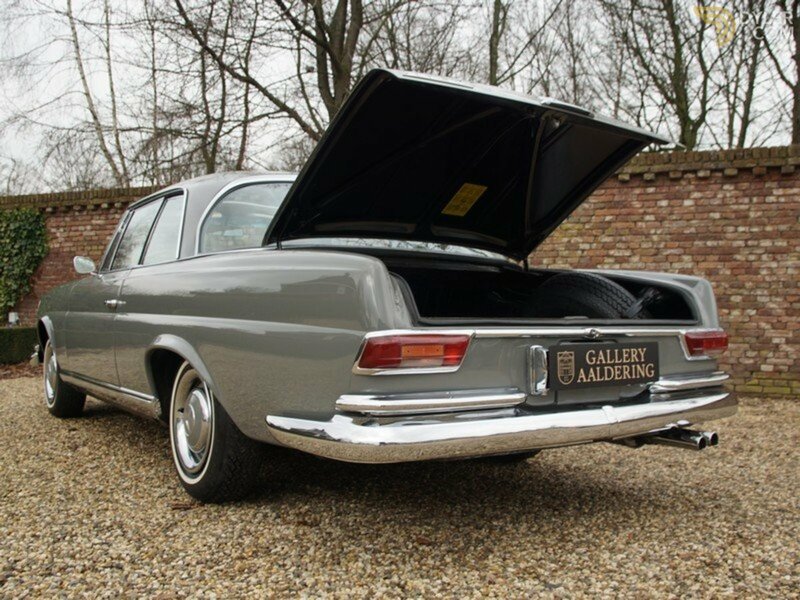 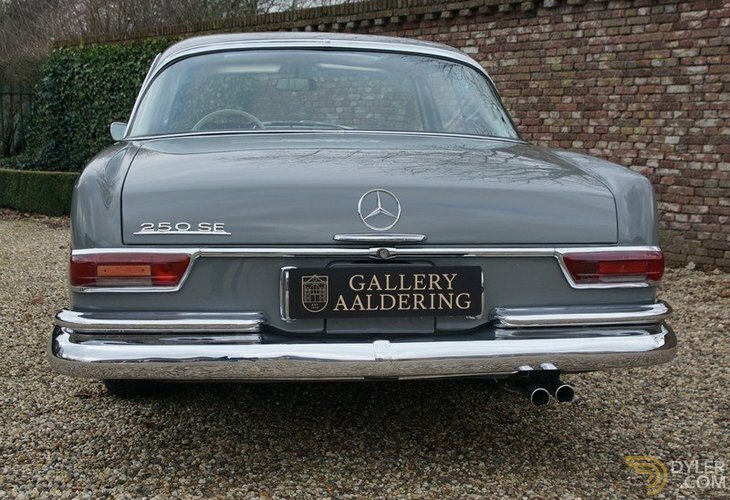 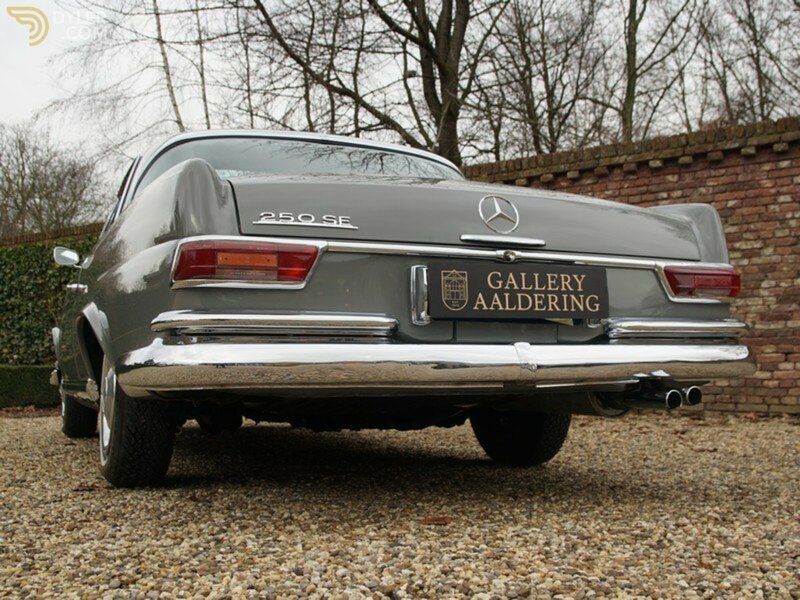 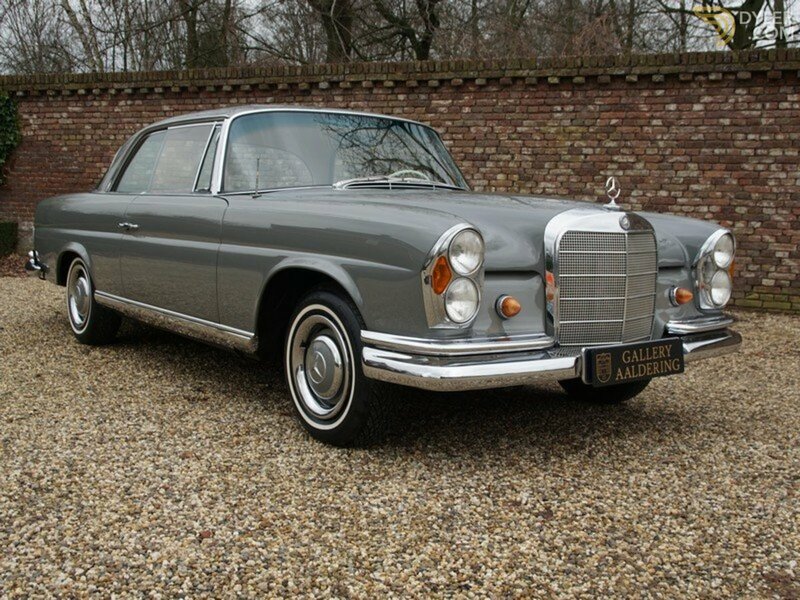 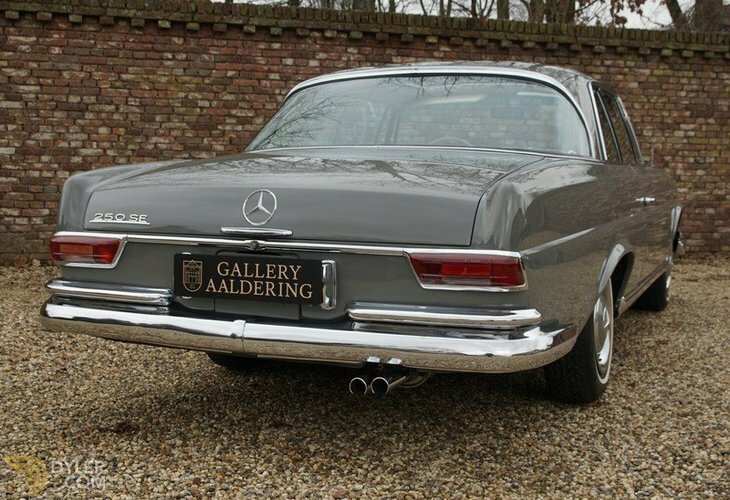 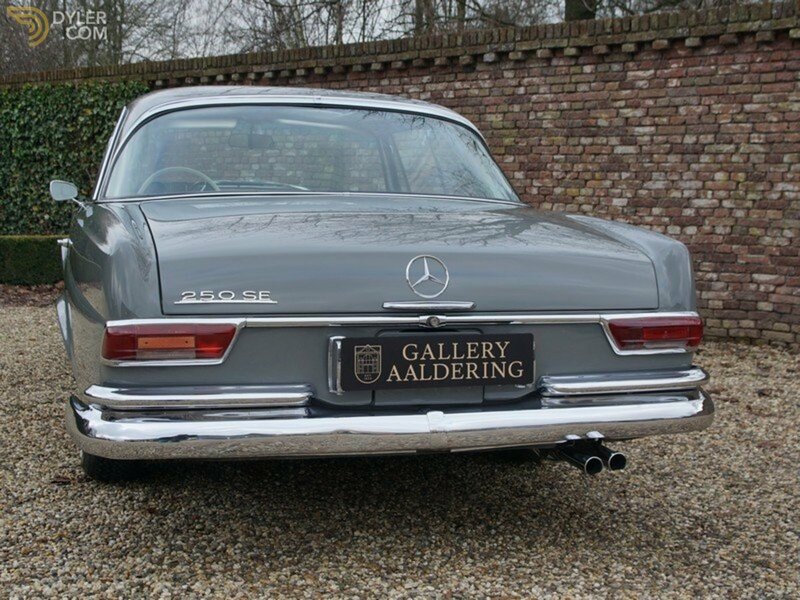 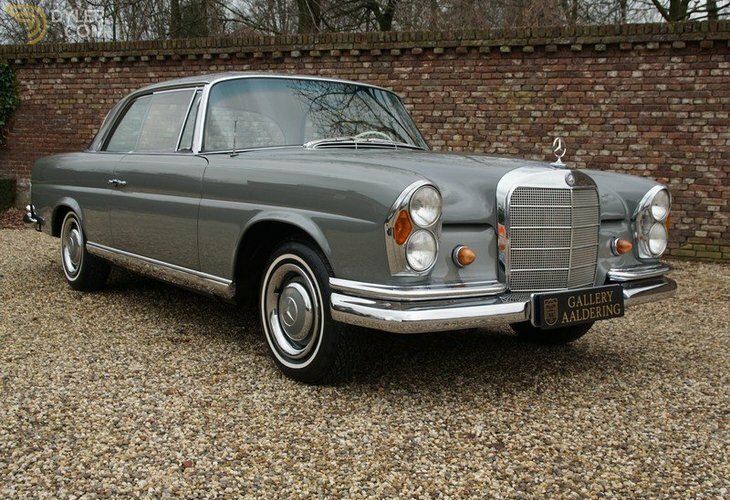 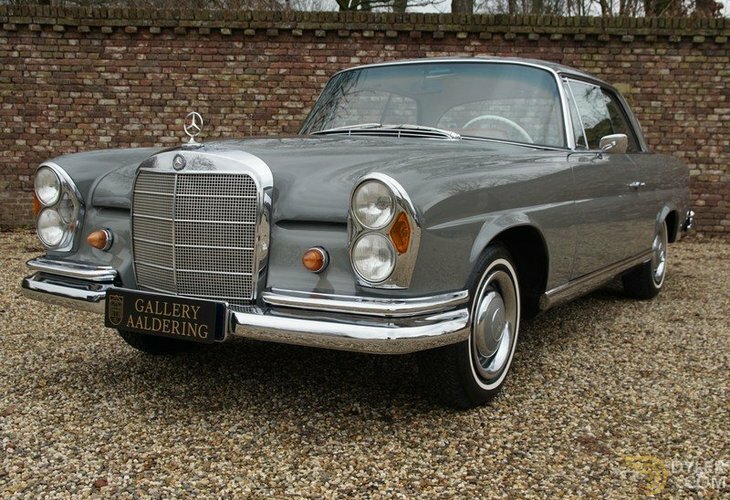 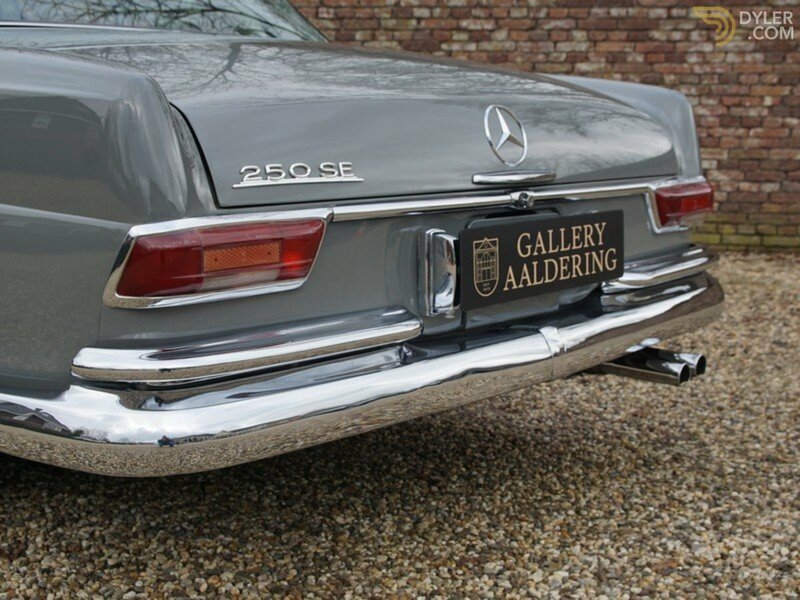 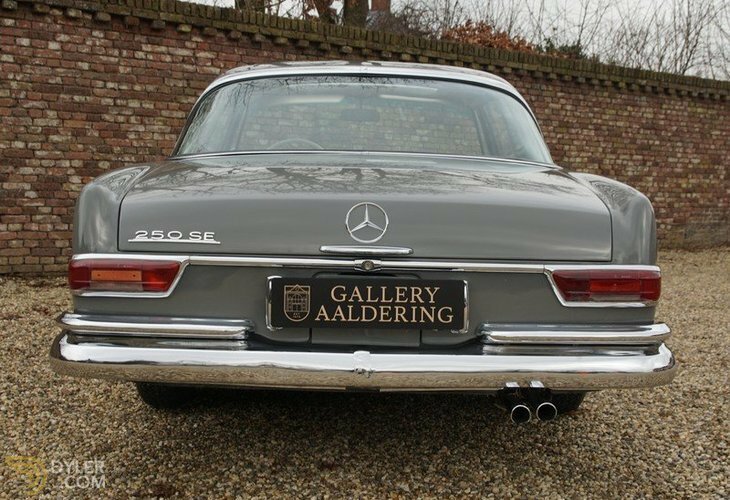 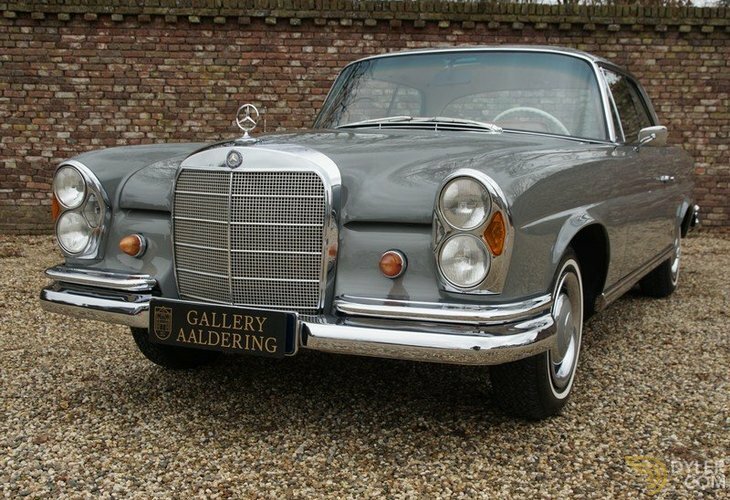 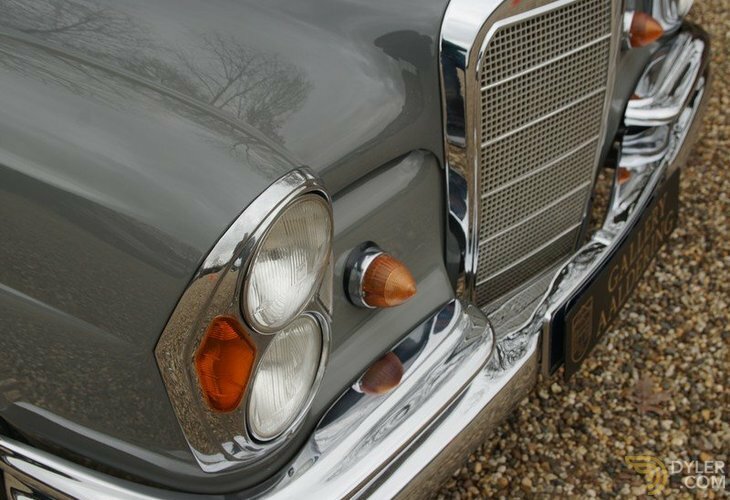 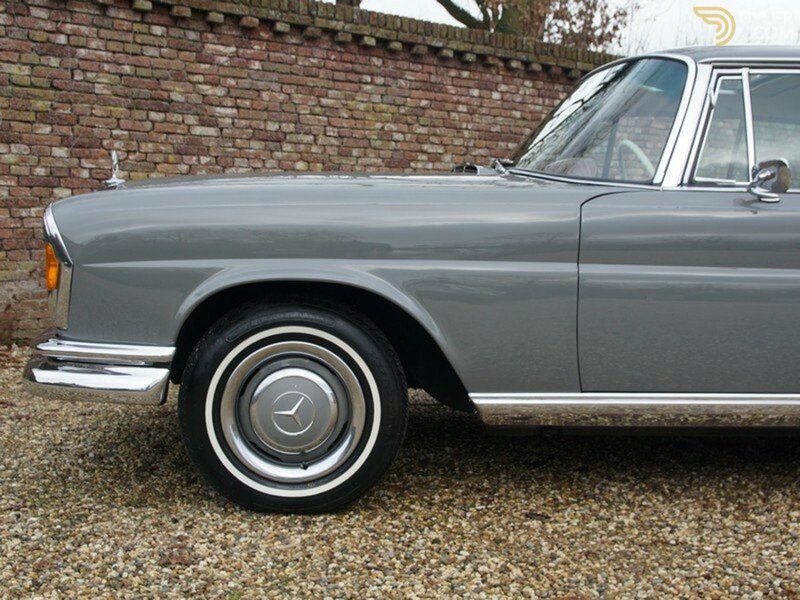 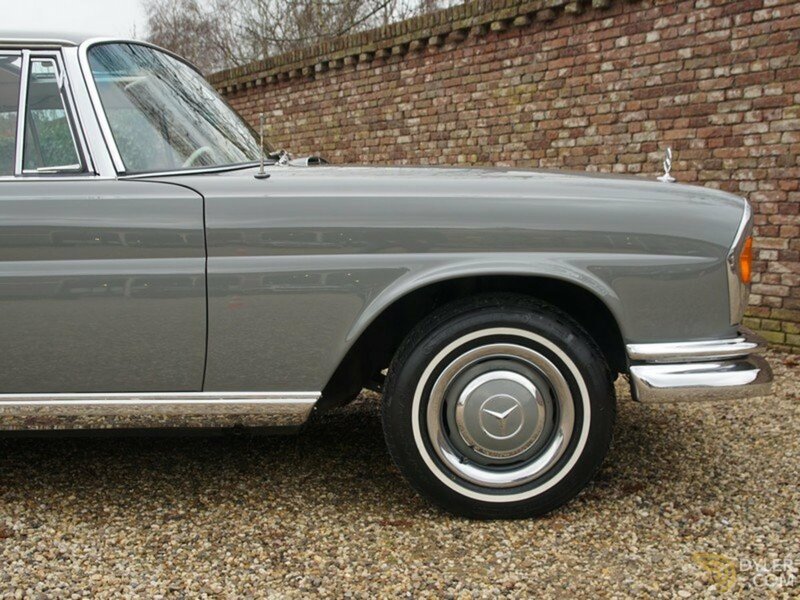 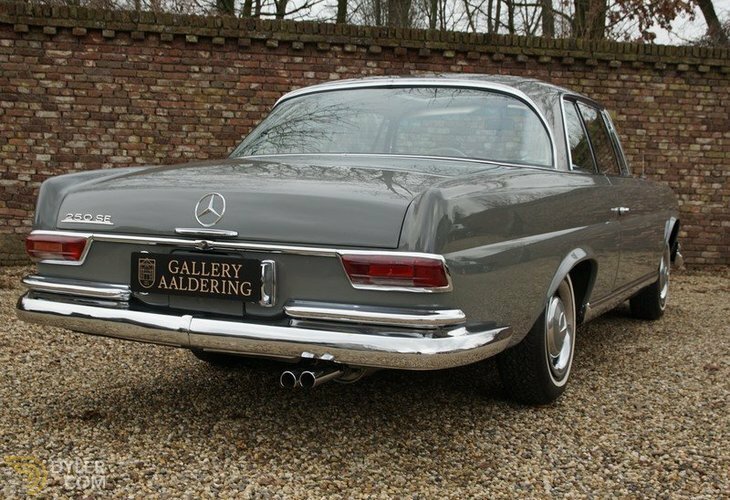 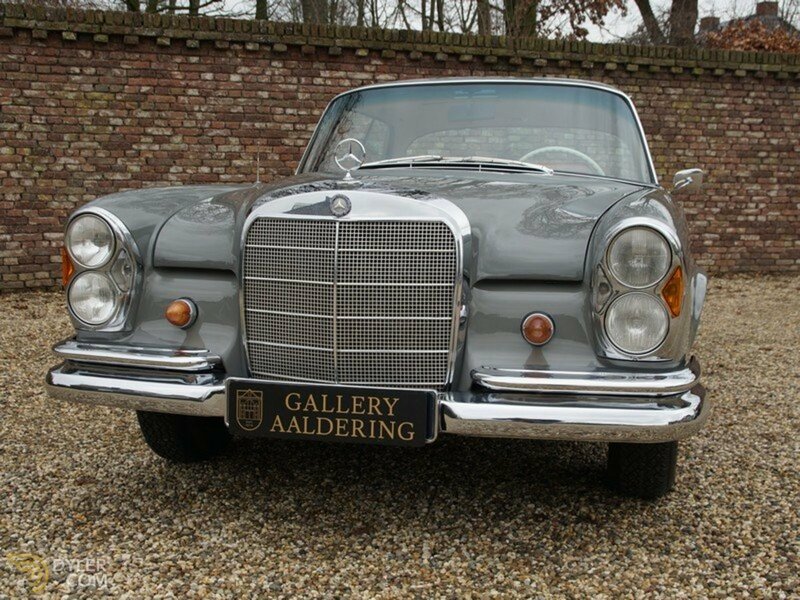 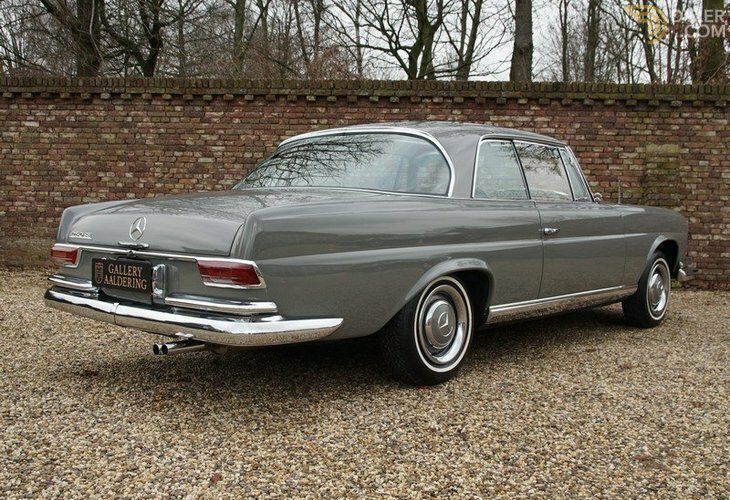 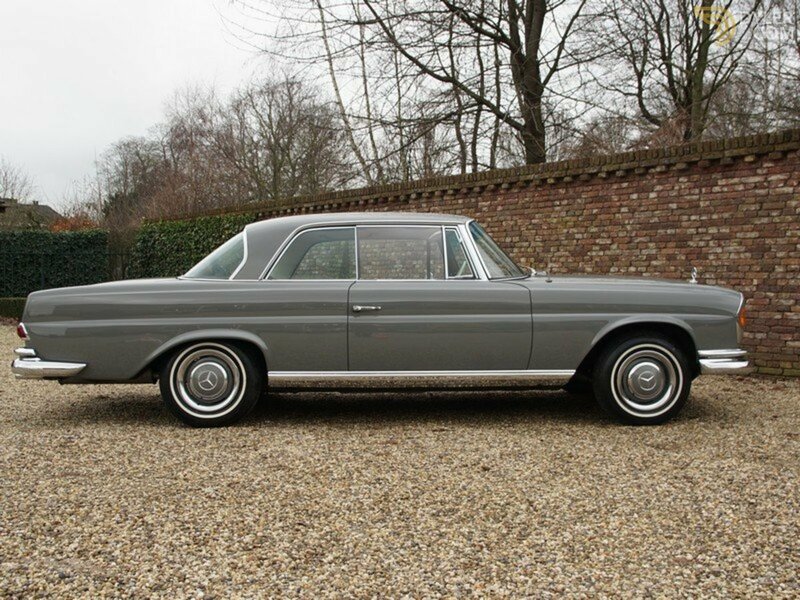 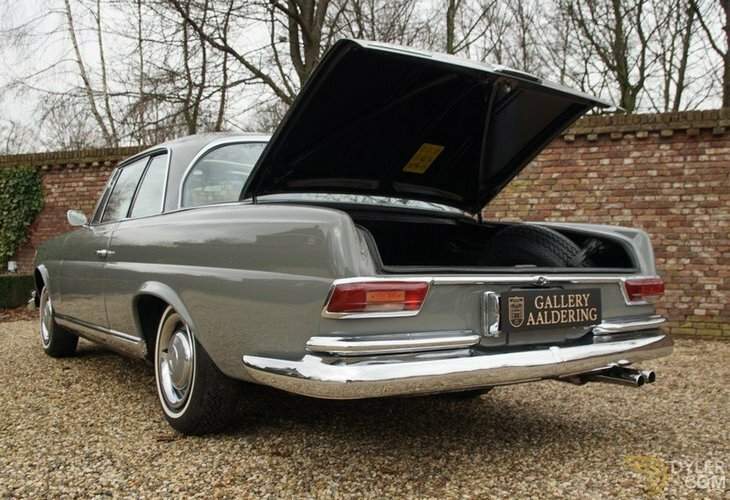 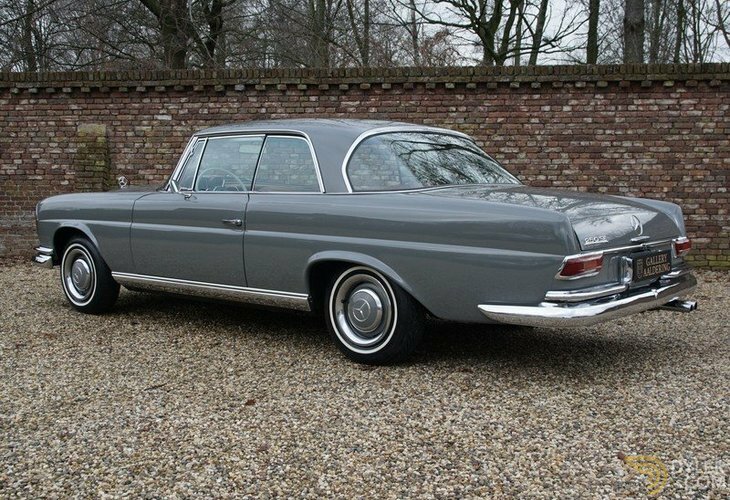 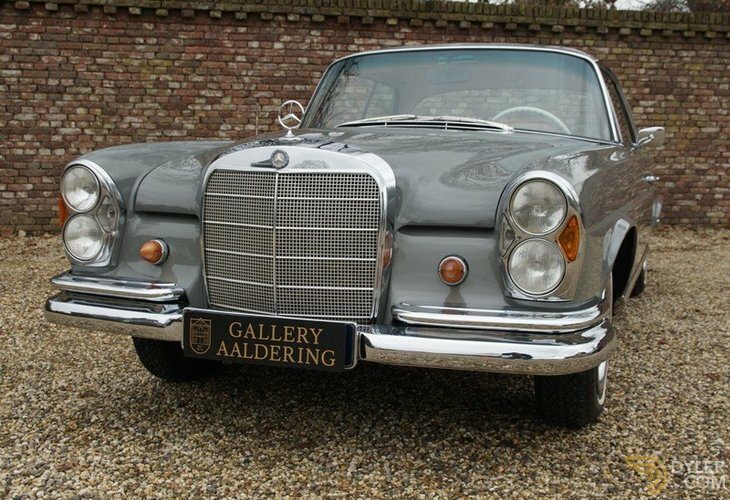 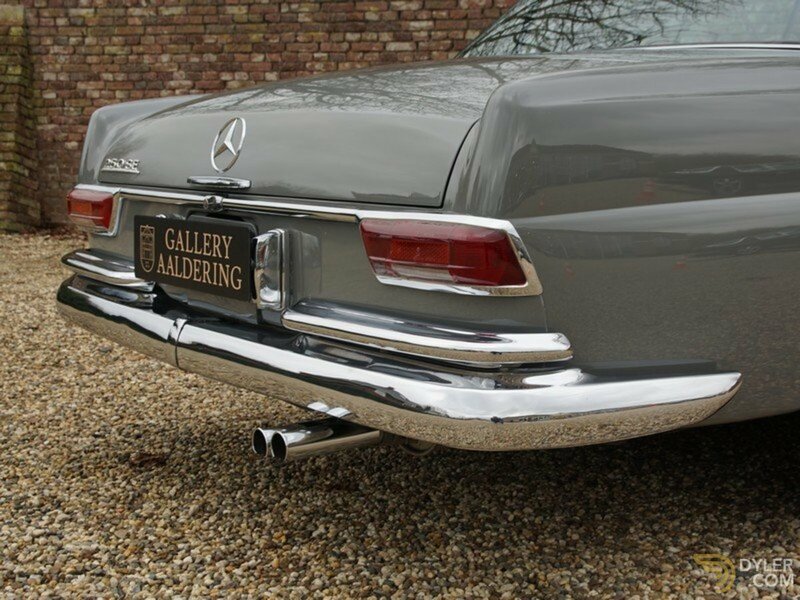 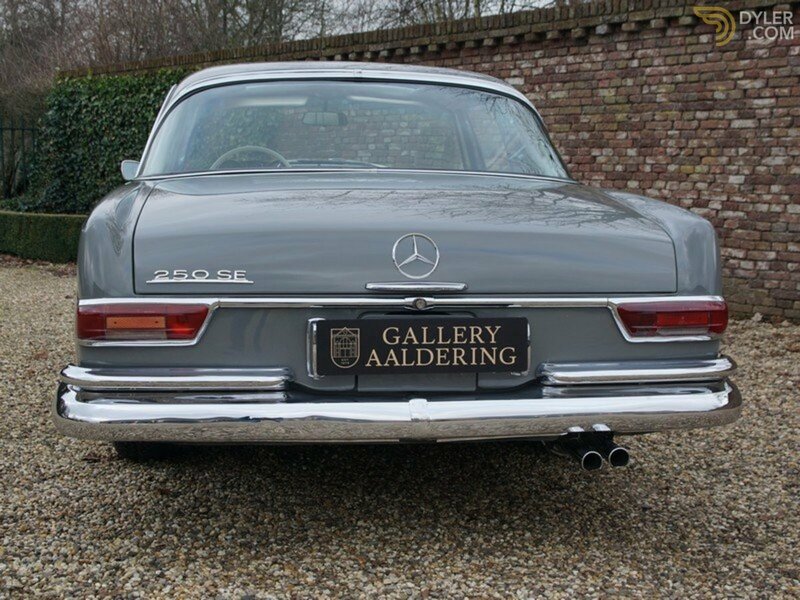 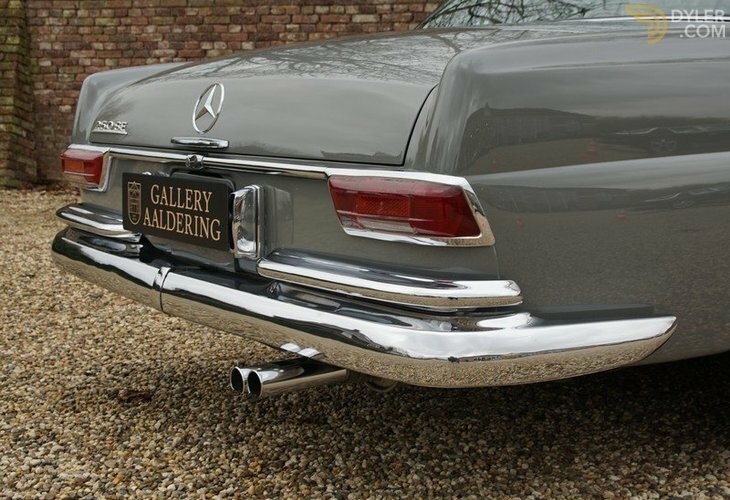 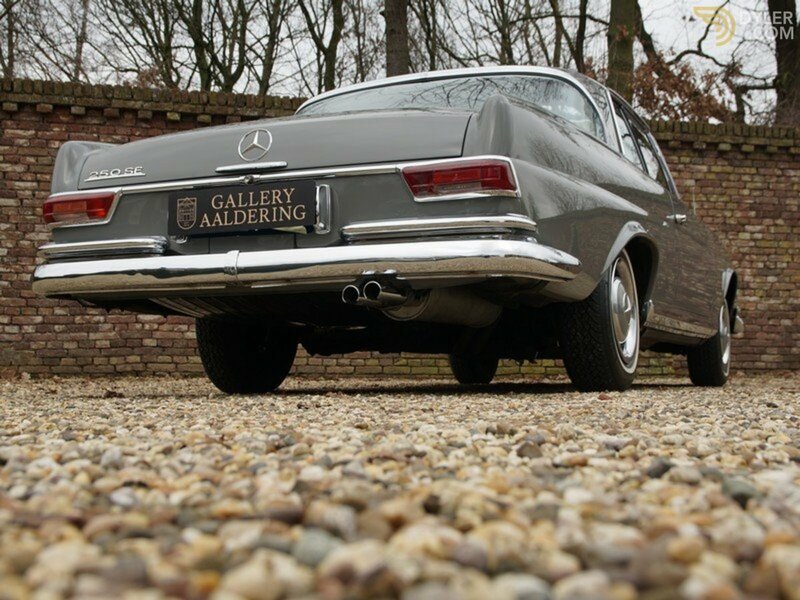 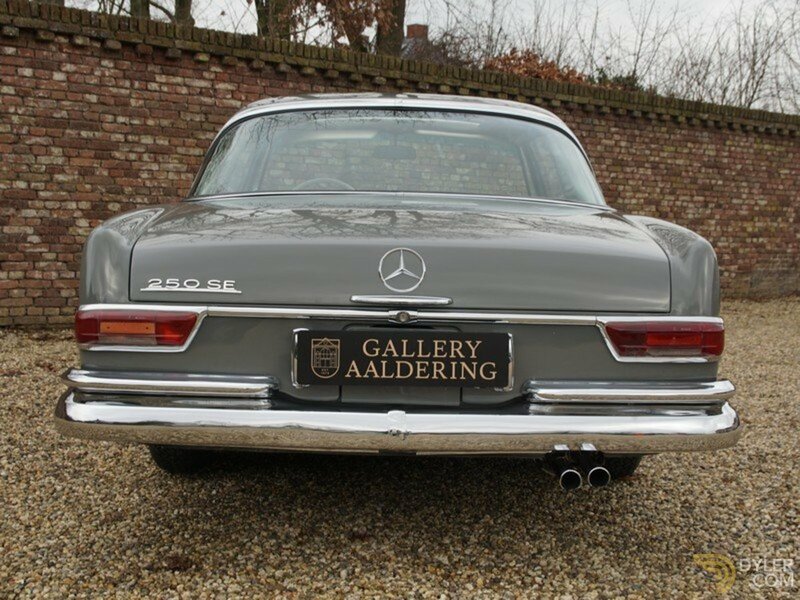 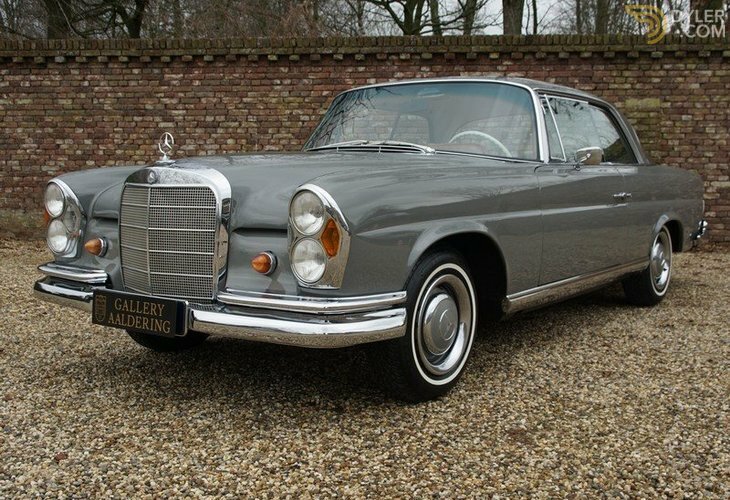 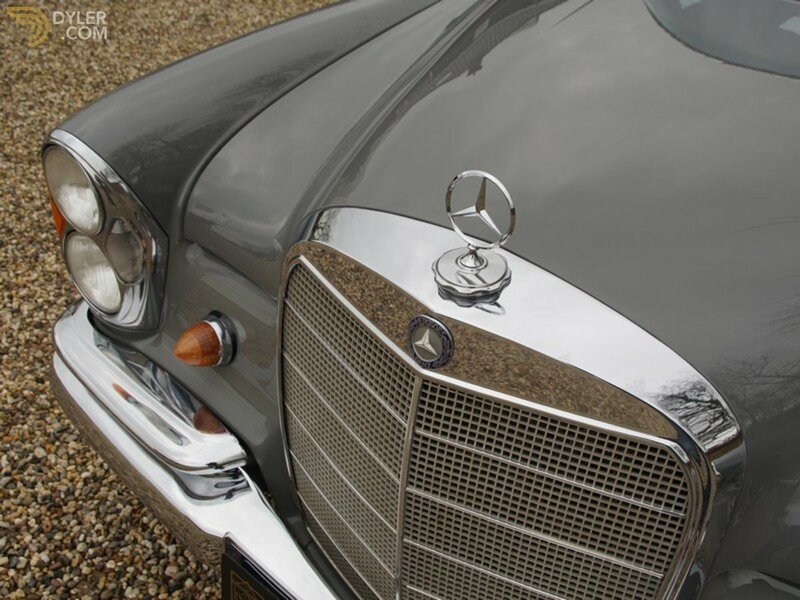 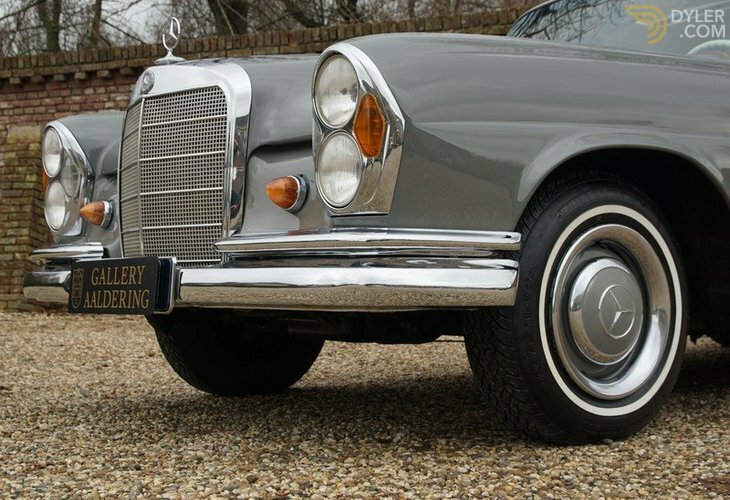 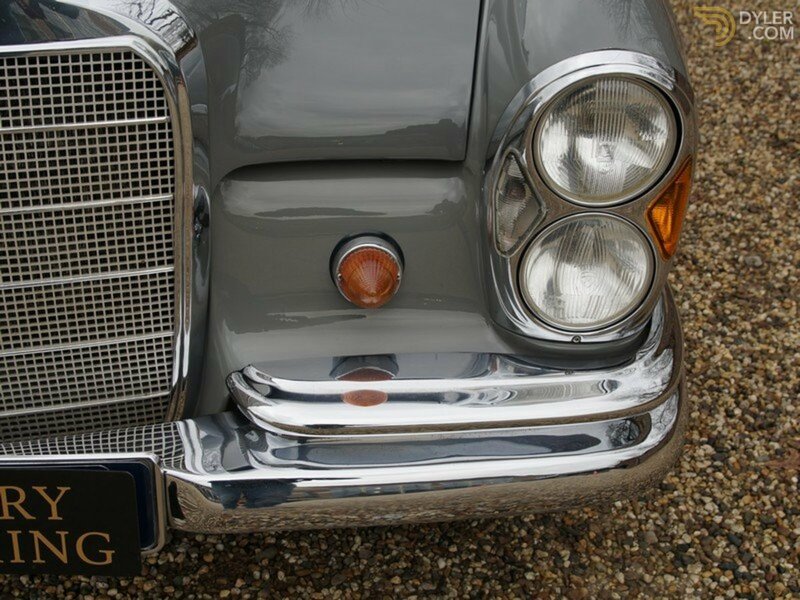 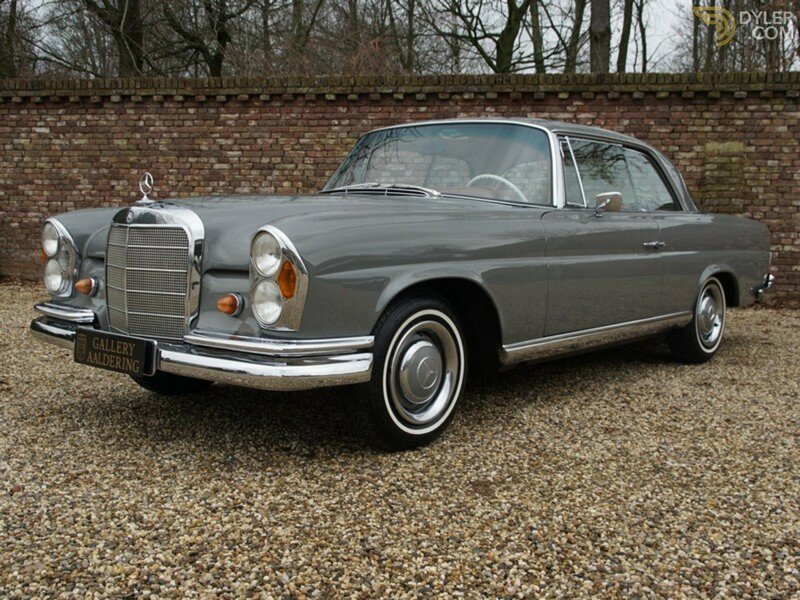 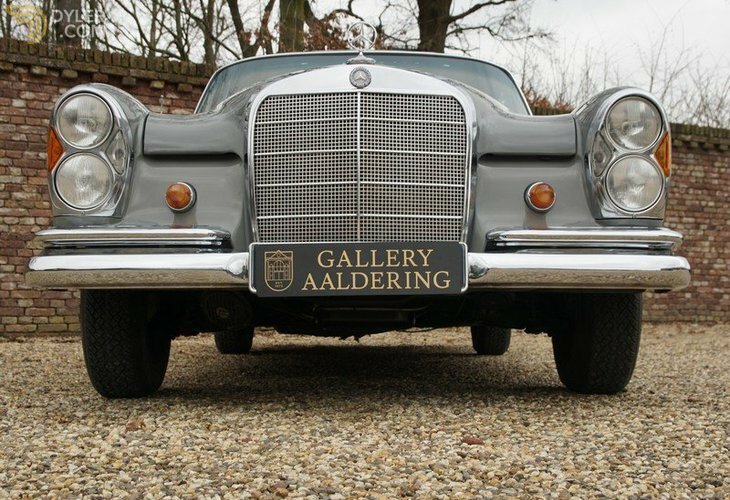 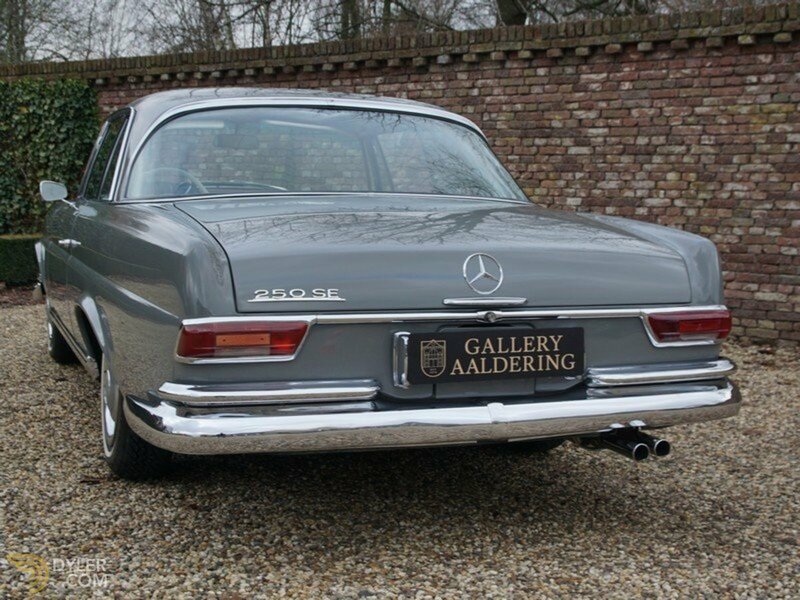 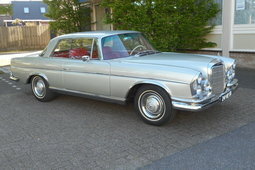 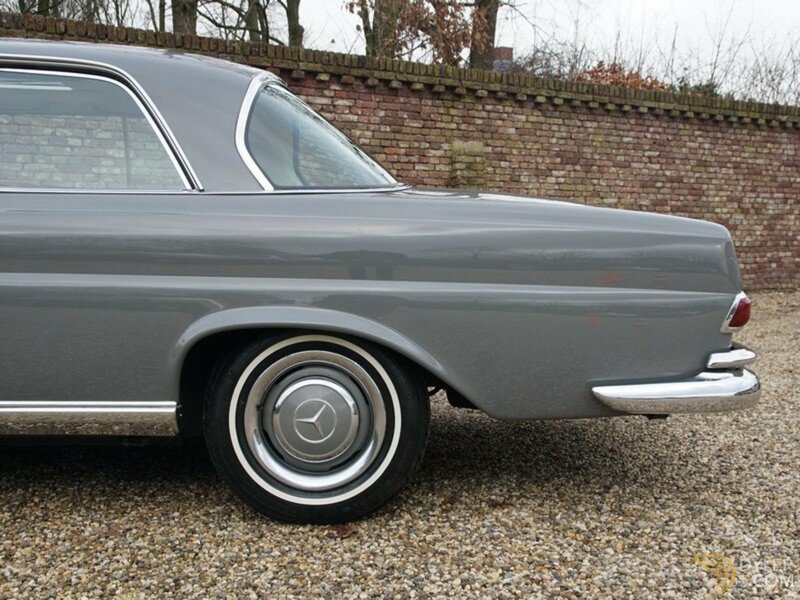 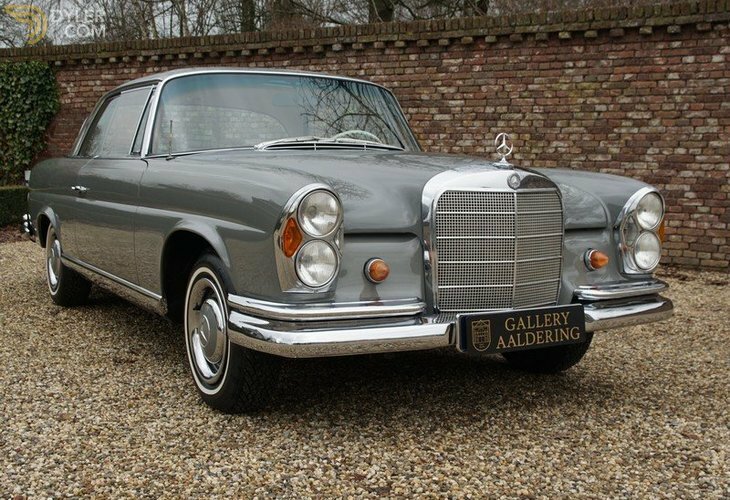 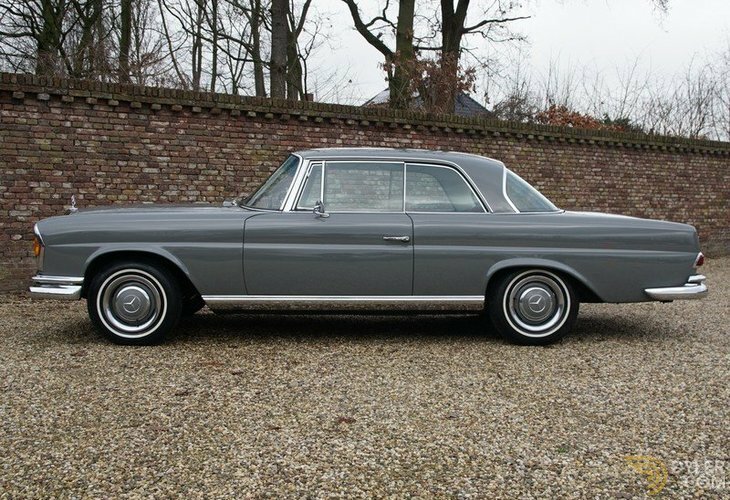 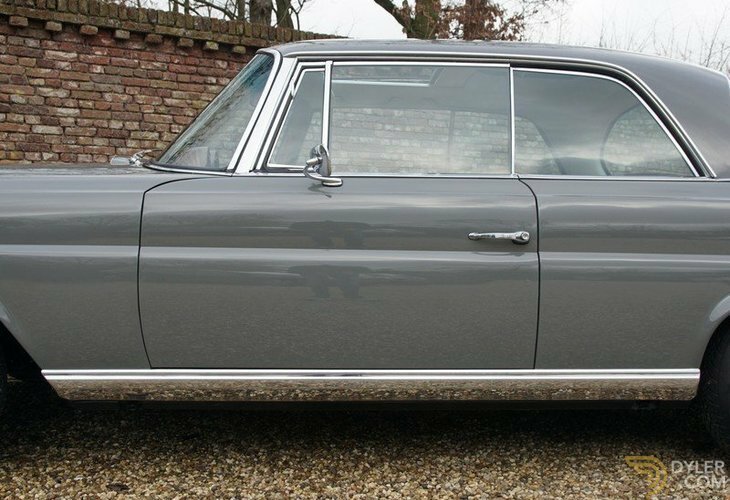 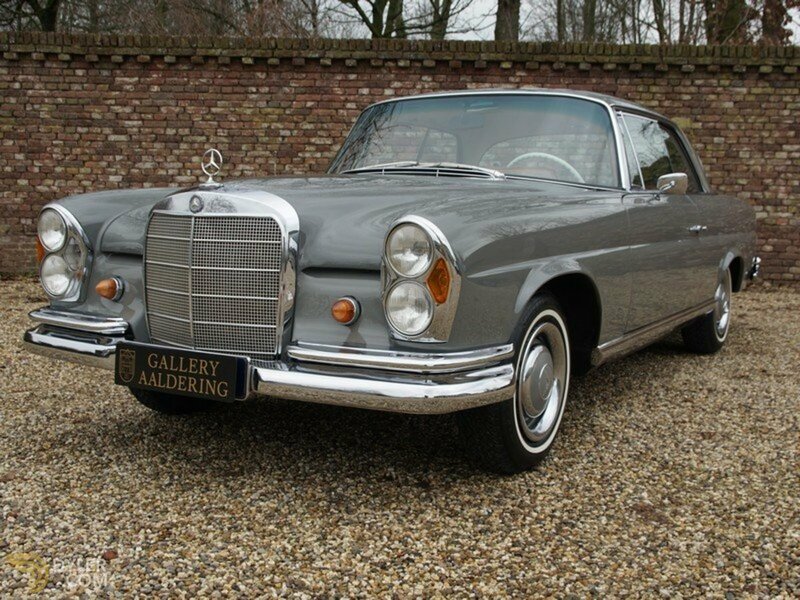 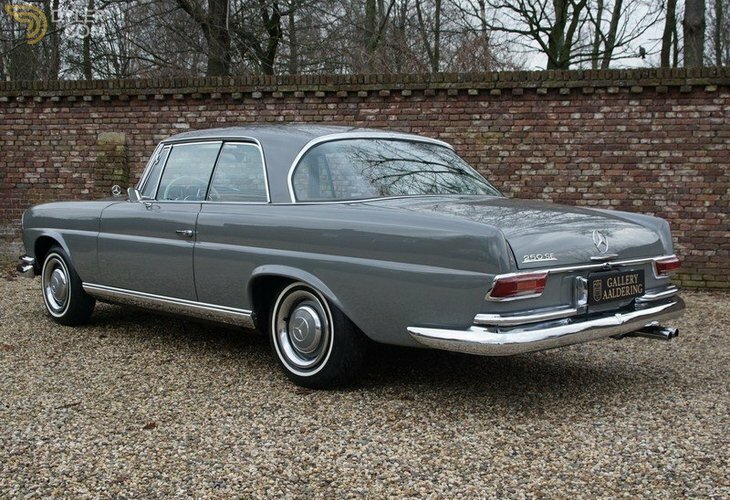 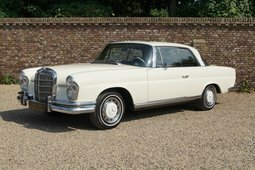 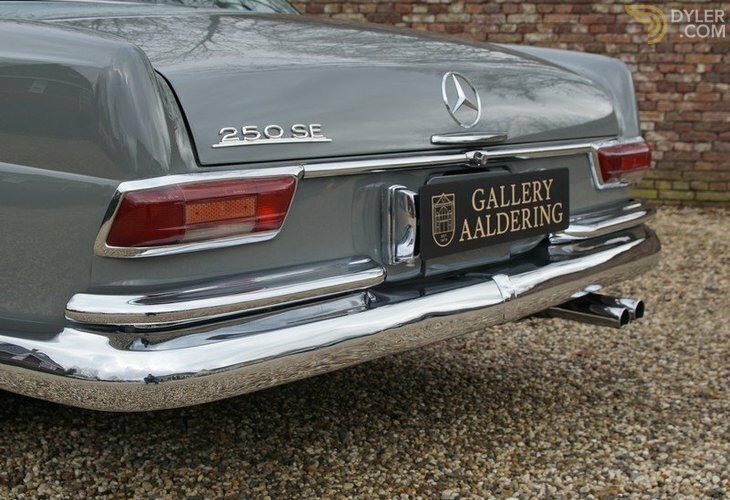 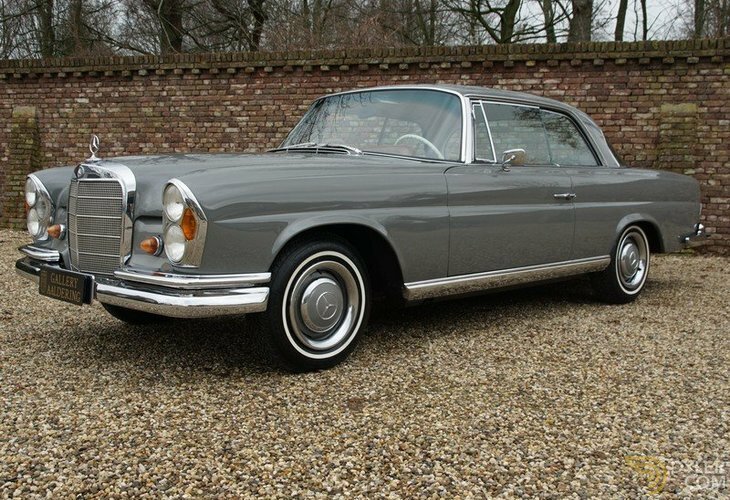 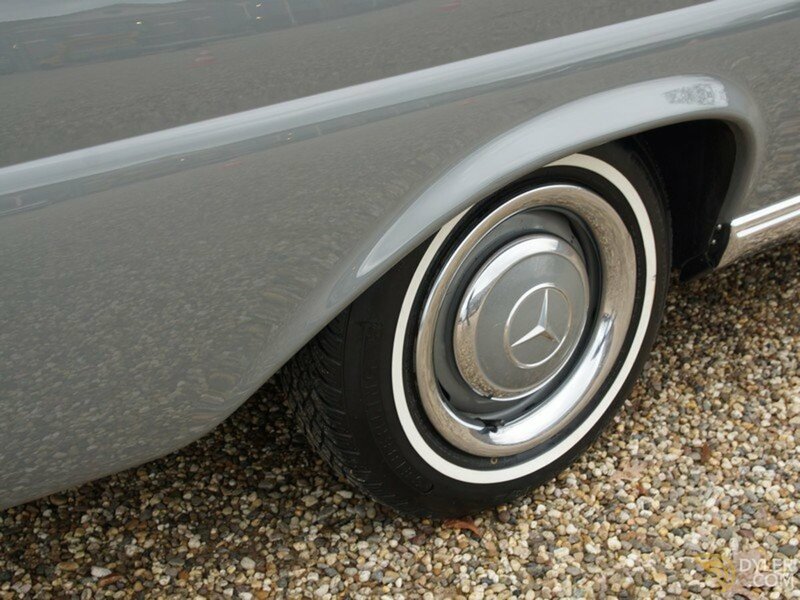 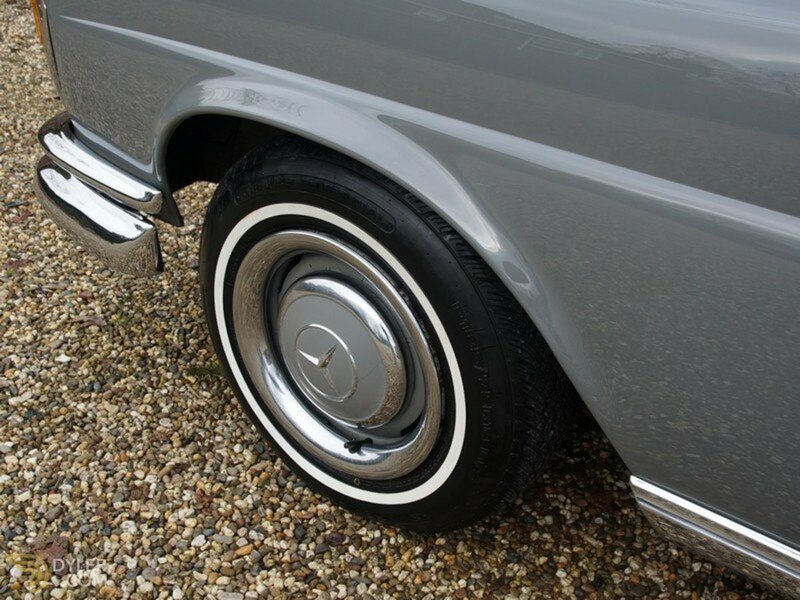 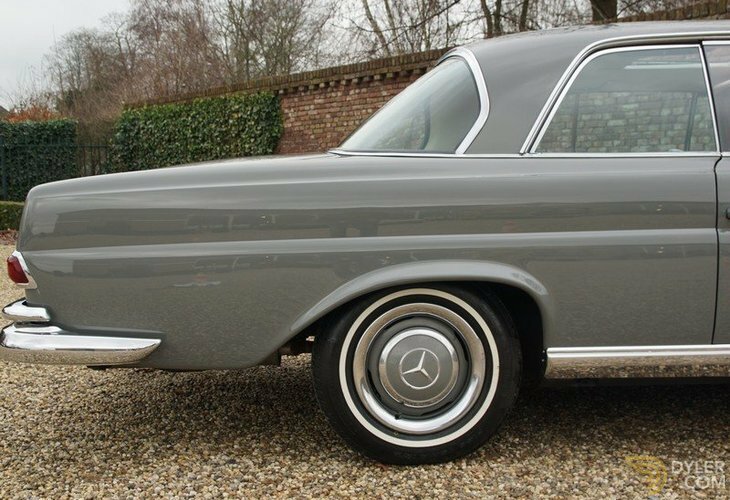 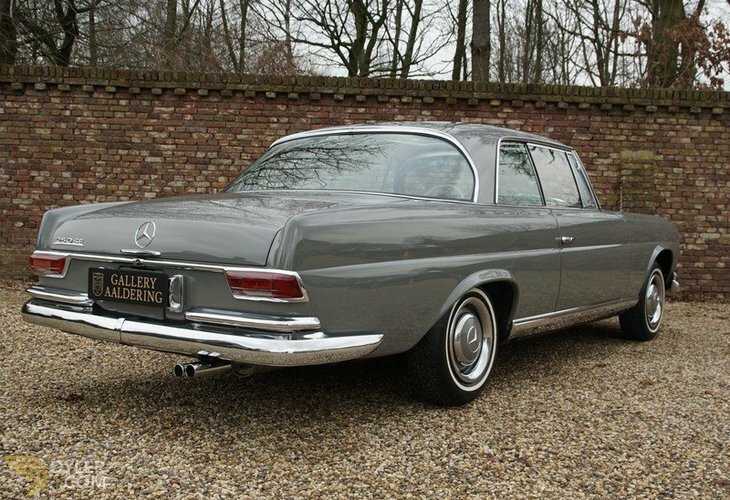 This very nice Mercedes Benz 250 SE coupe was originally ordered by Mercedes Benz USA and left the factory on the 27th December 1966. 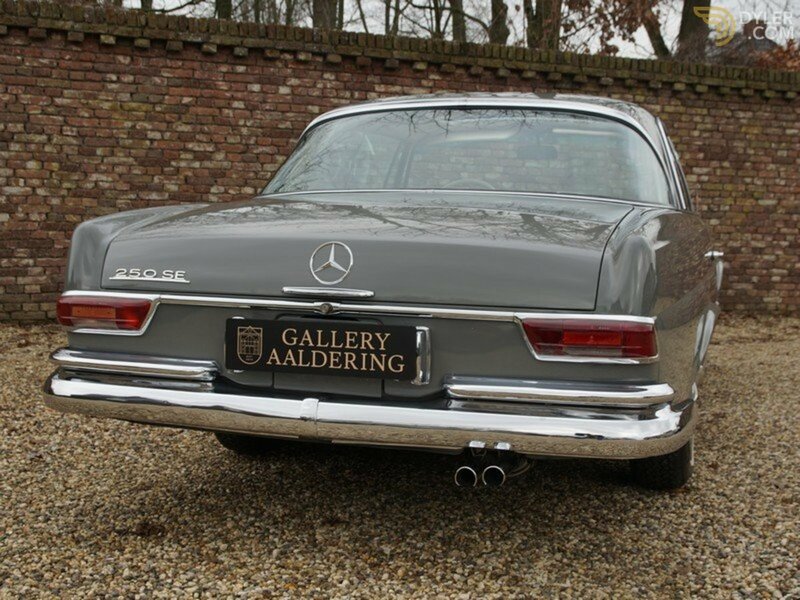 It was exported to the Netherlands a long time ago from New Mexico. 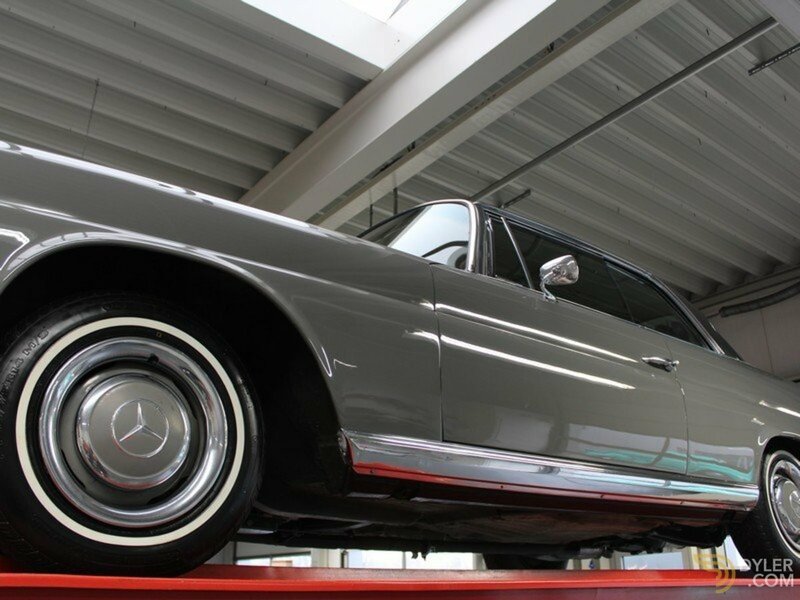 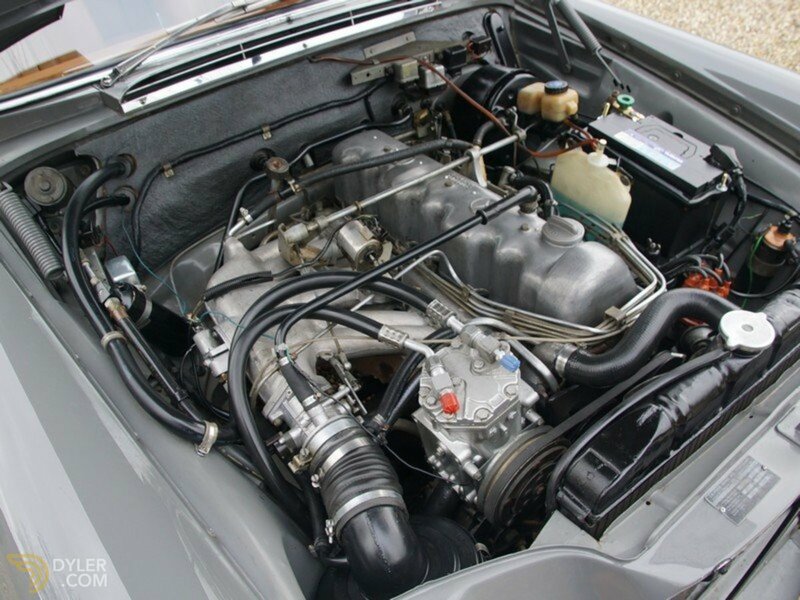 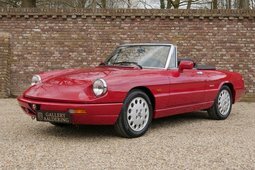 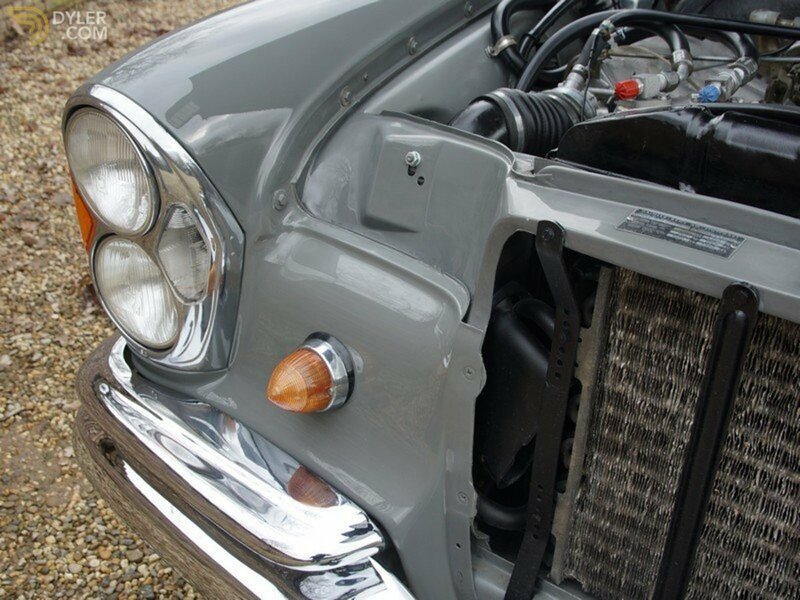 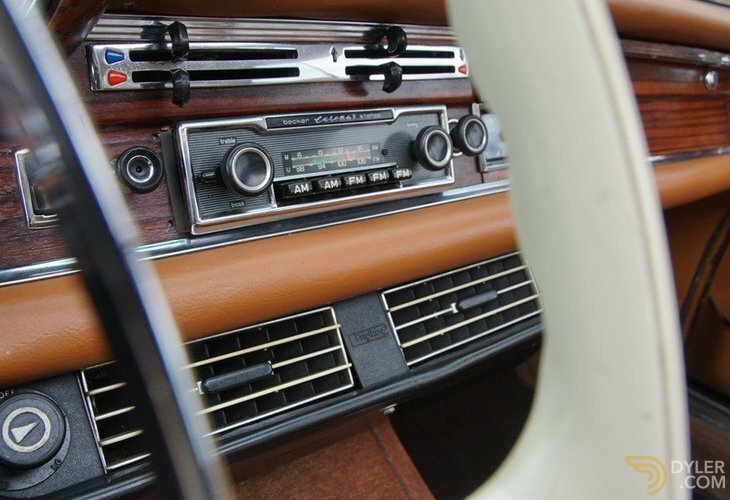 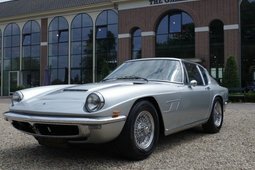 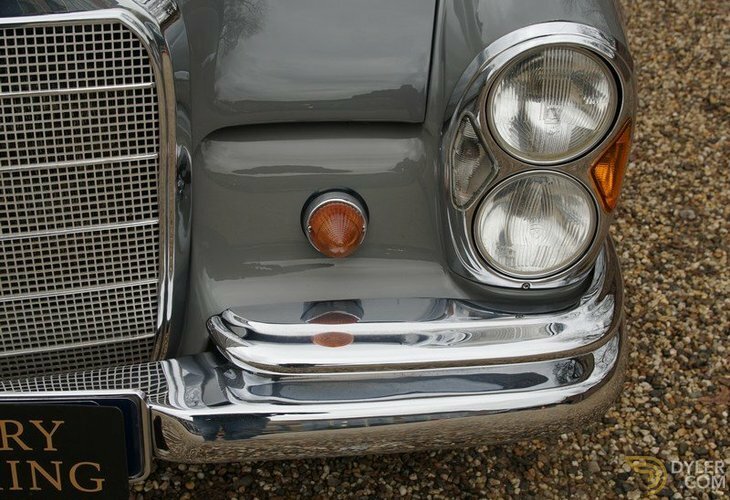 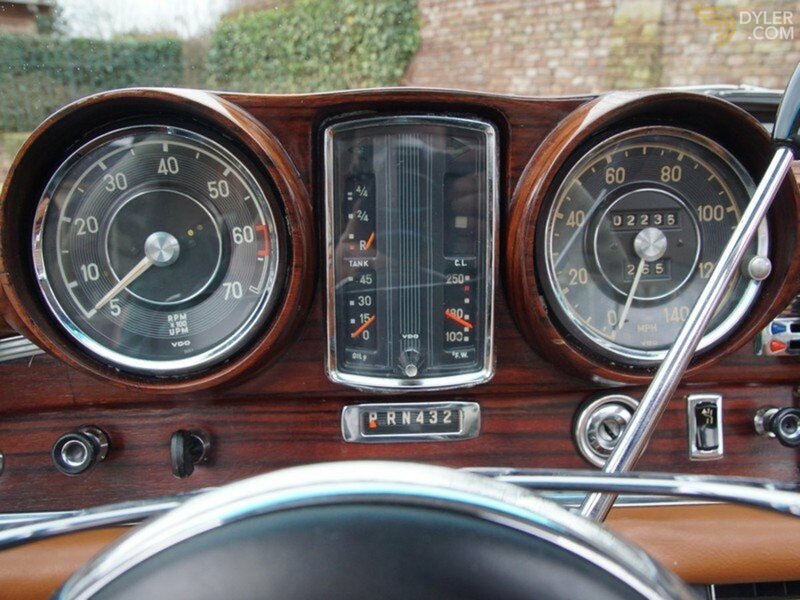 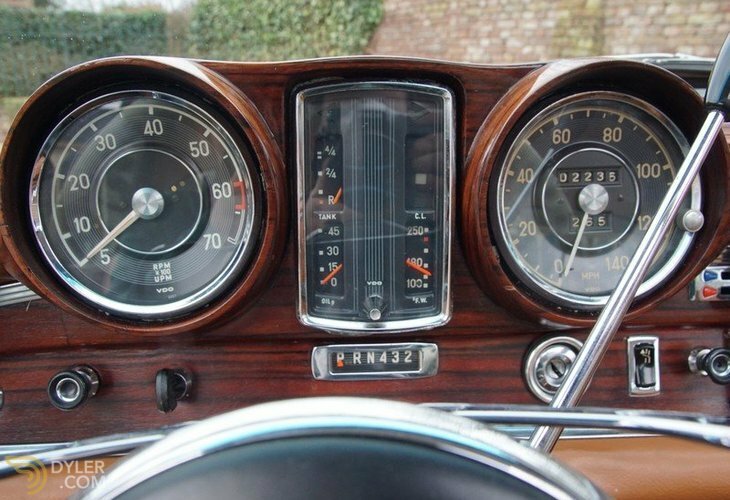 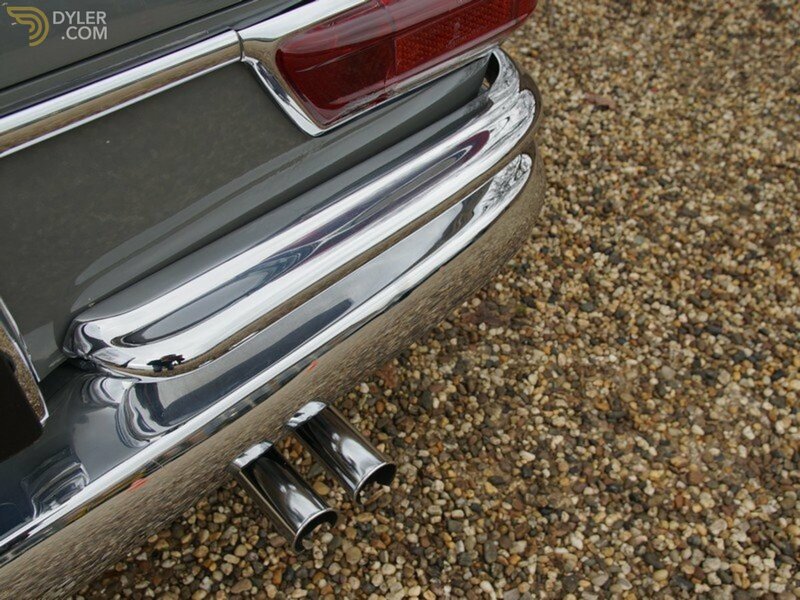 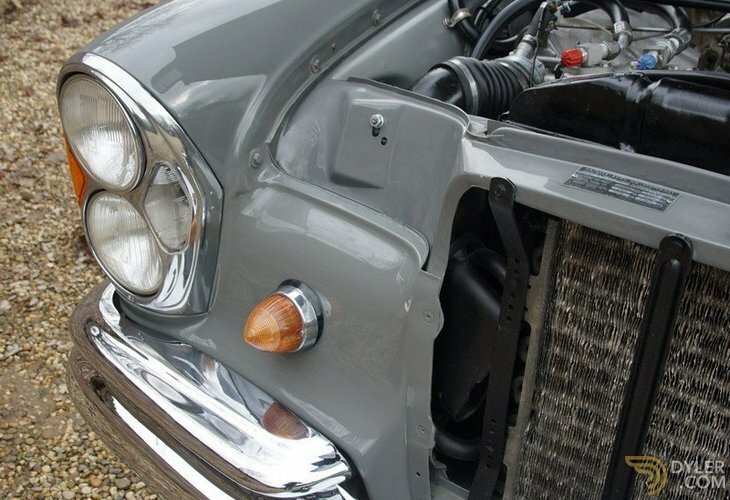 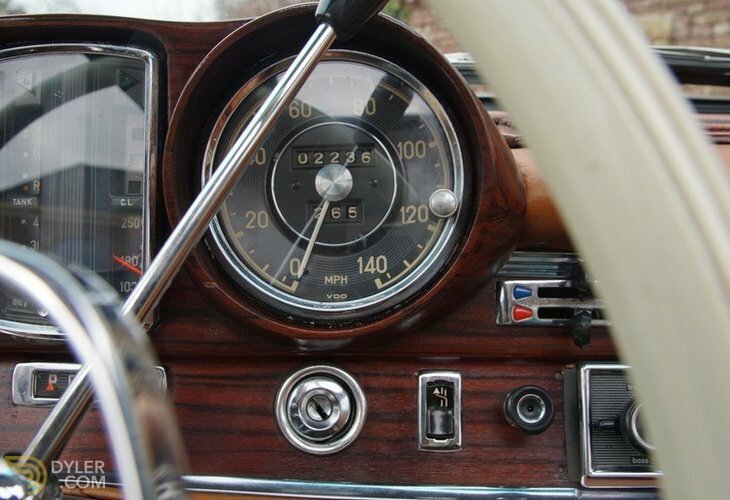 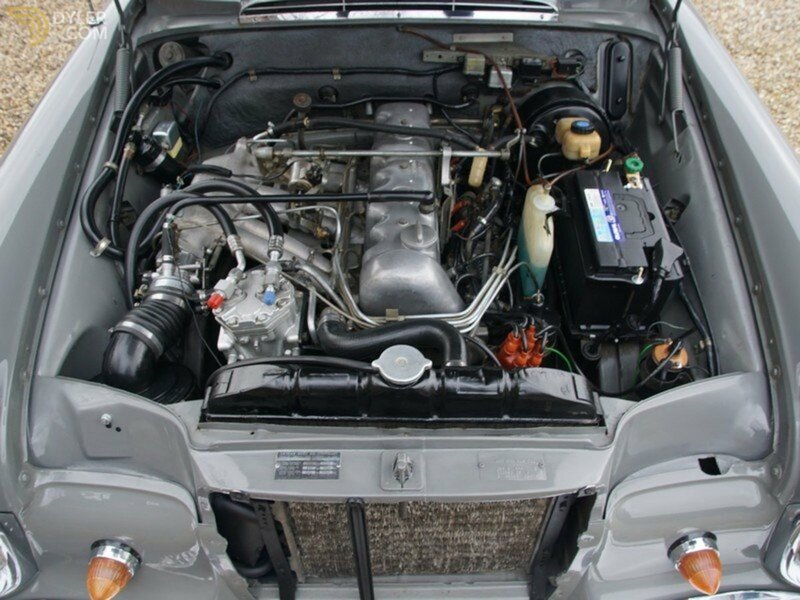 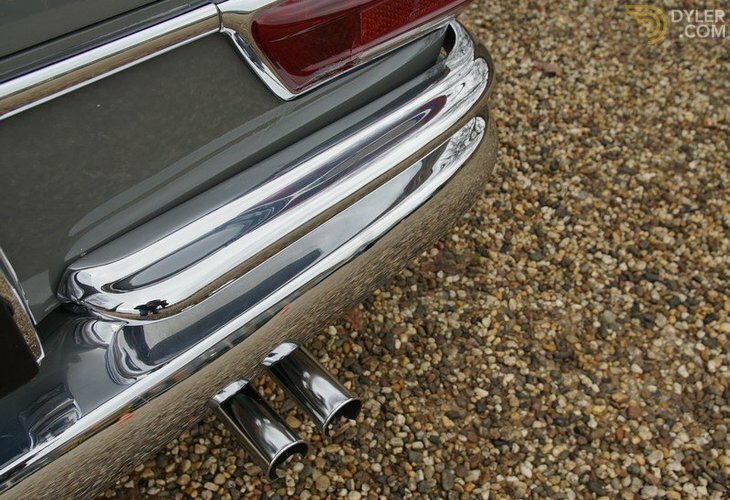 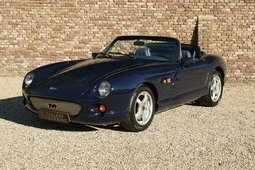 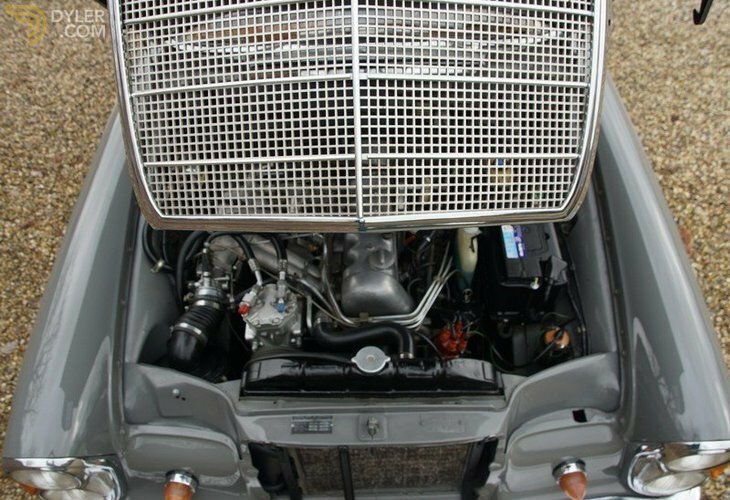 It has been restored and overhauled in the past and kept by an enthusiast ever since. 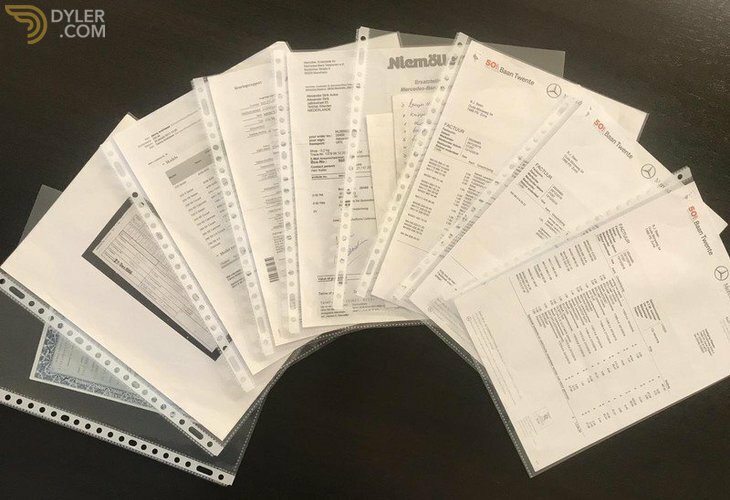 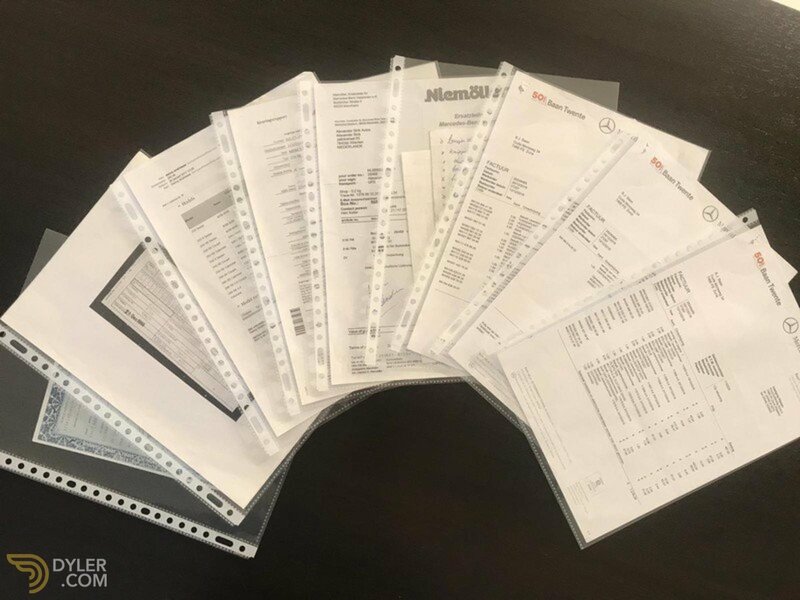 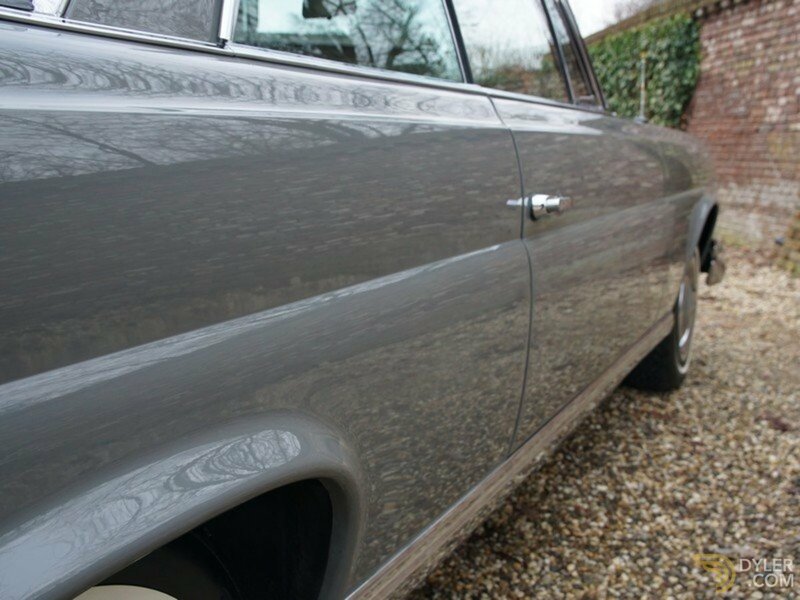 The paperwork confirms the not inconsiderate amounts paid to maintain this car in its superb condition. 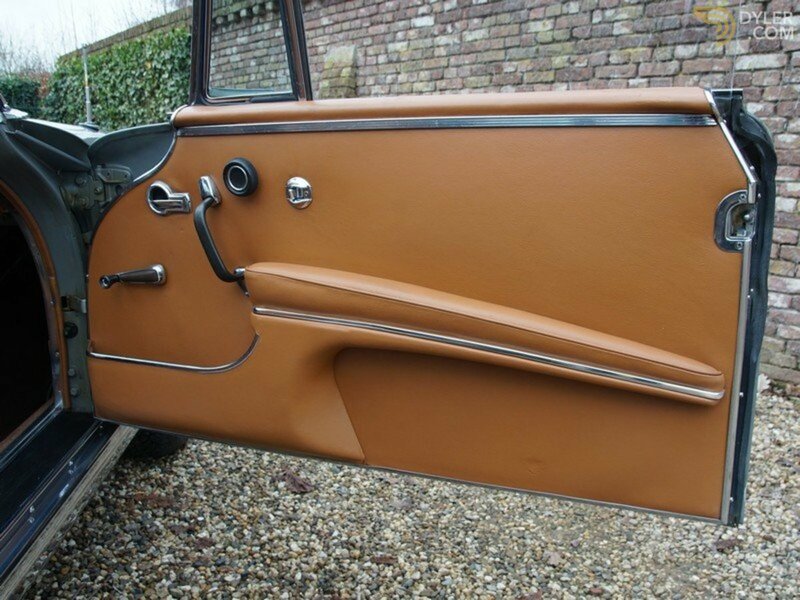 The nice bodywork has well fitted body panels and good paintwork. 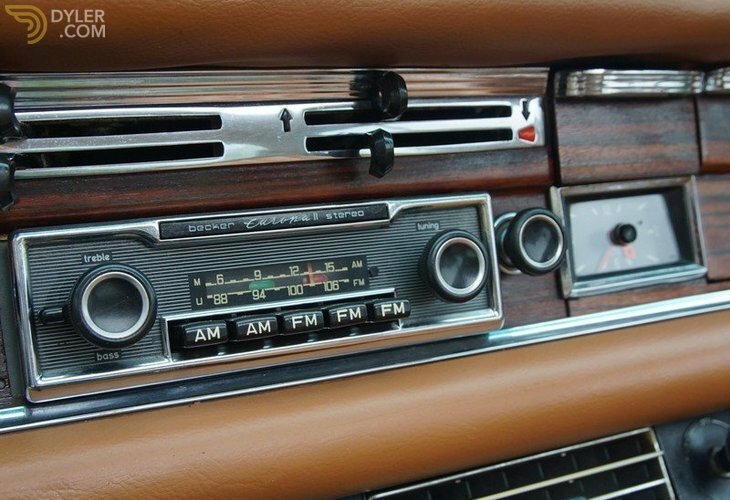 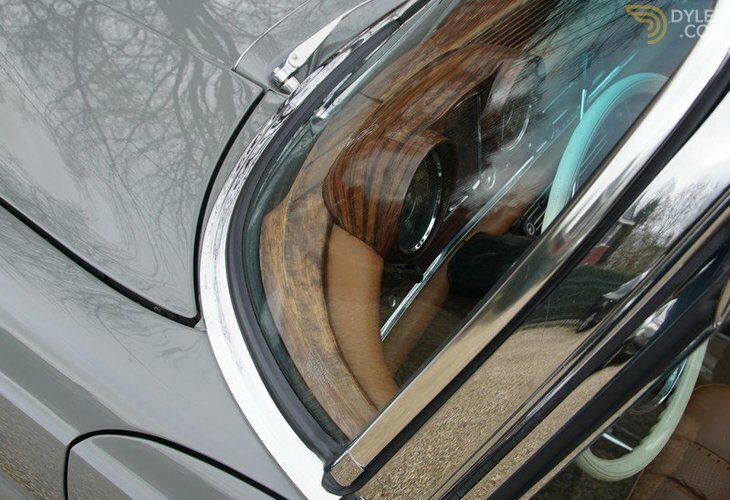 The chrome and the wood detailing are really fine. 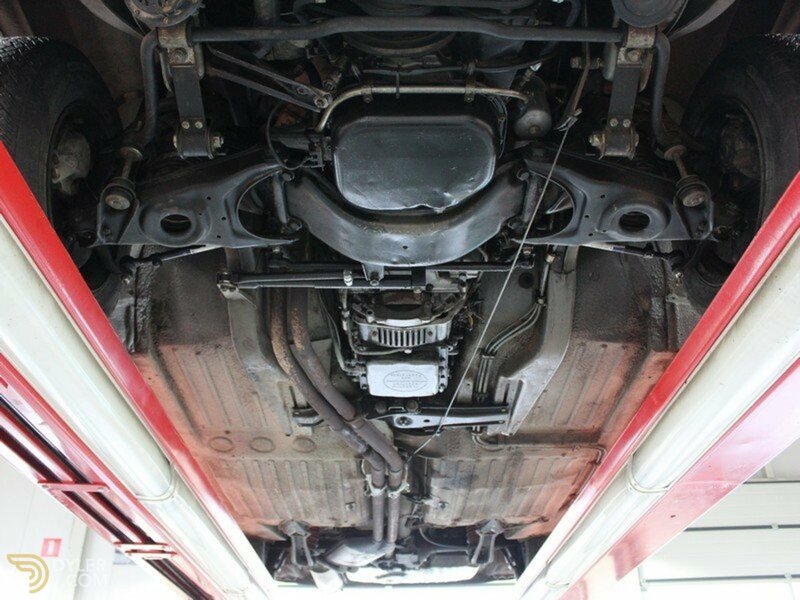 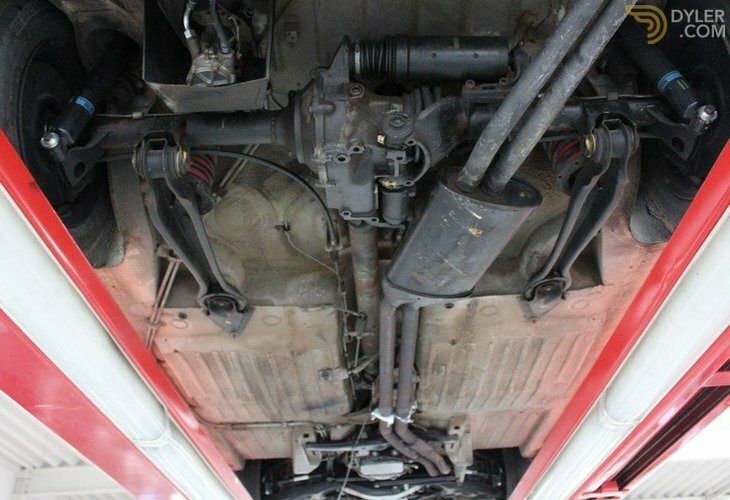 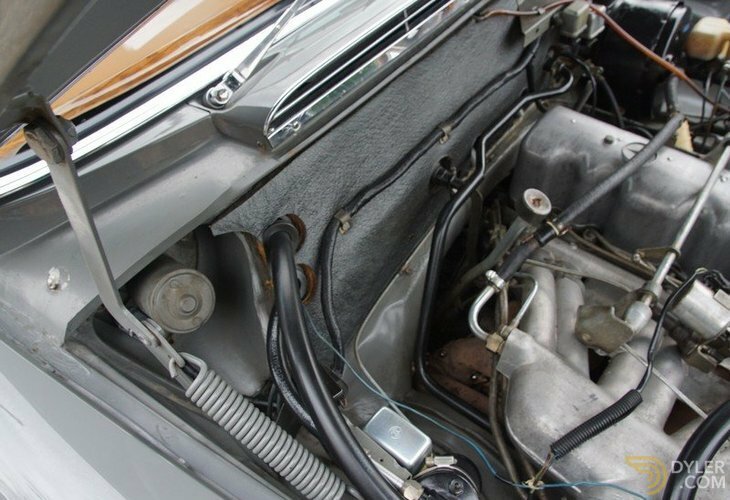 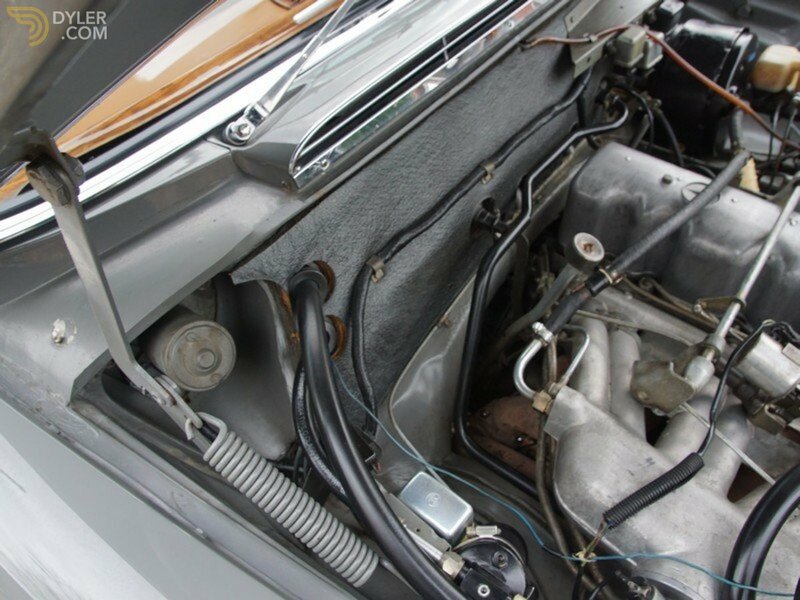 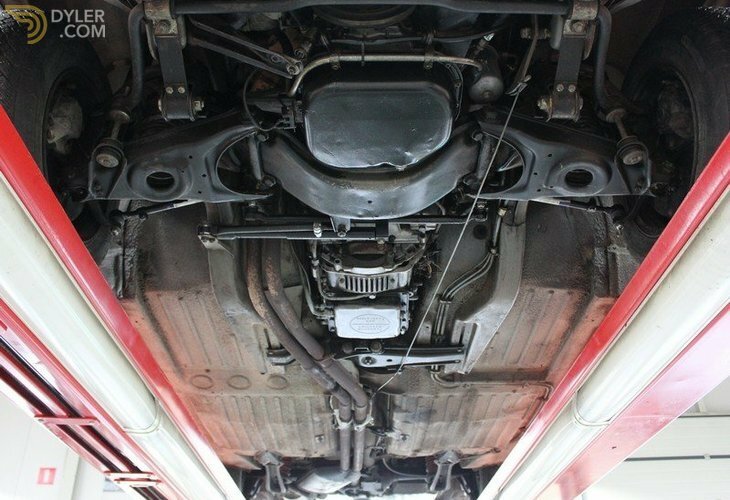 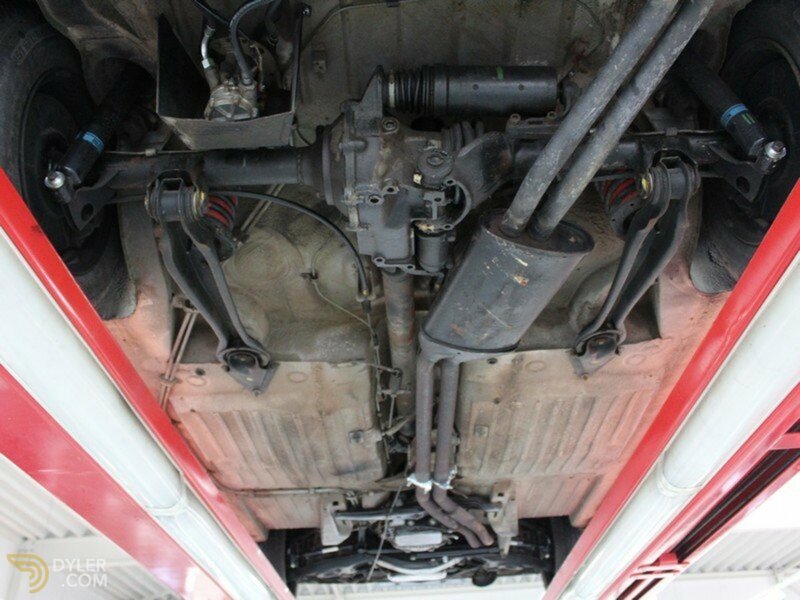 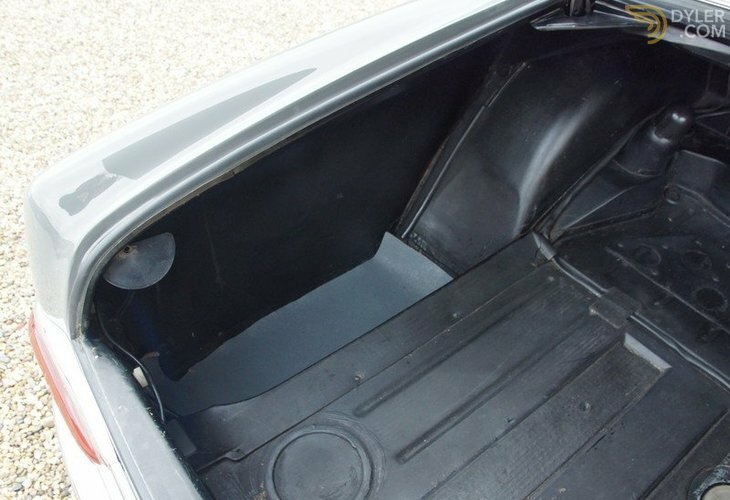 The original underbody is sound and rust-free. 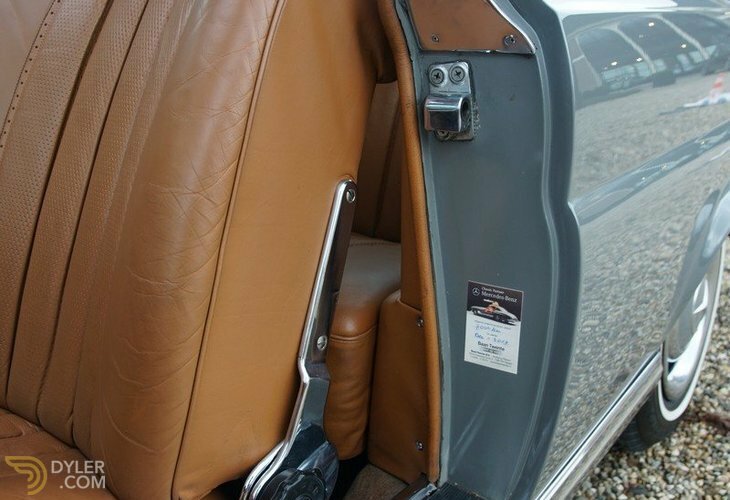 It has a number of factory fitted accessories including an electrically operated sunroof, automatic transmission, power steering, seat belts, an automatic aerial with a Becker Europa 2 radio, heat reflecting windows and an arm rest in the front. 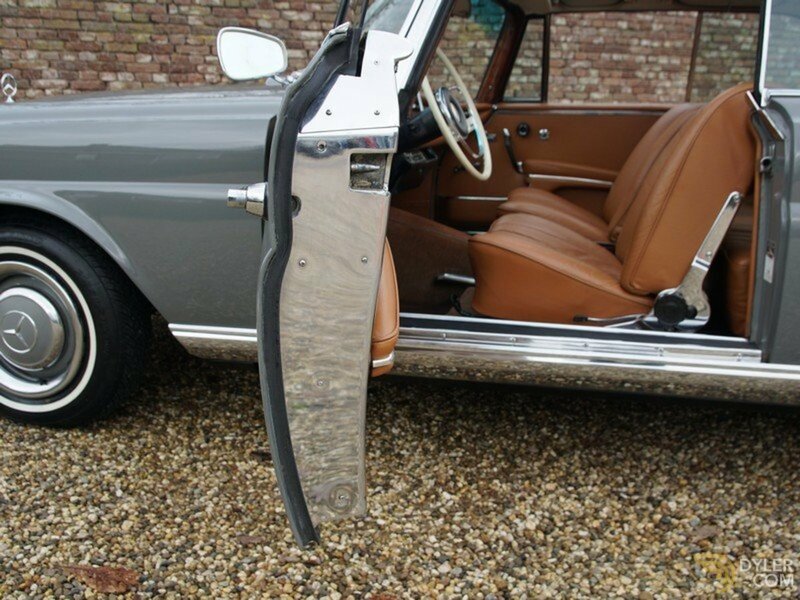 It also has a post market fitted ‘Frigiking’ air-conditioning unit. 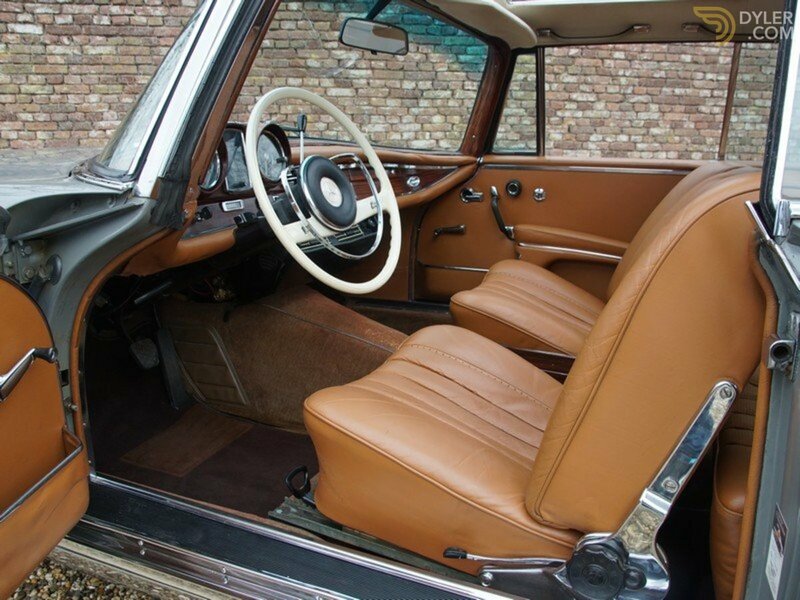 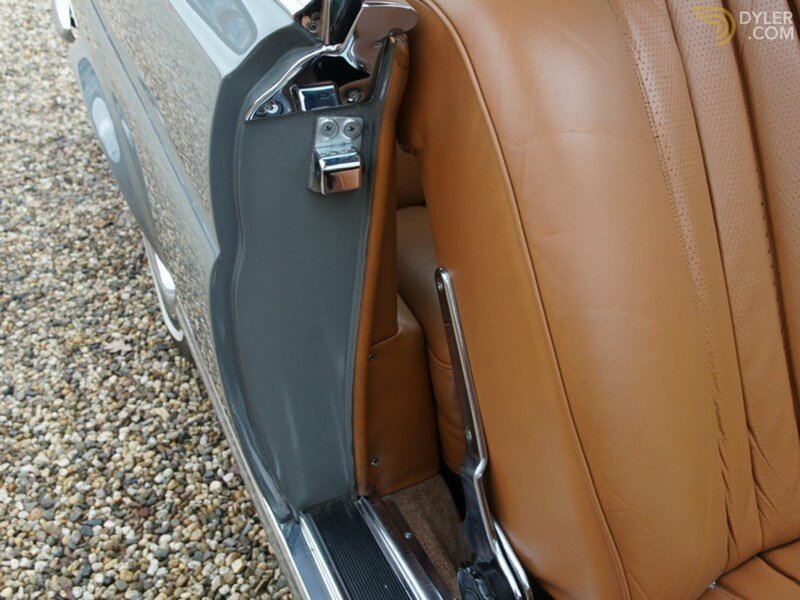 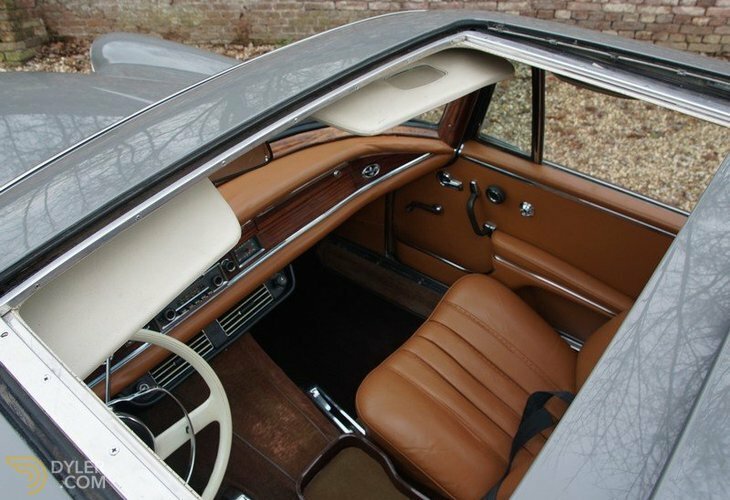 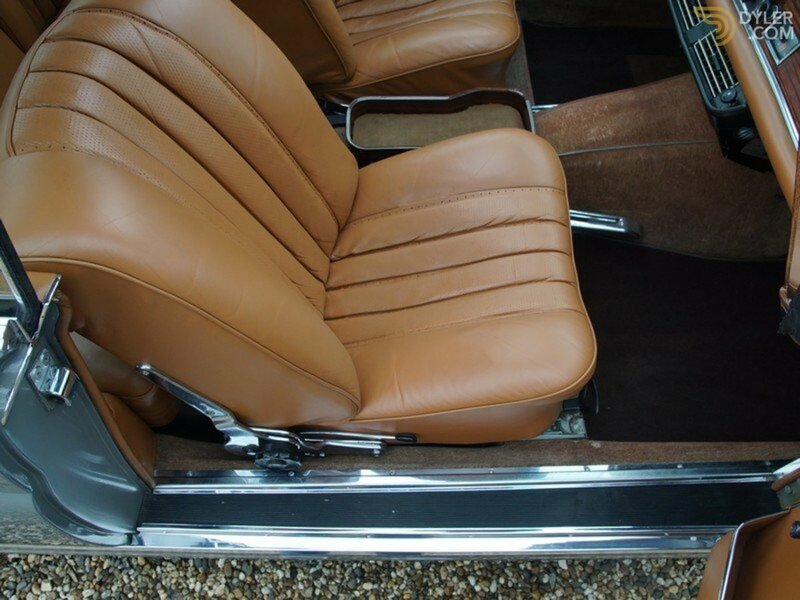 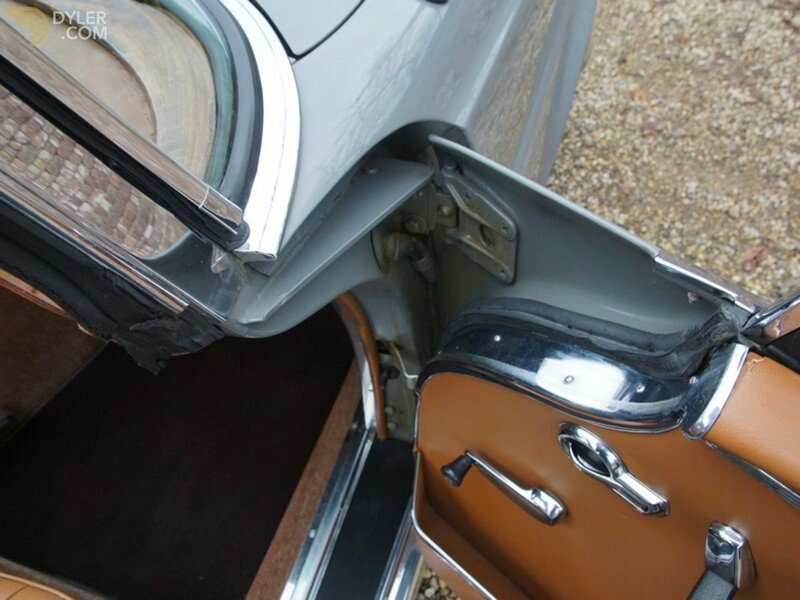 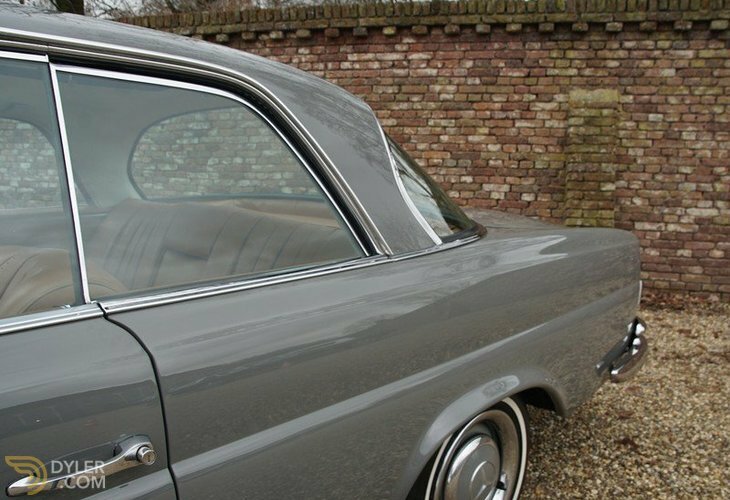 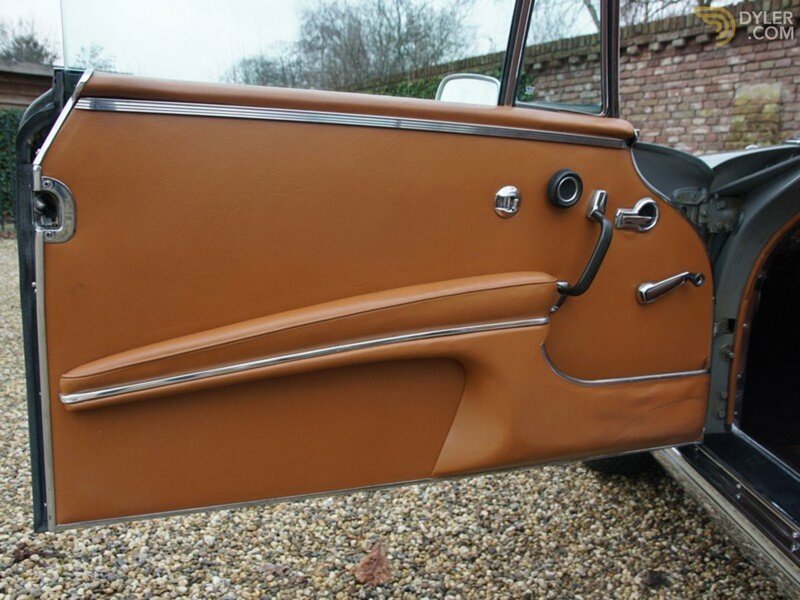 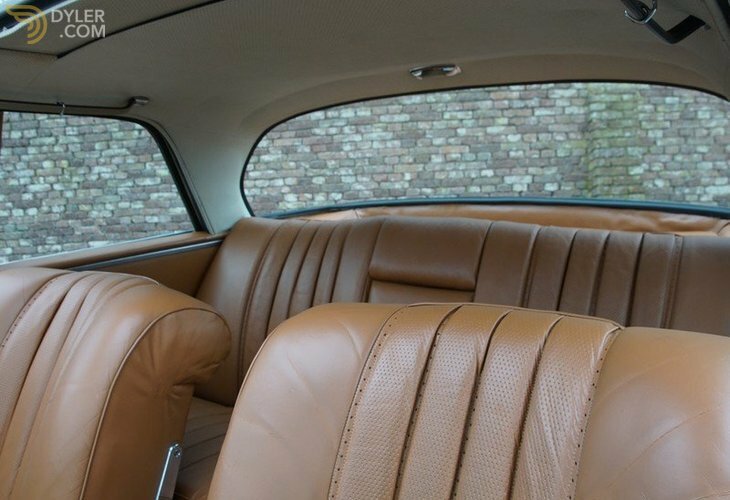 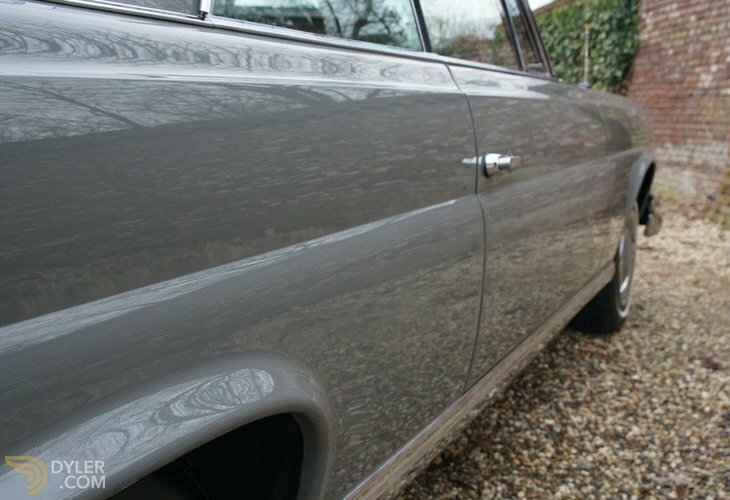 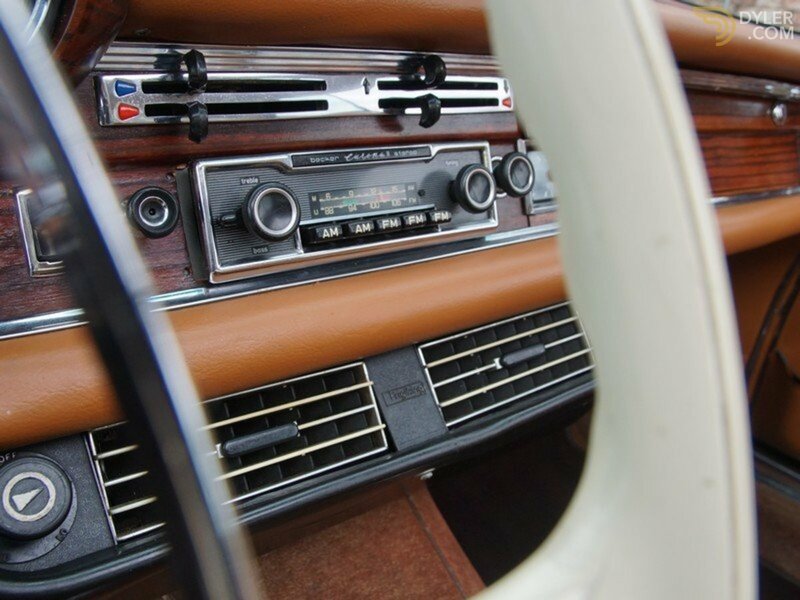 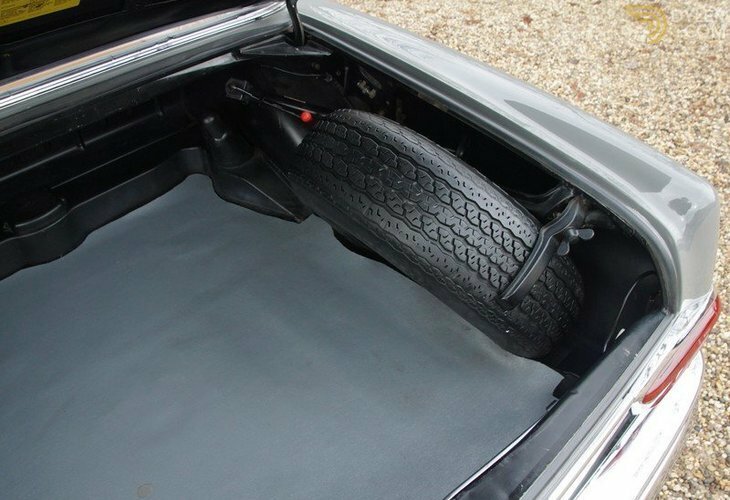 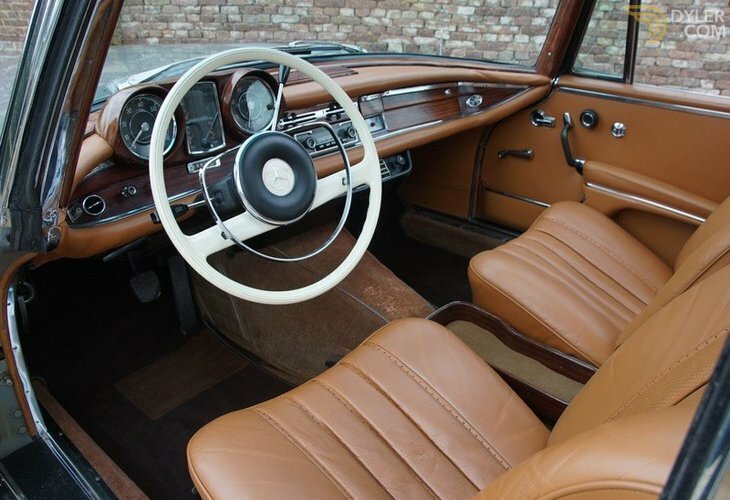 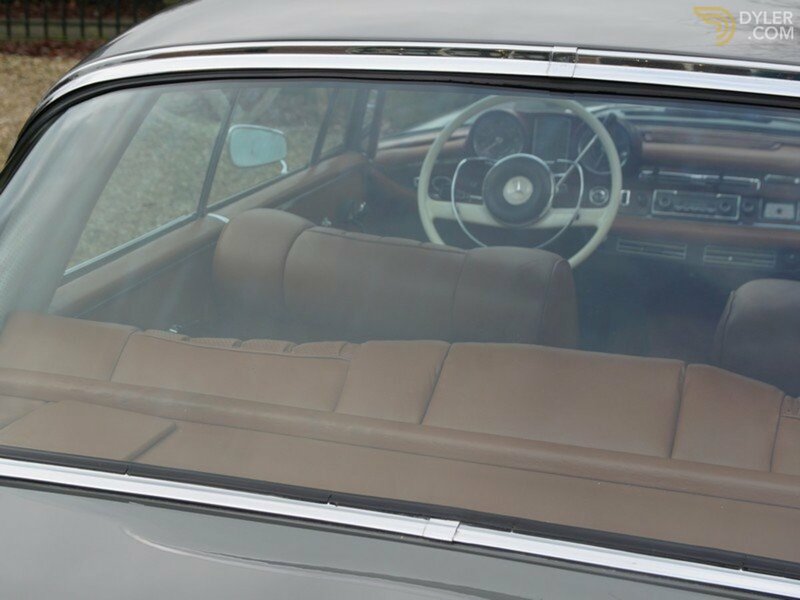 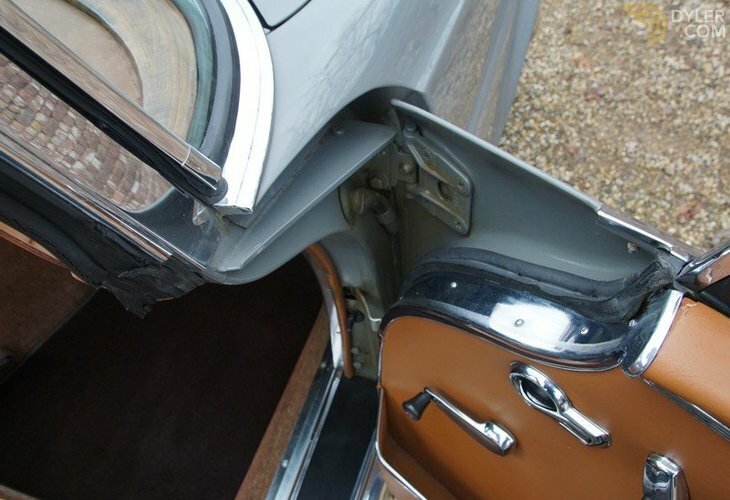 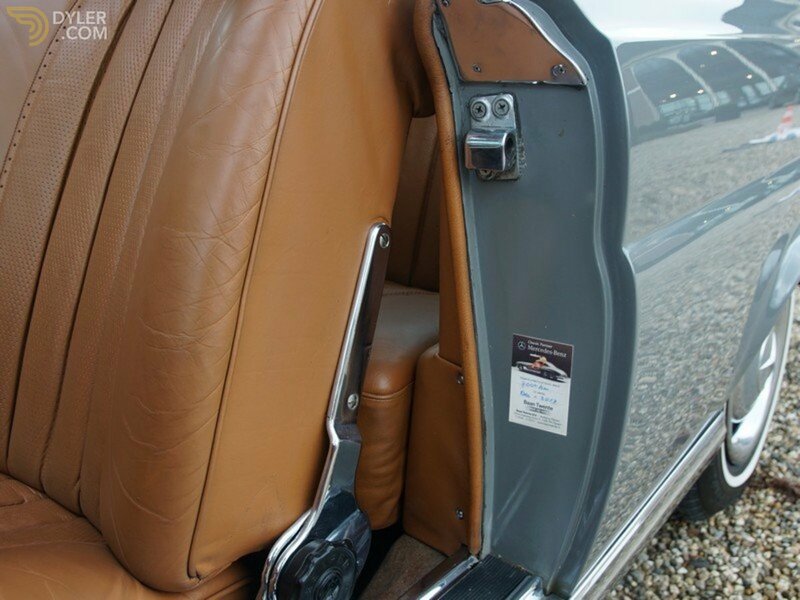 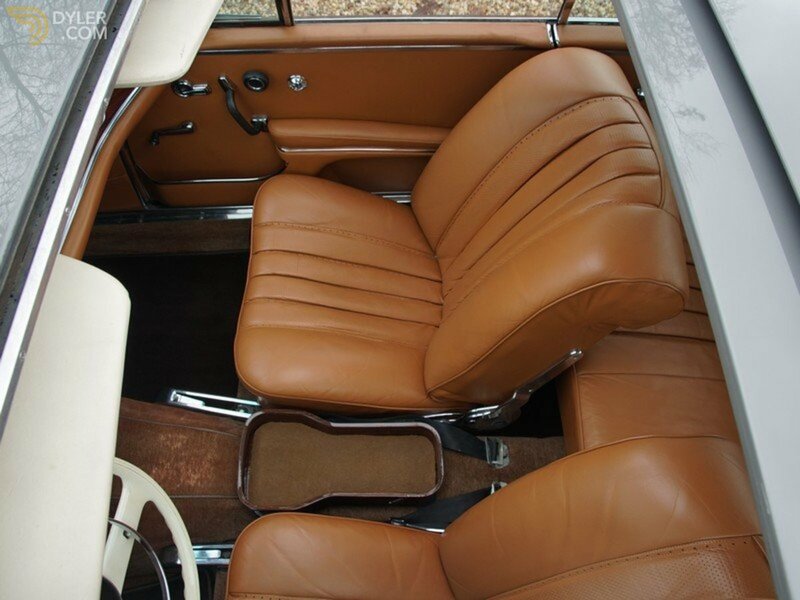 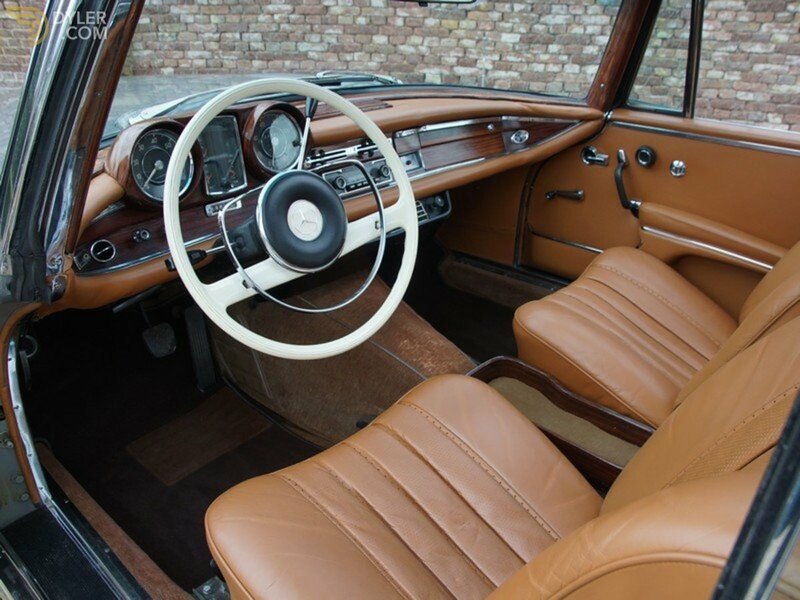 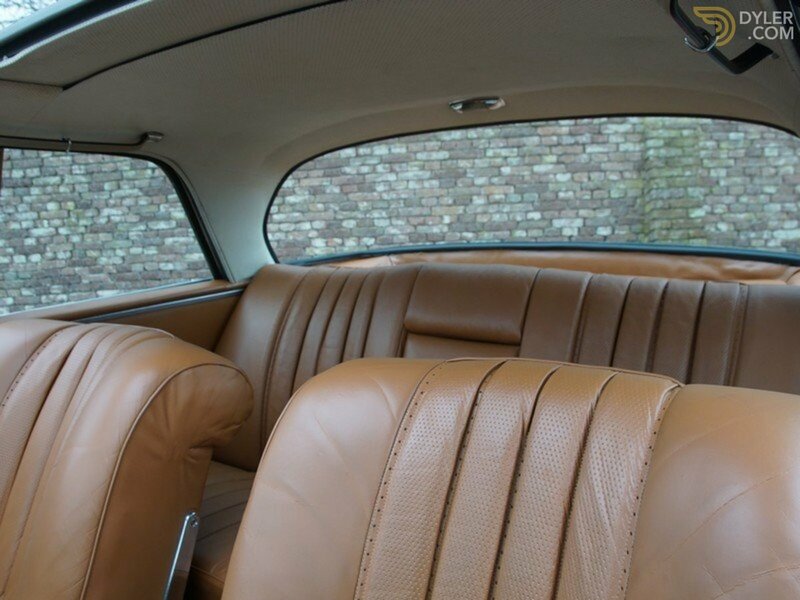 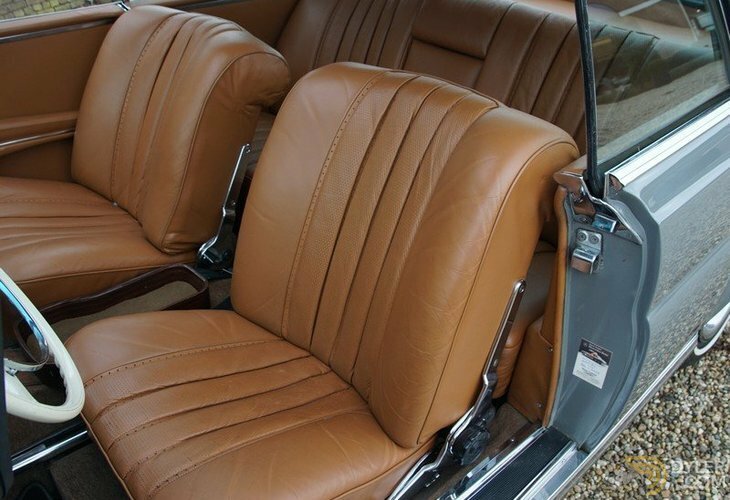 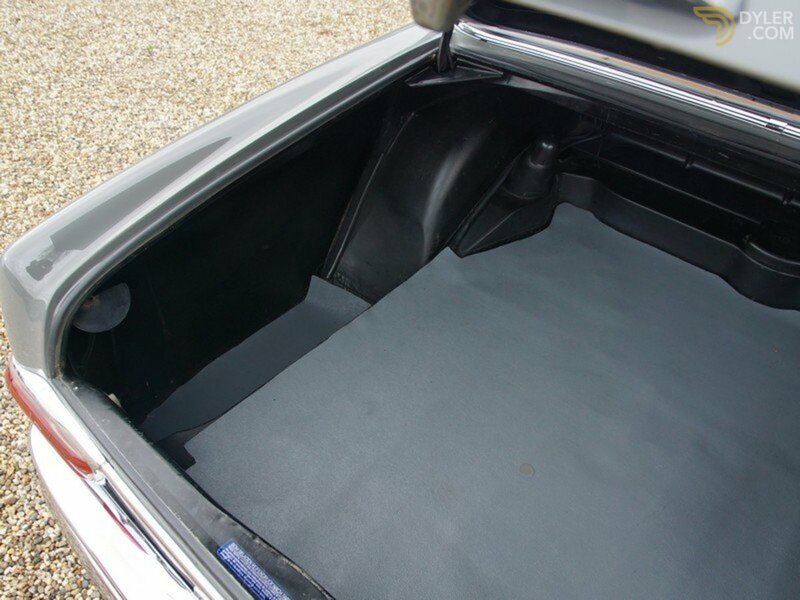 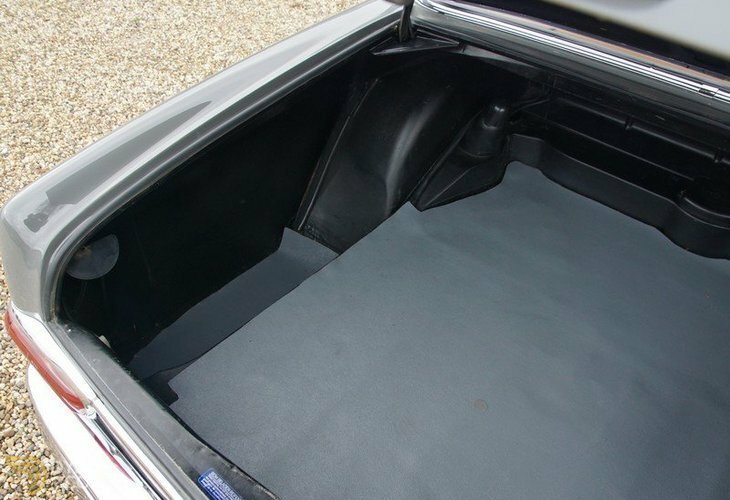 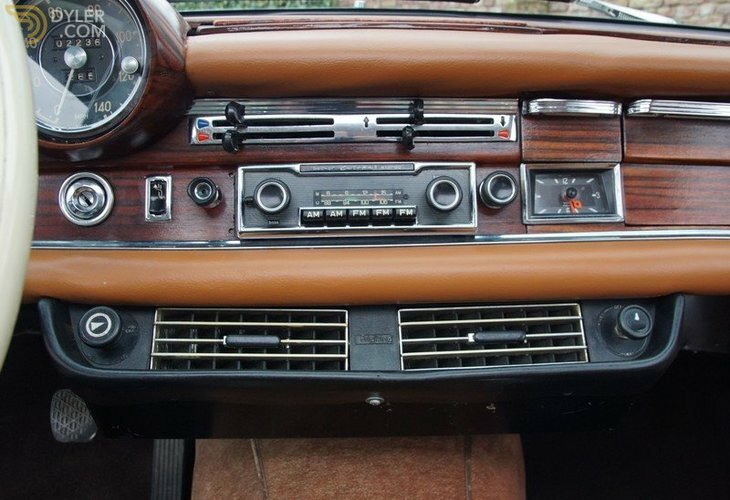 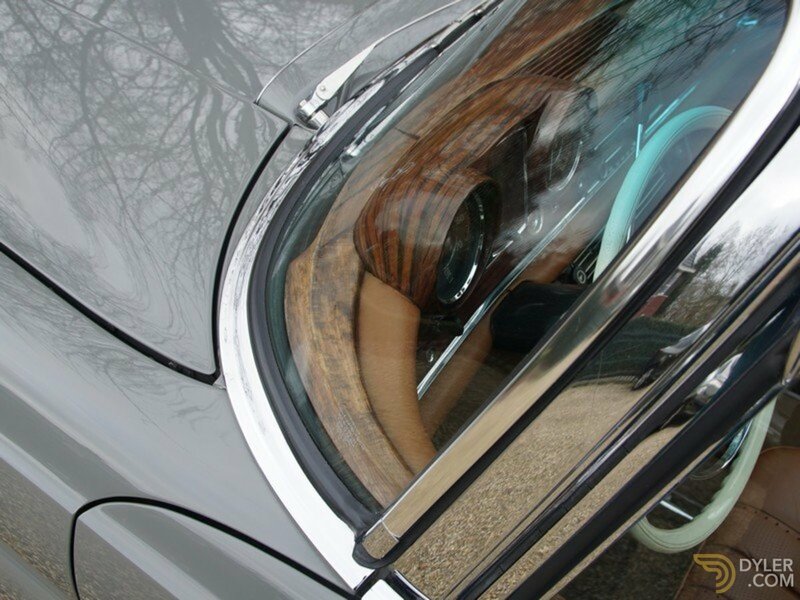 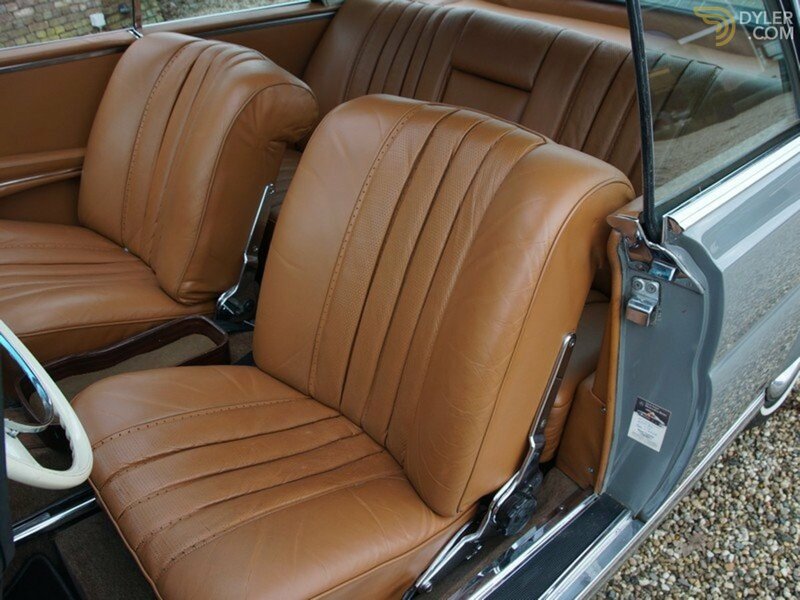 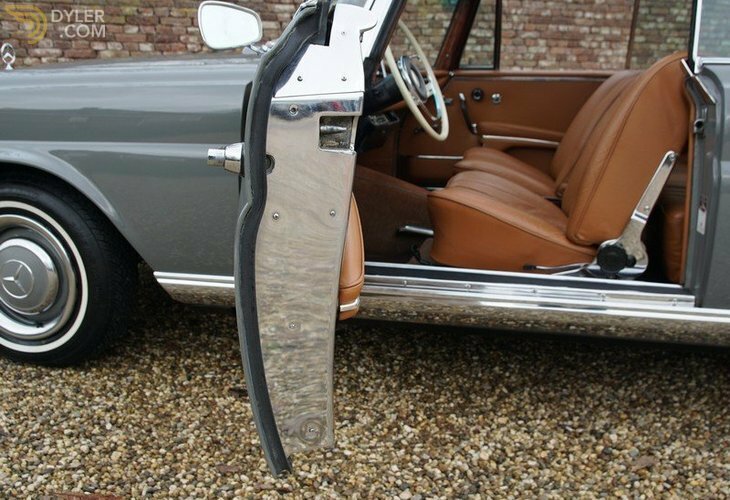 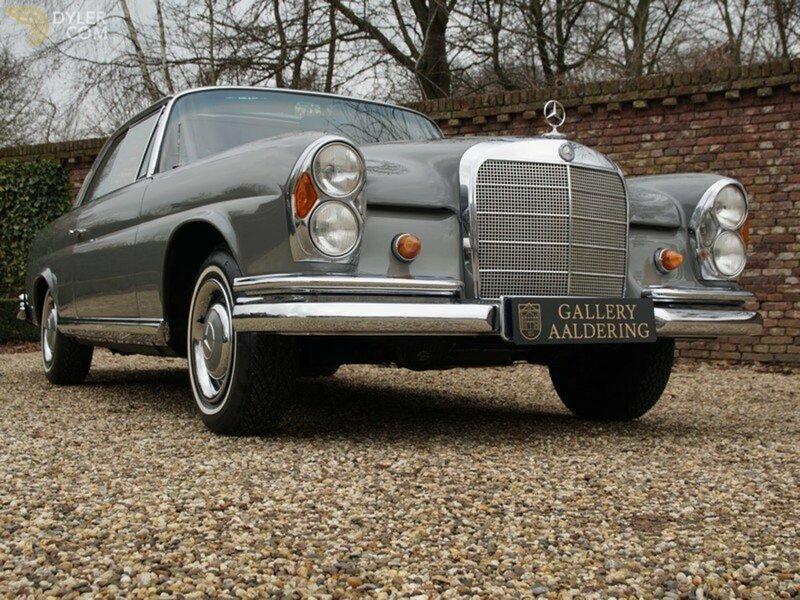 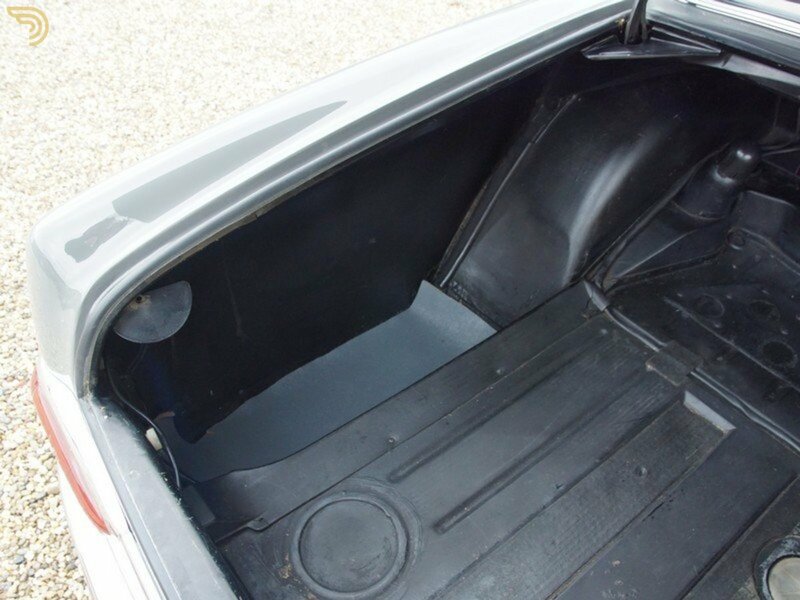 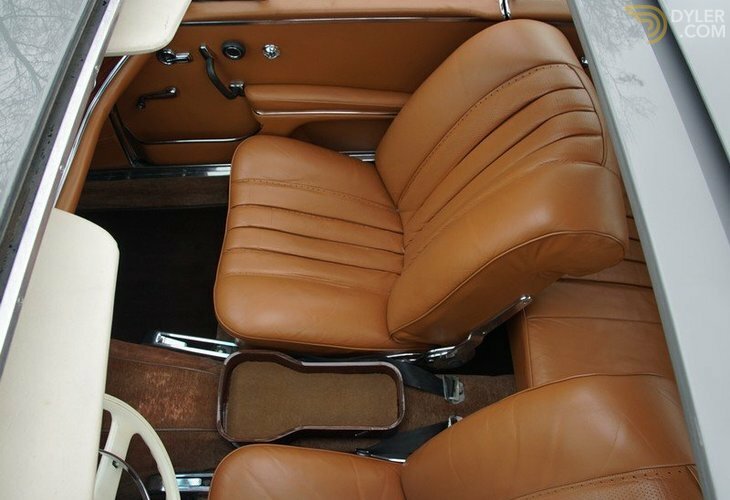 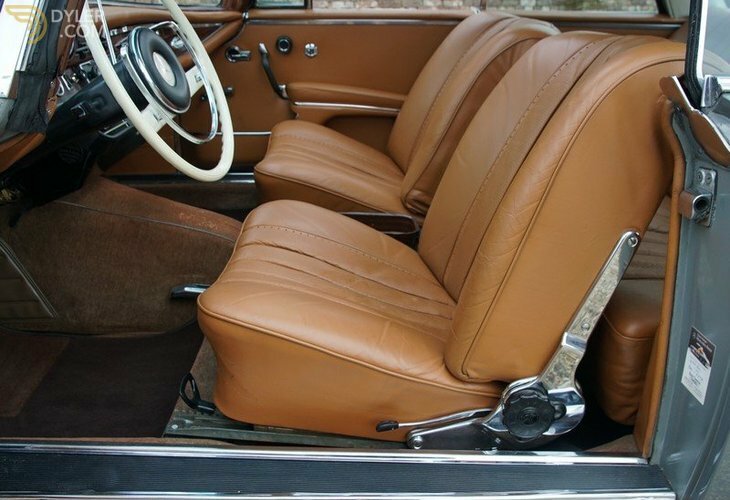 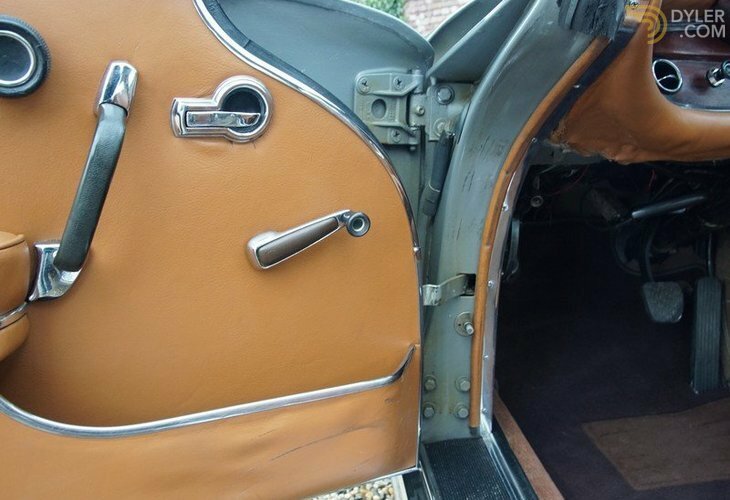 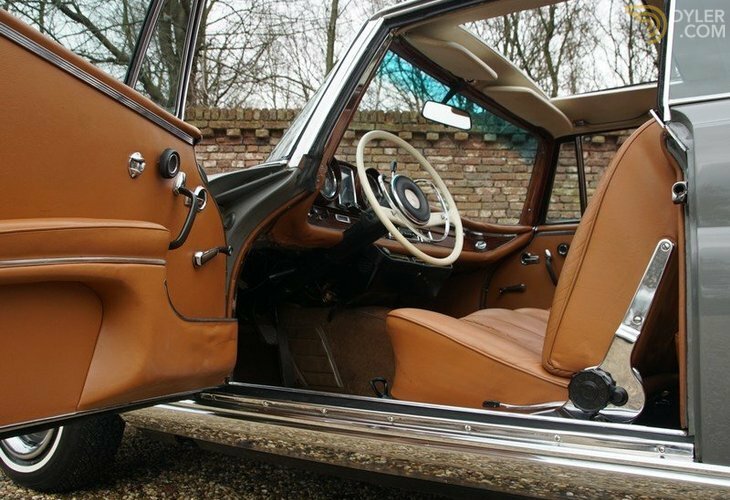 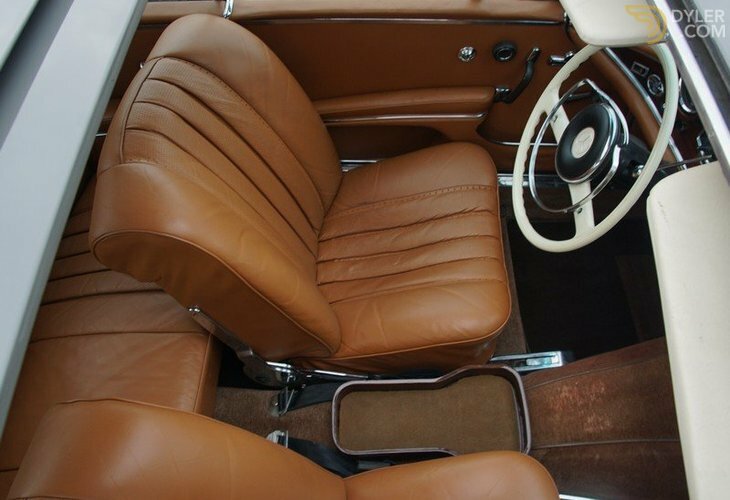 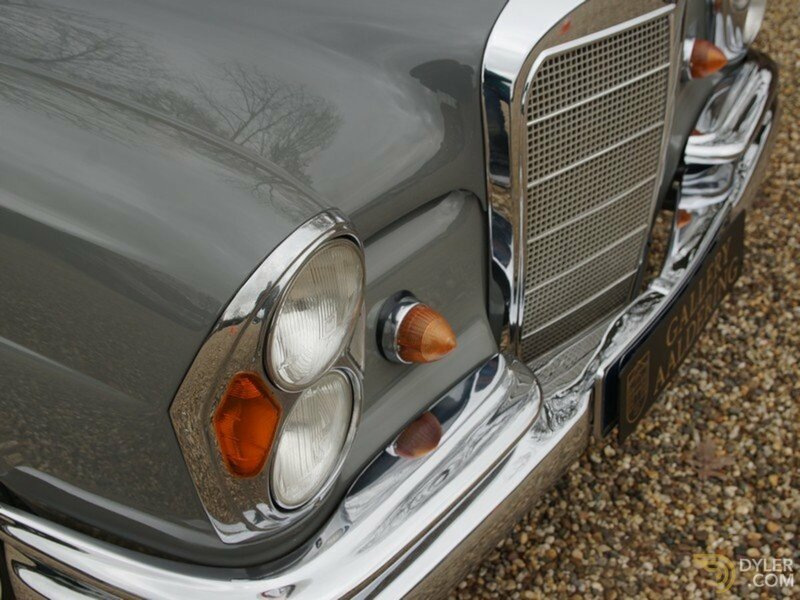 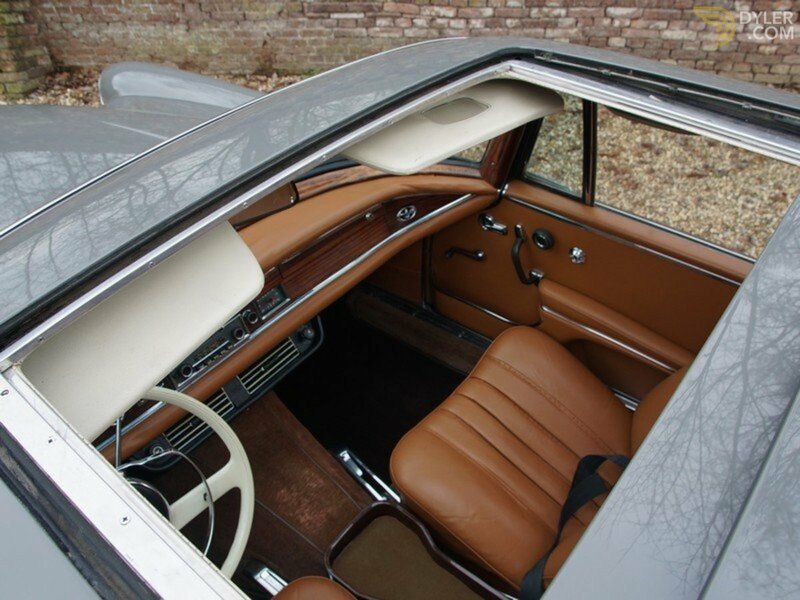 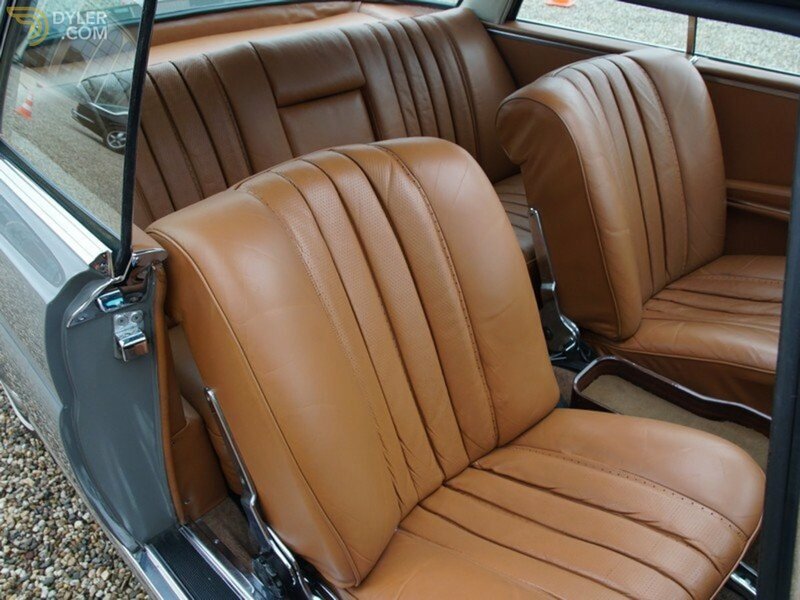 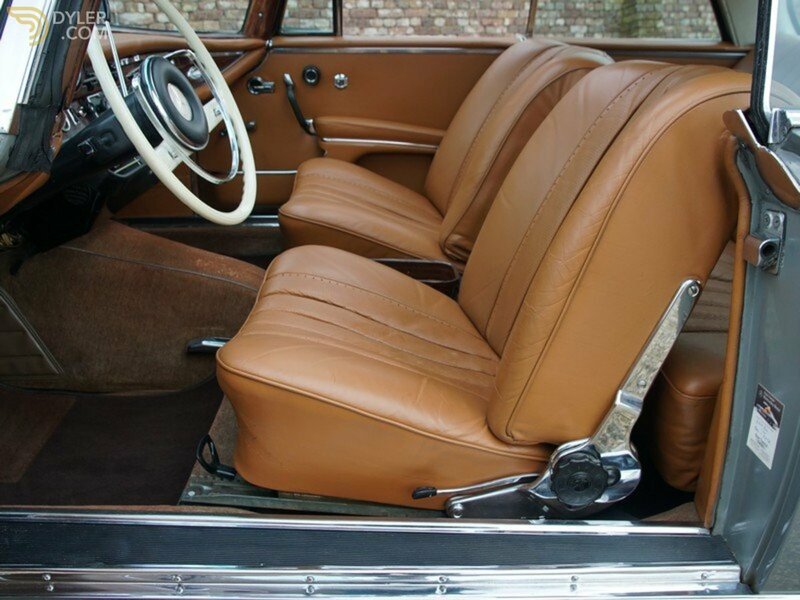 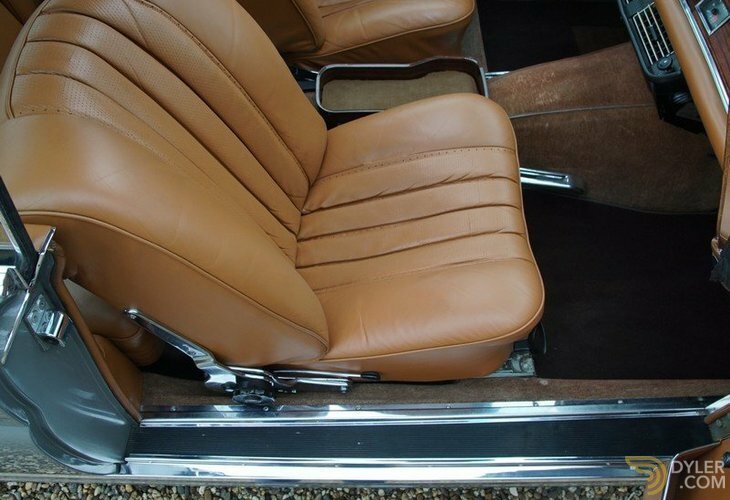 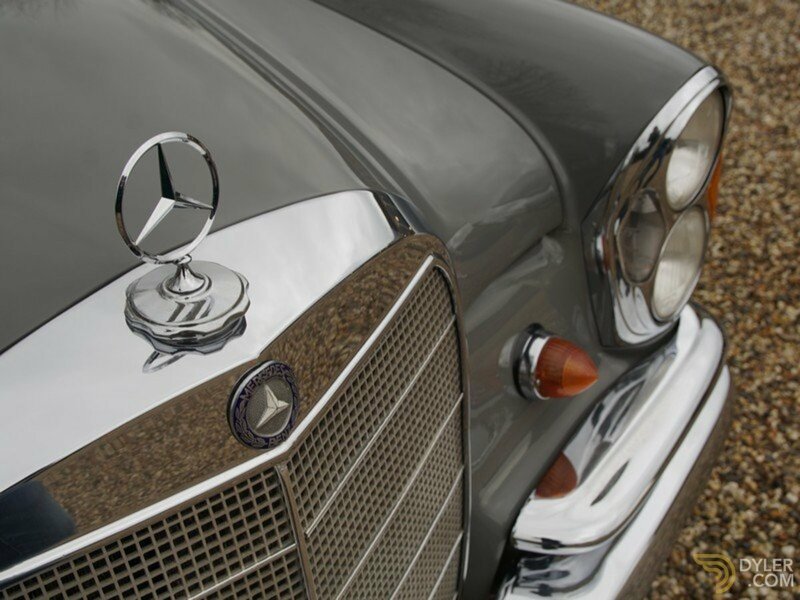 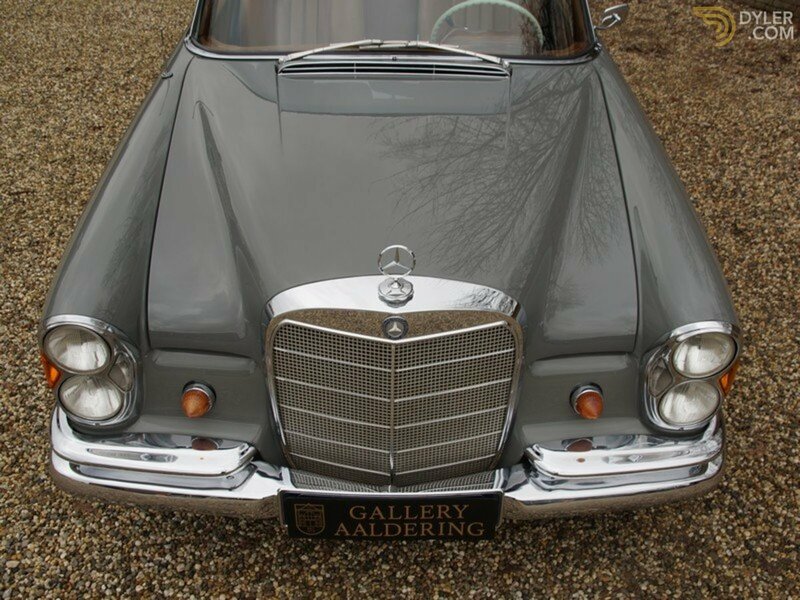 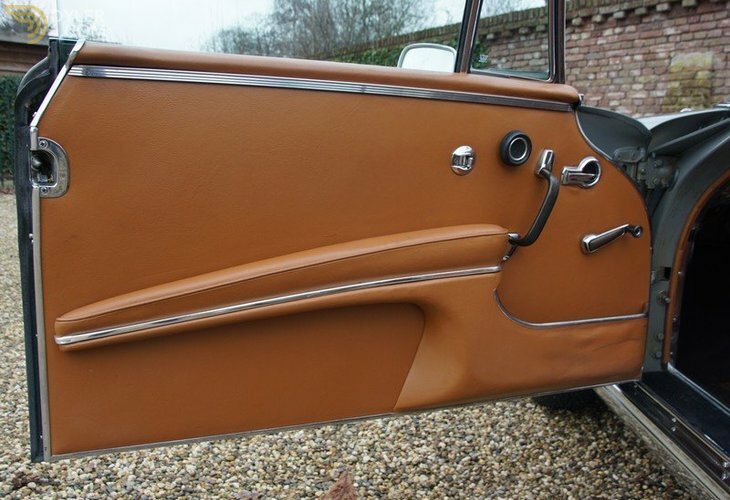 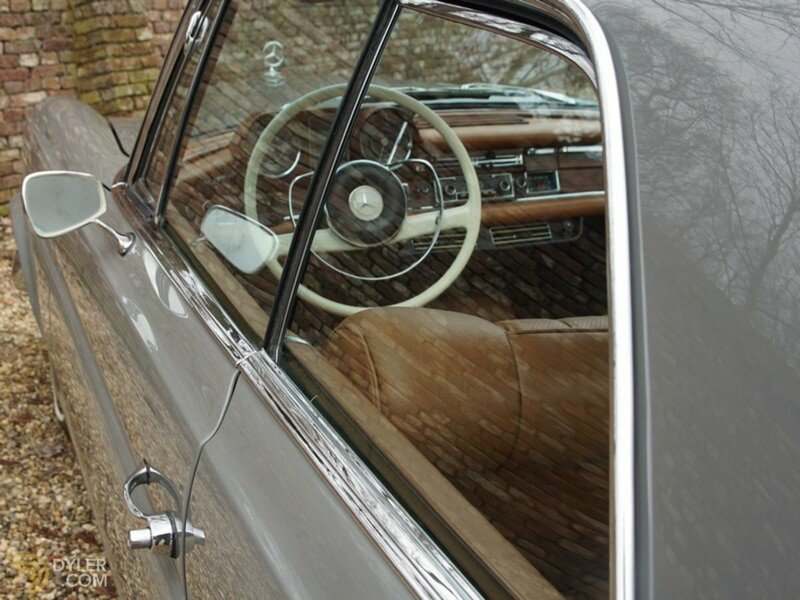 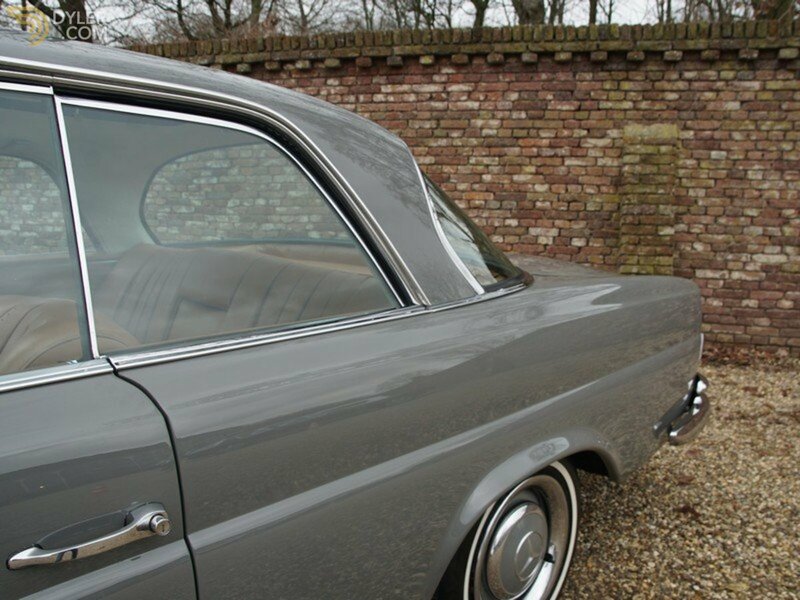 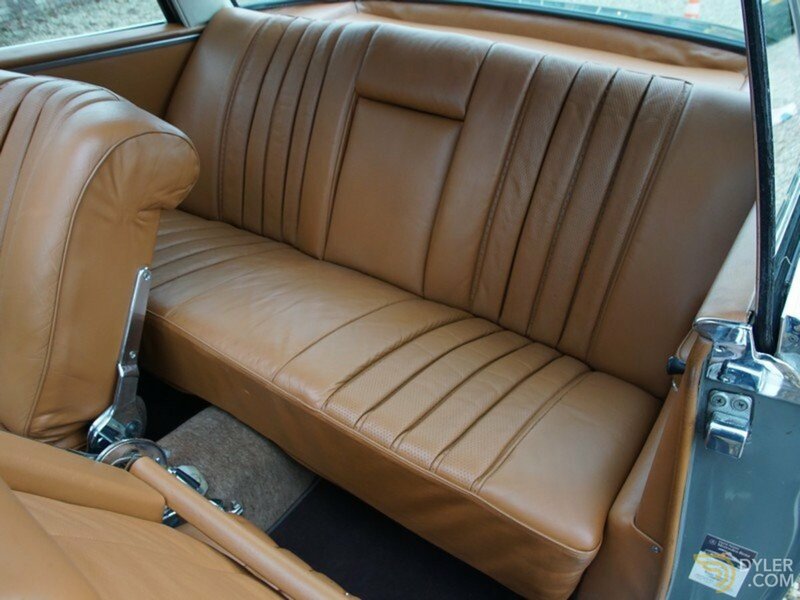 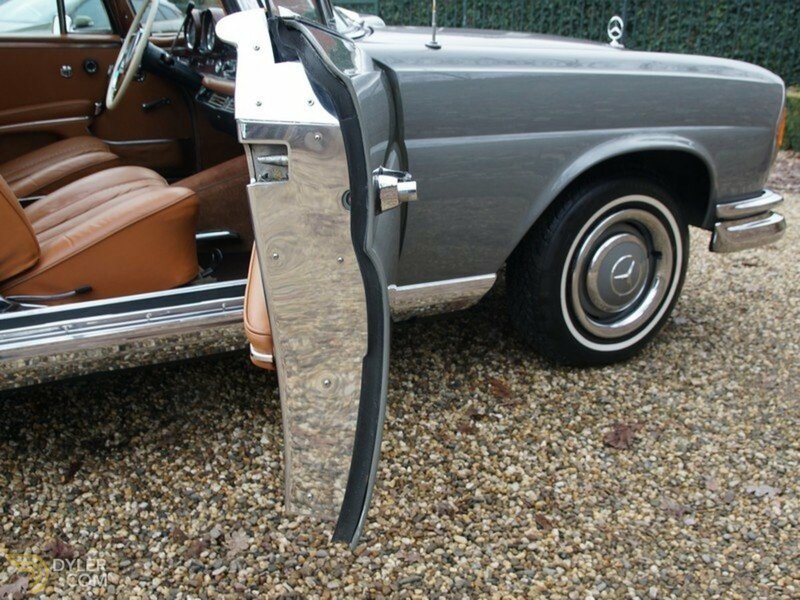 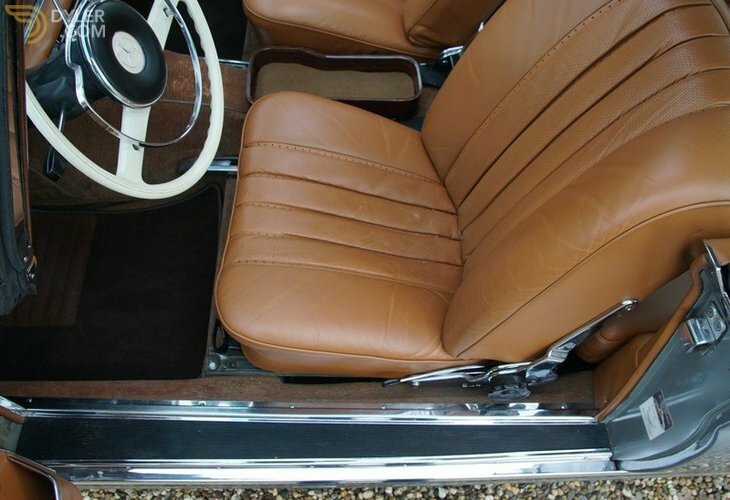 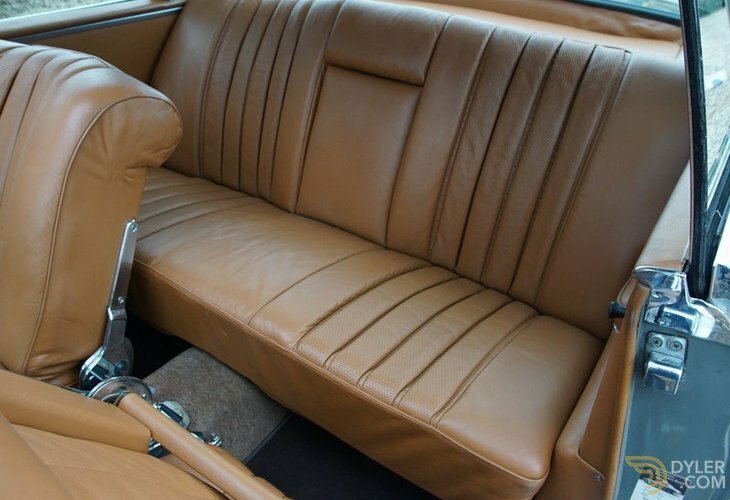 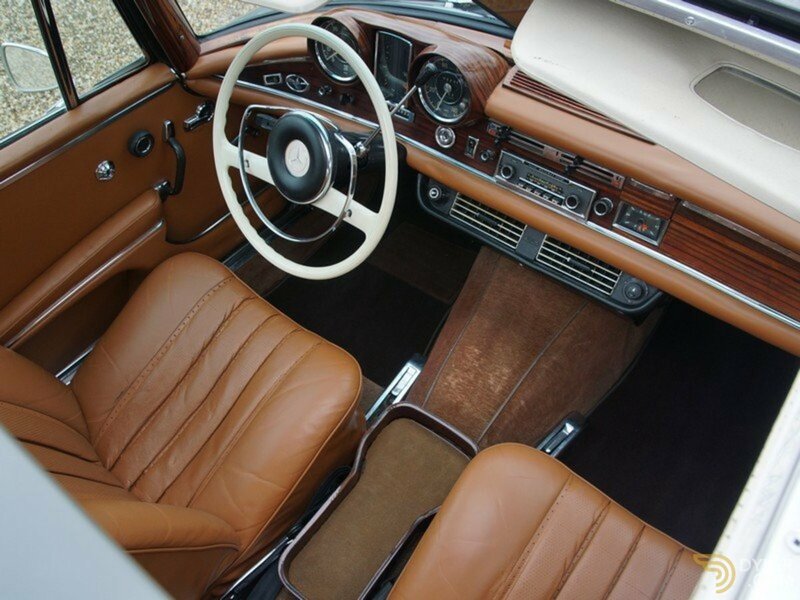 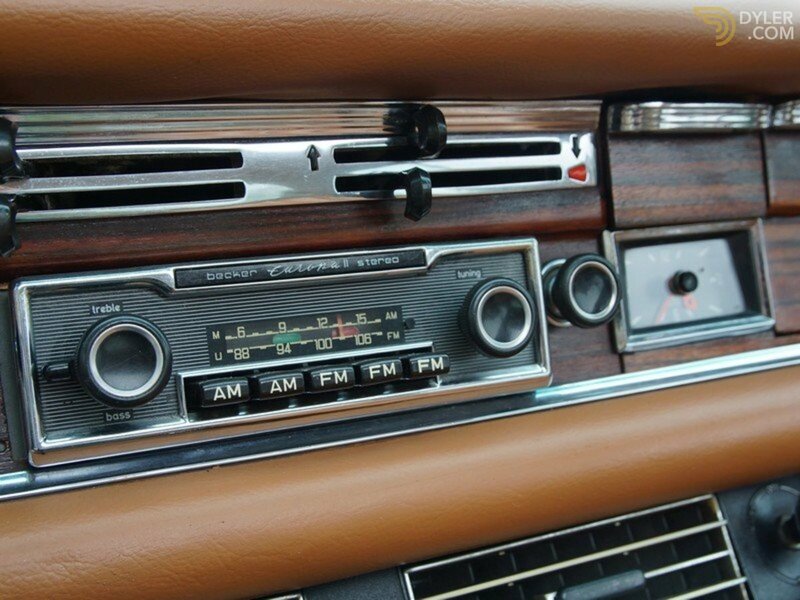 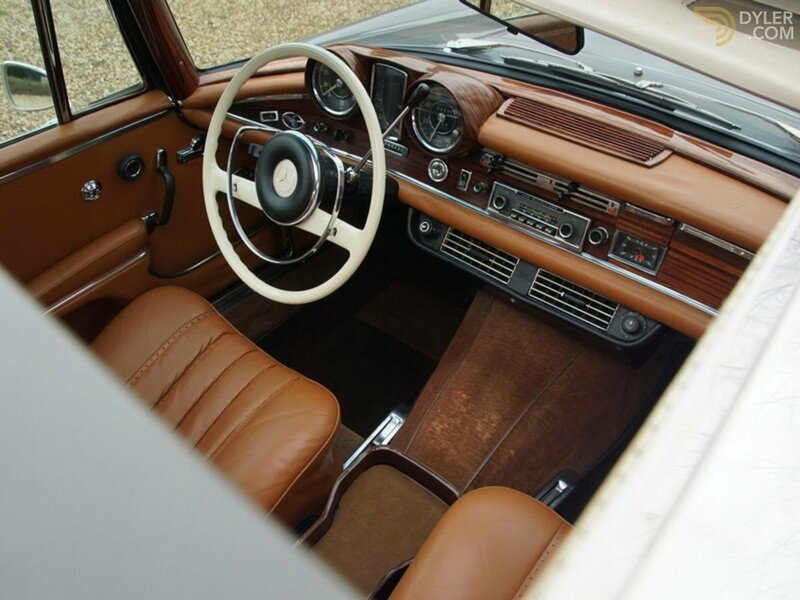 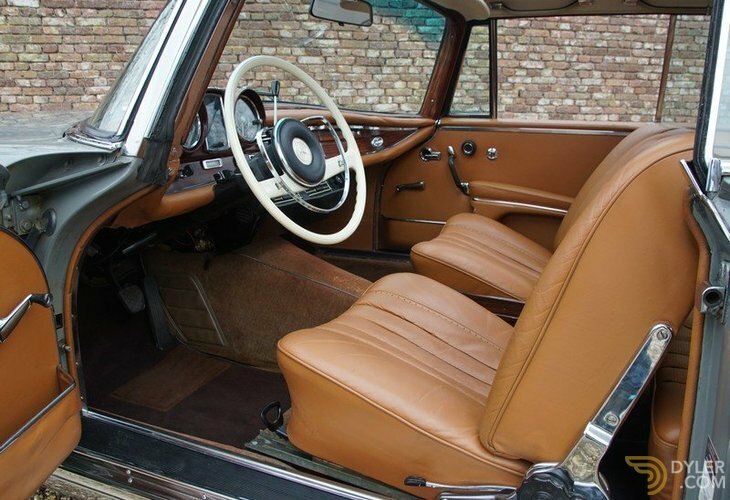 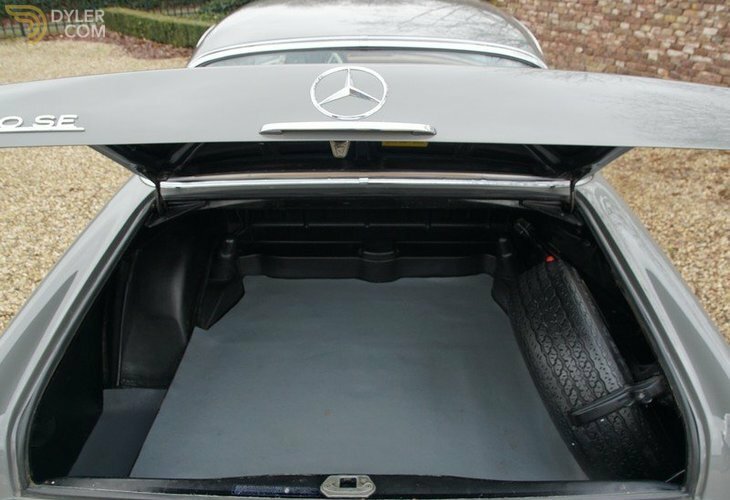 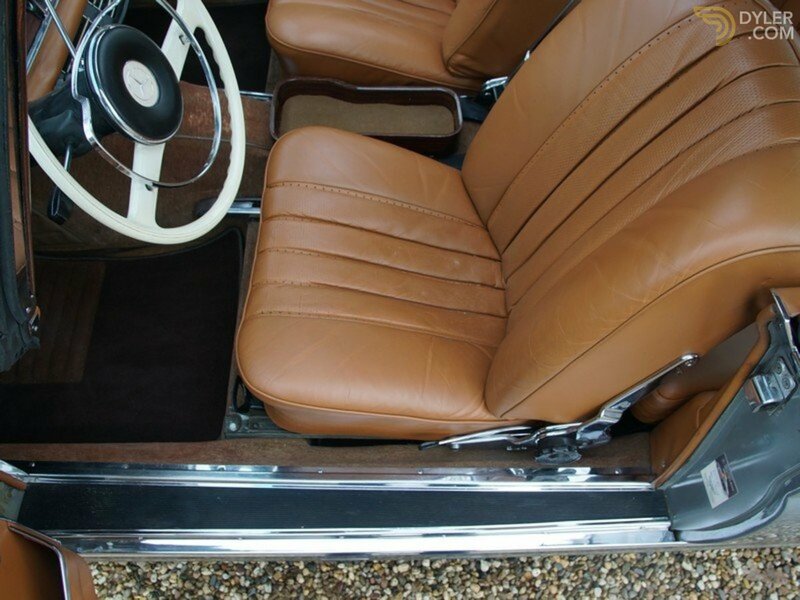 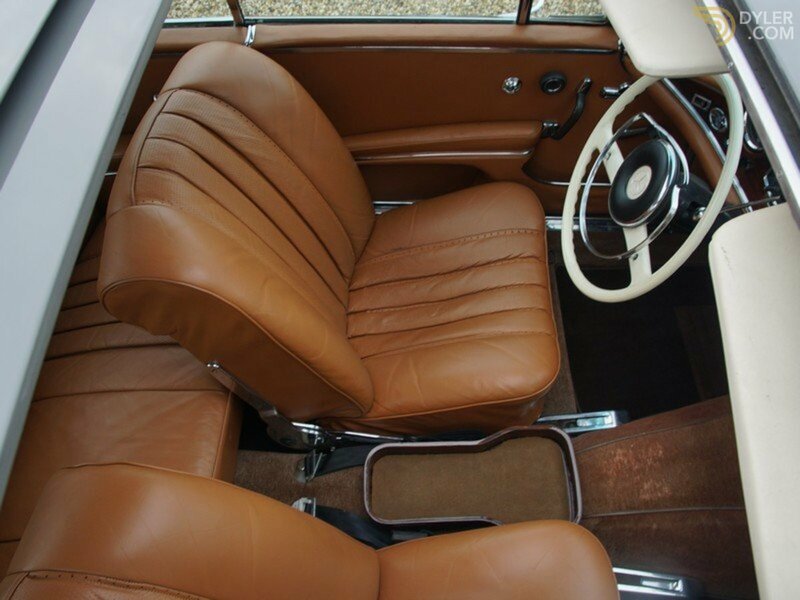 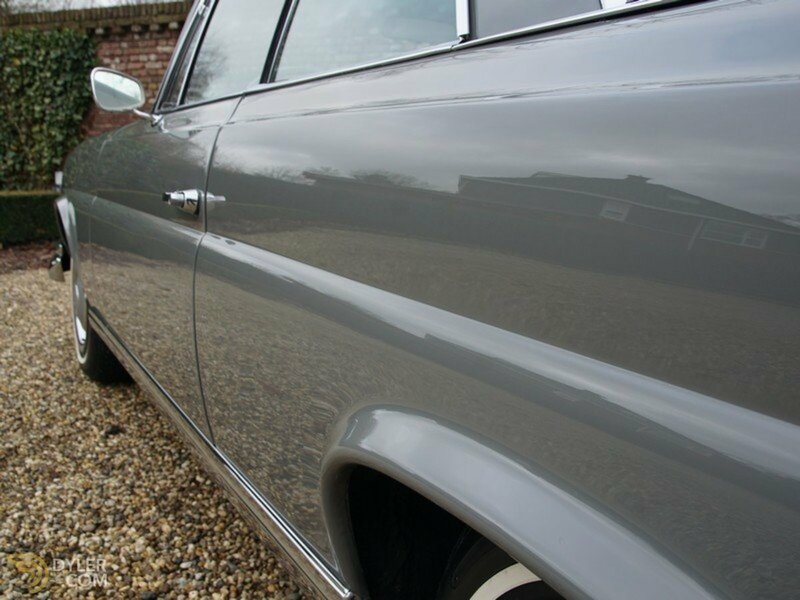 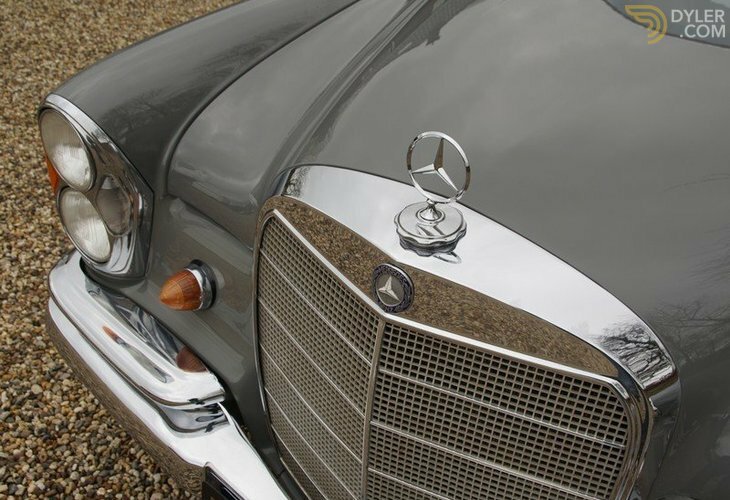 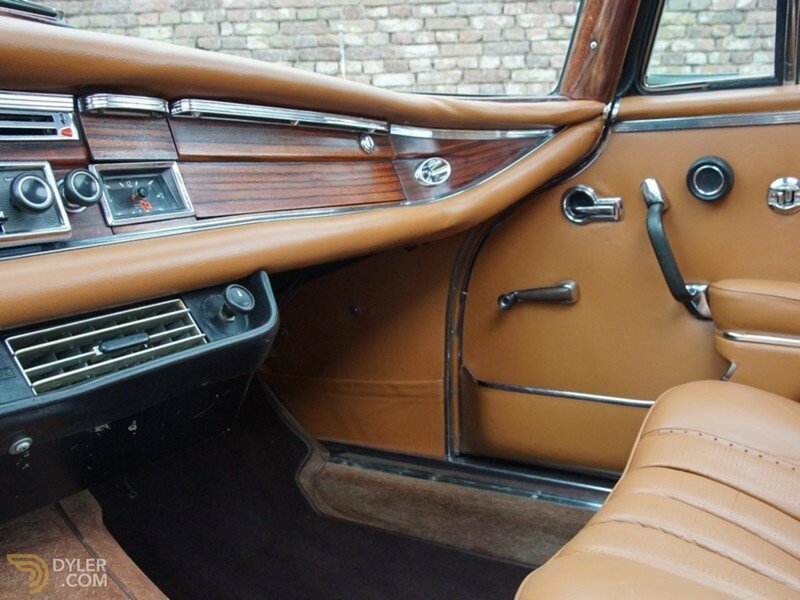 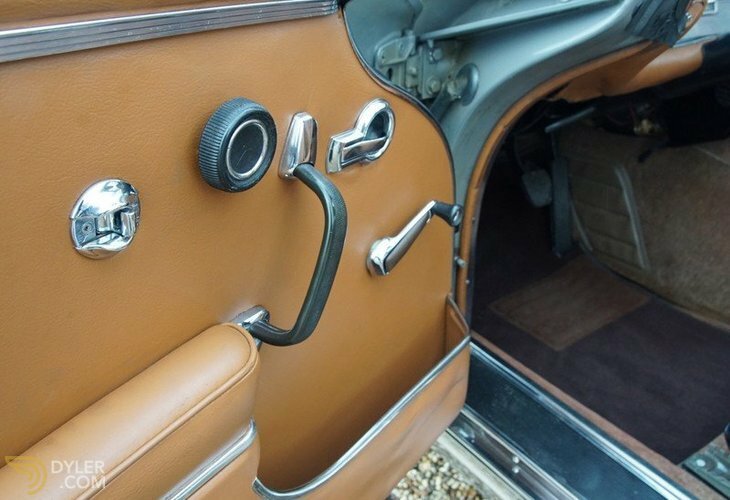 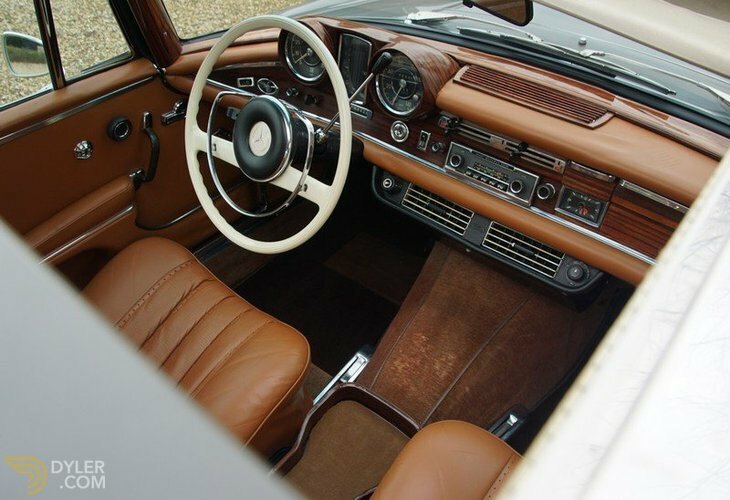 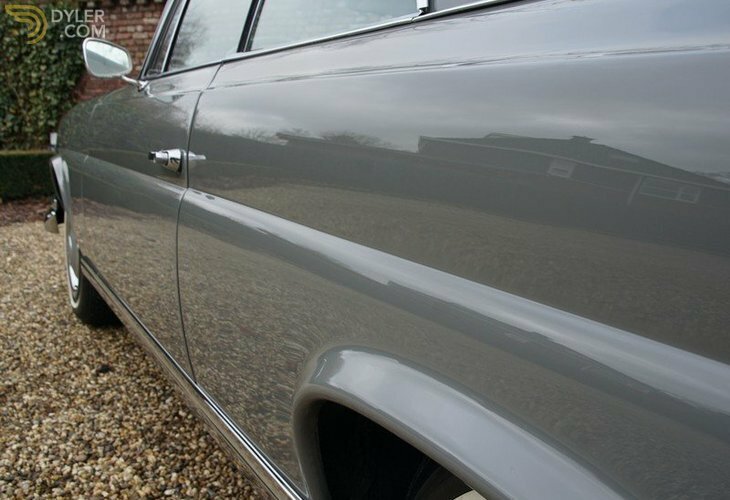 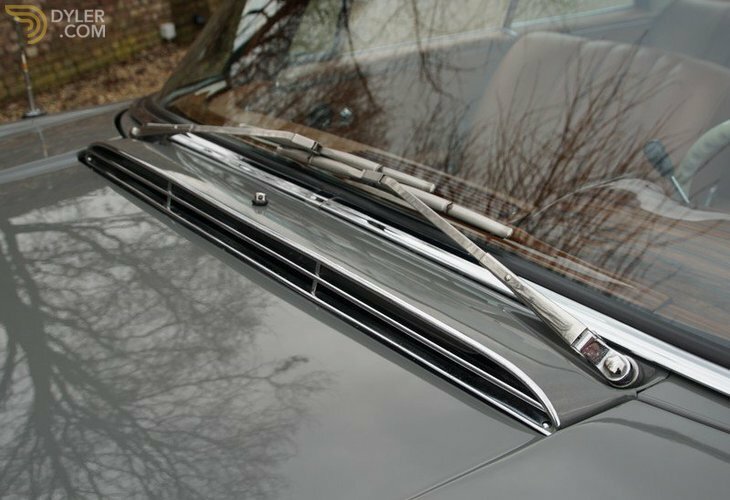 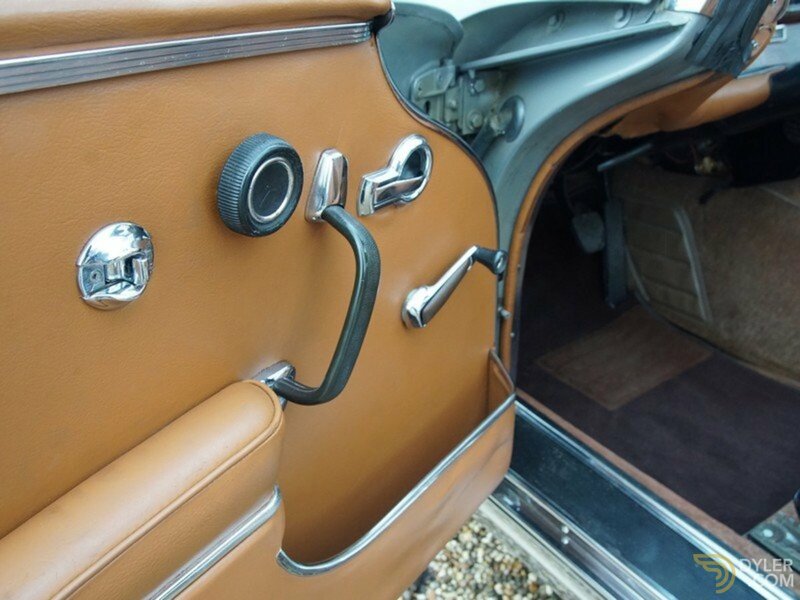 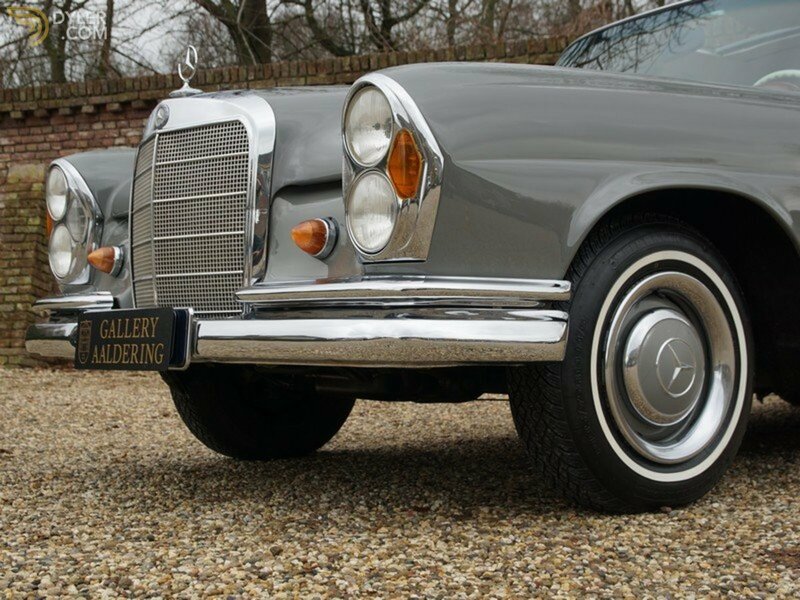 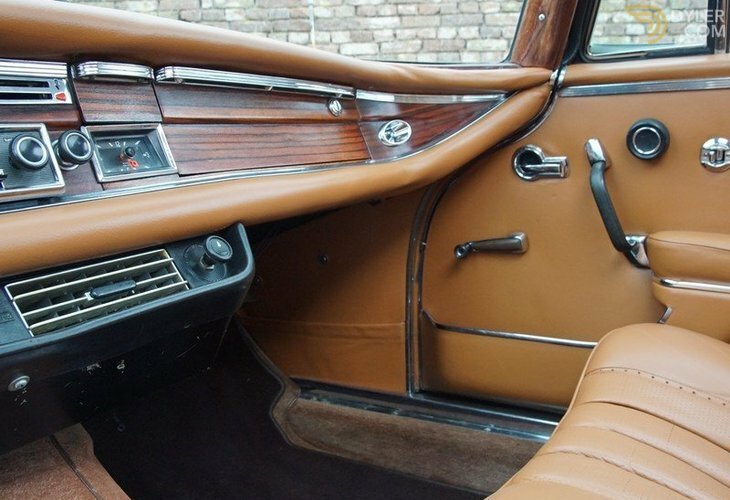 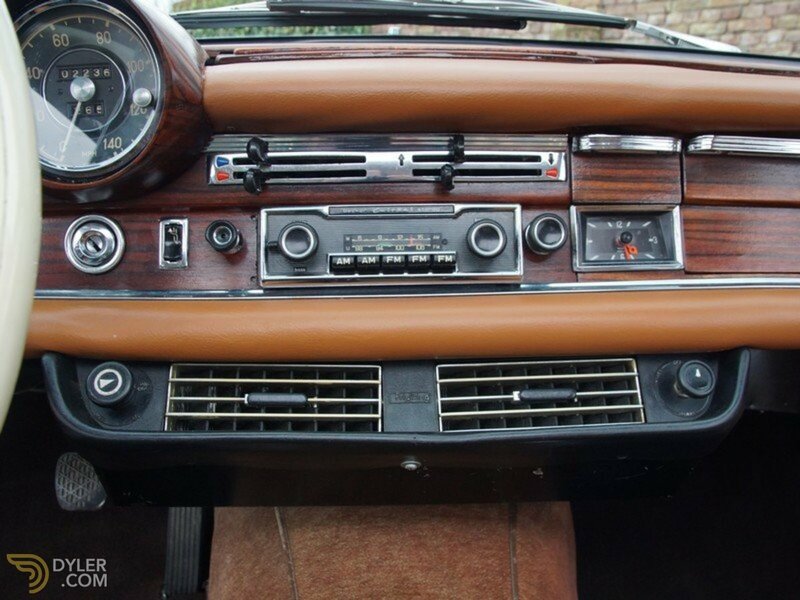 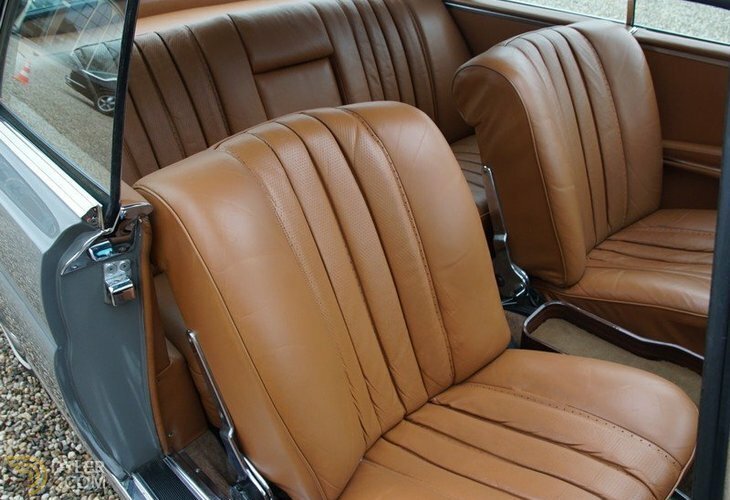 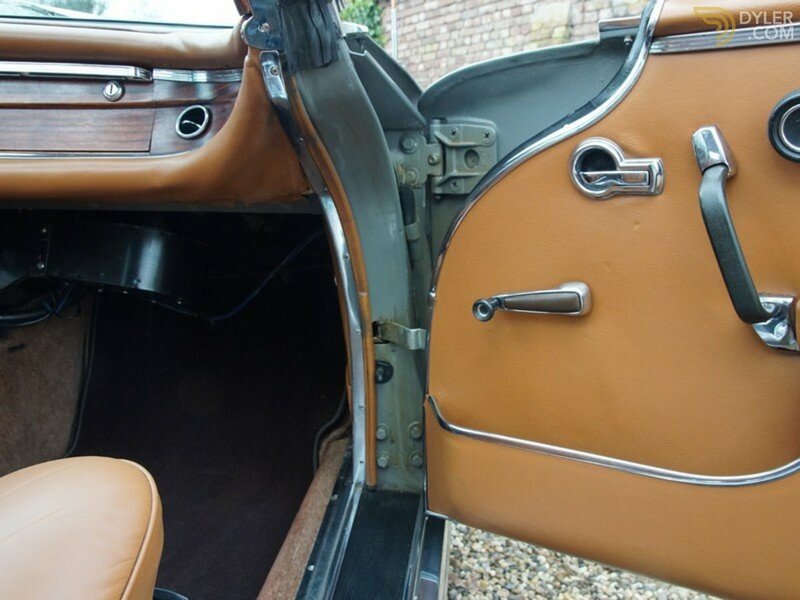 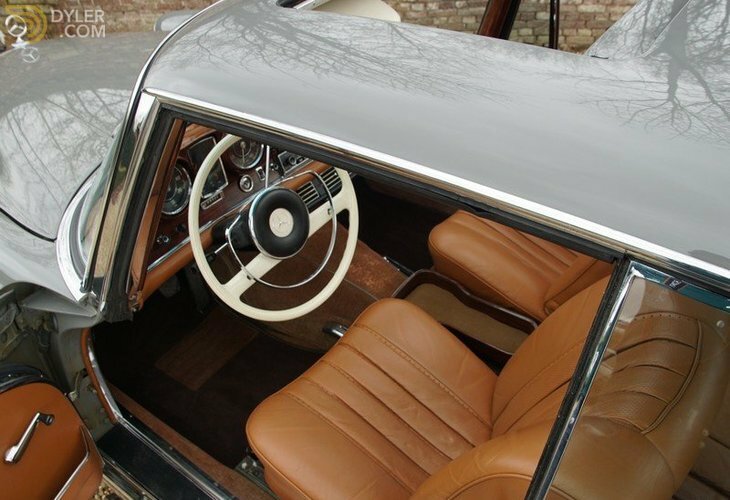 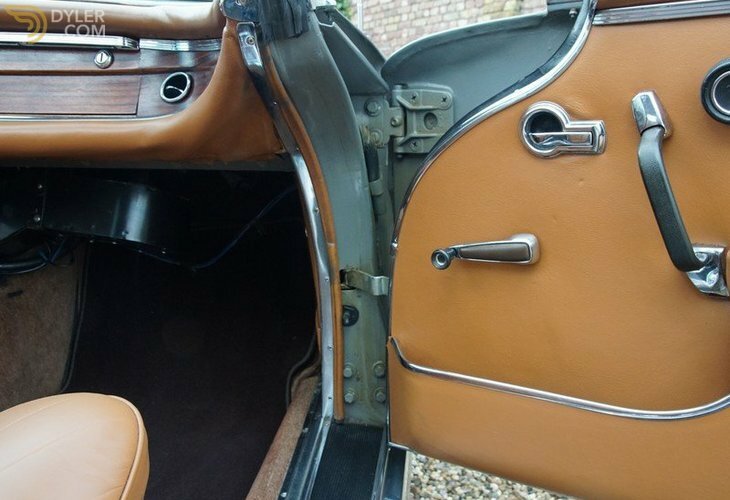 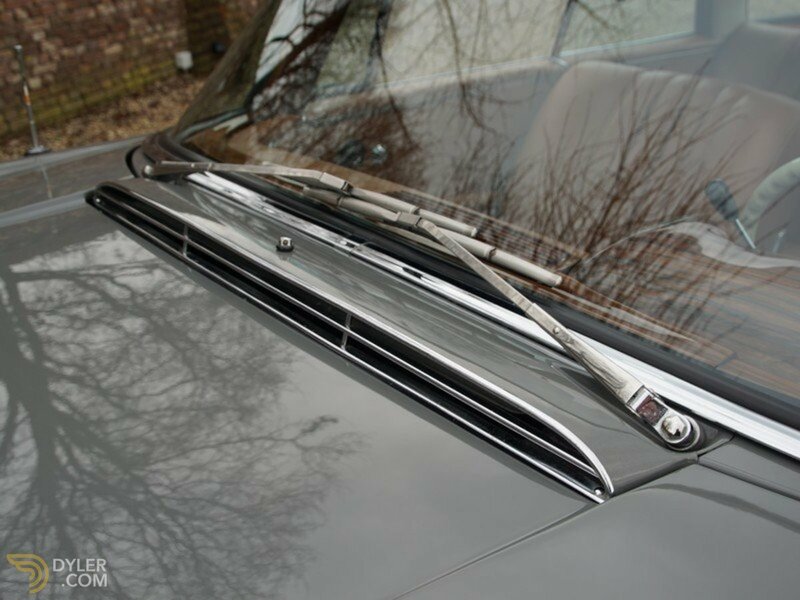 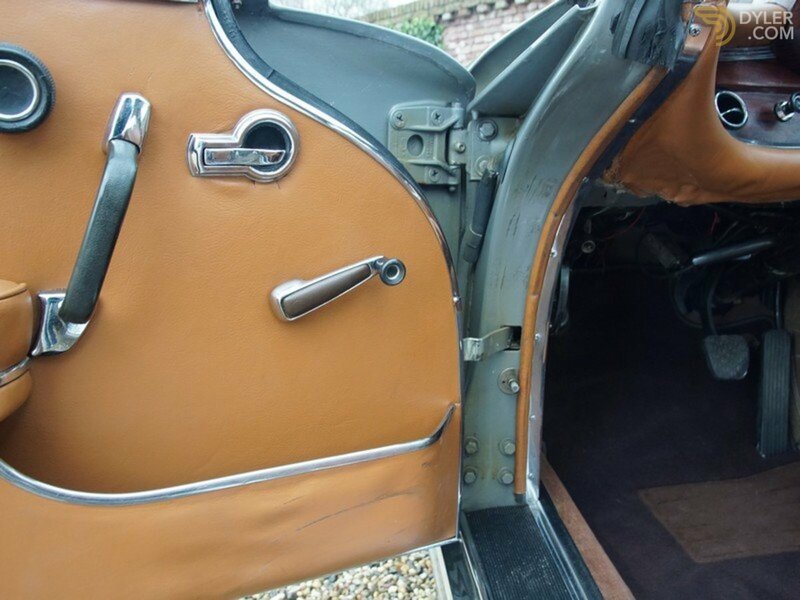 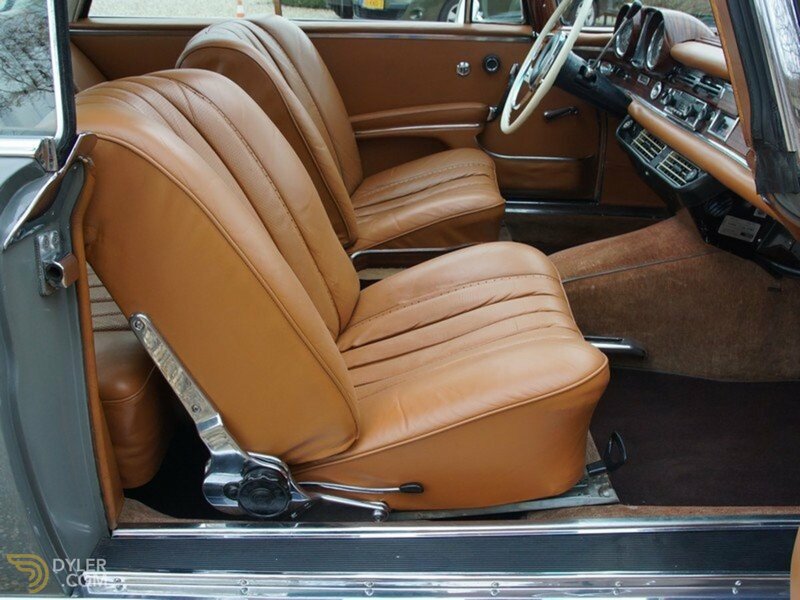 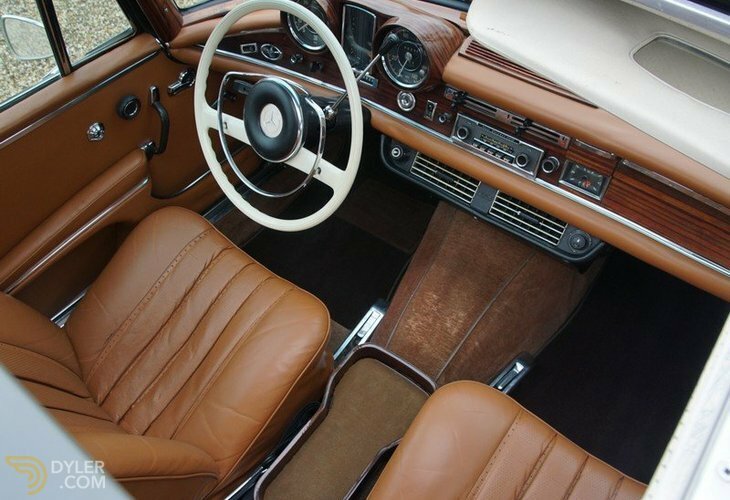 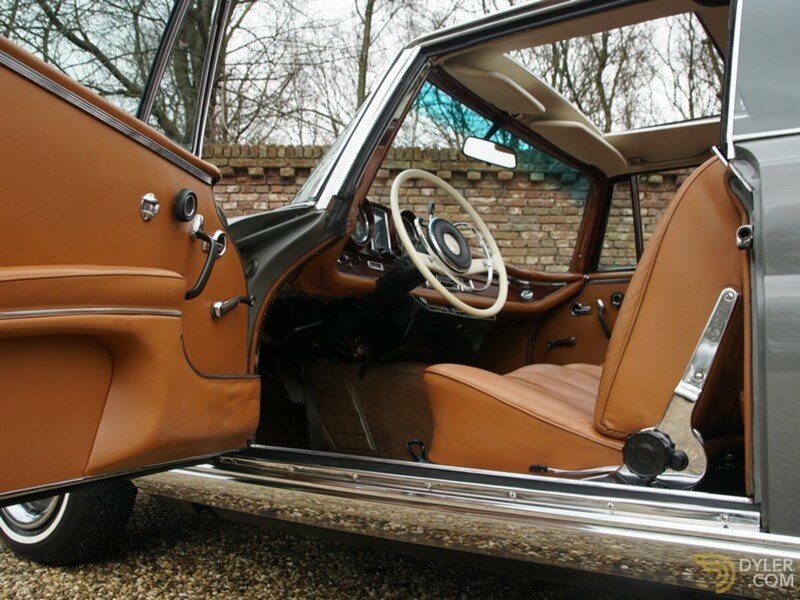 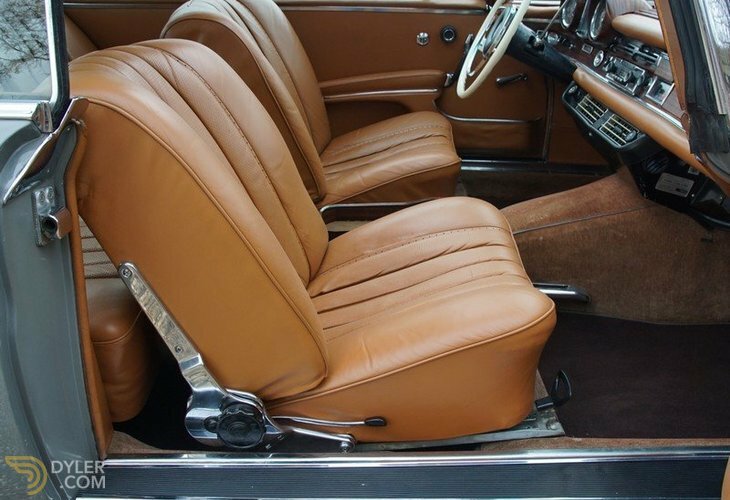 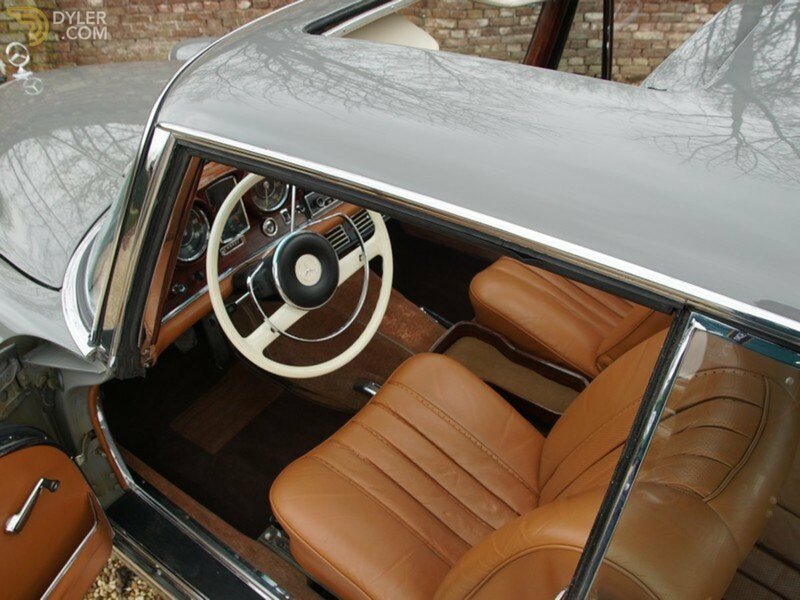 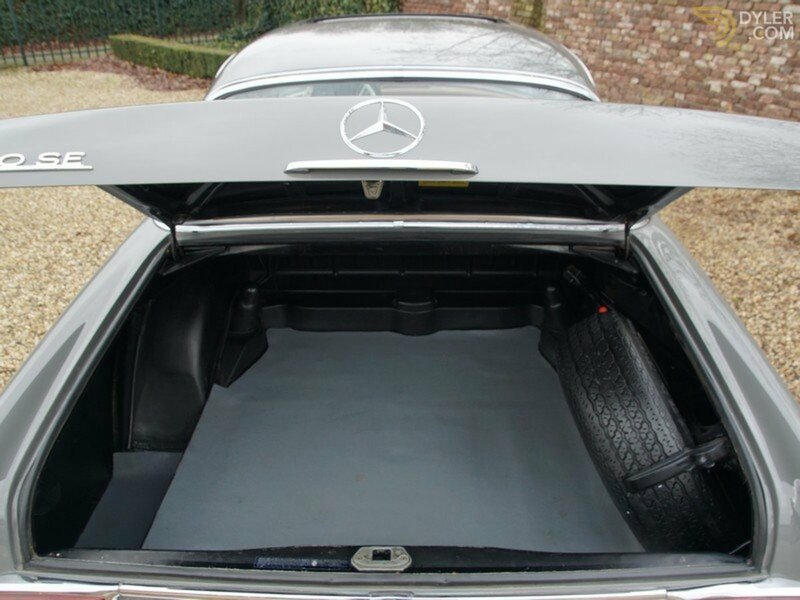 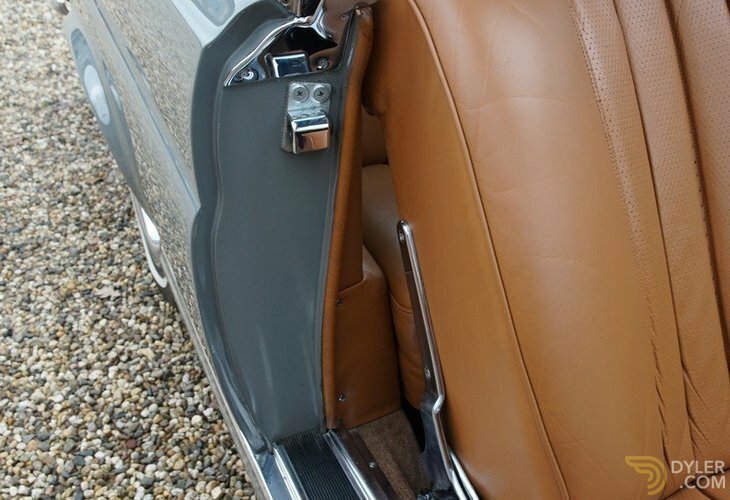 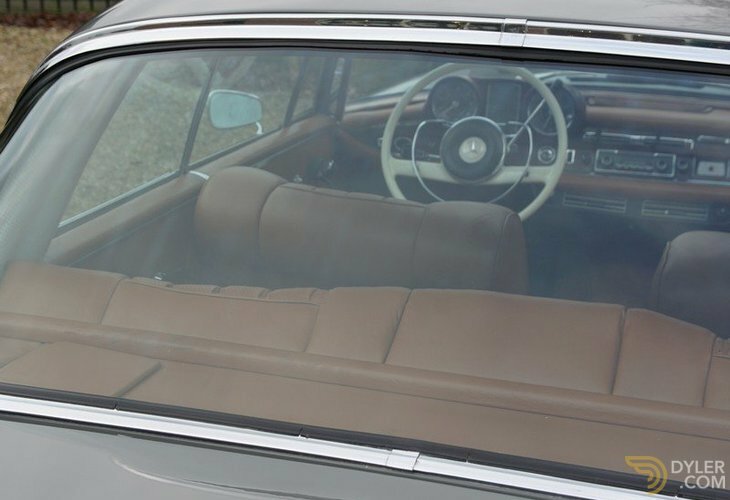 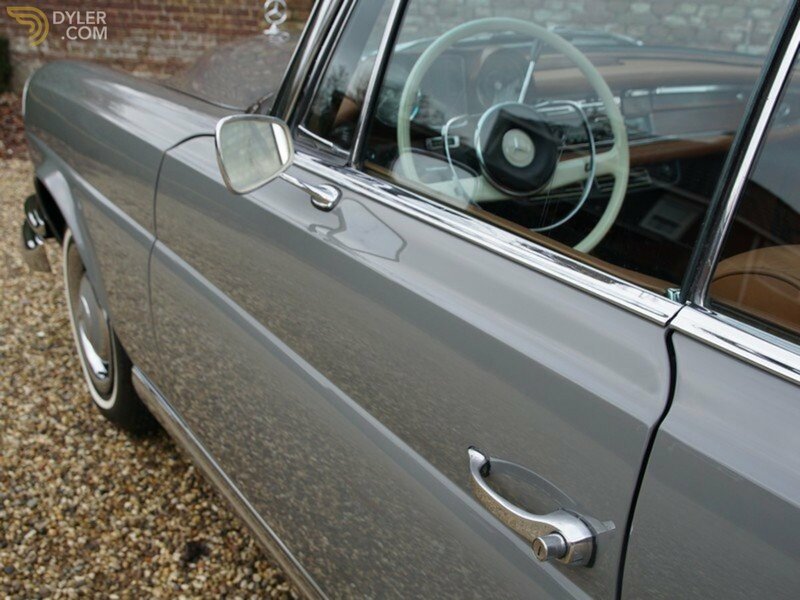 It has an unusual ‘Arabergrey’ finish with a beige leather interior trim. 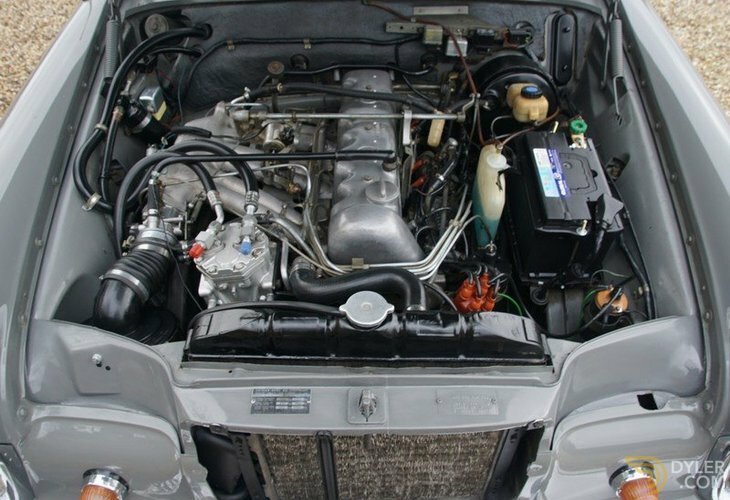 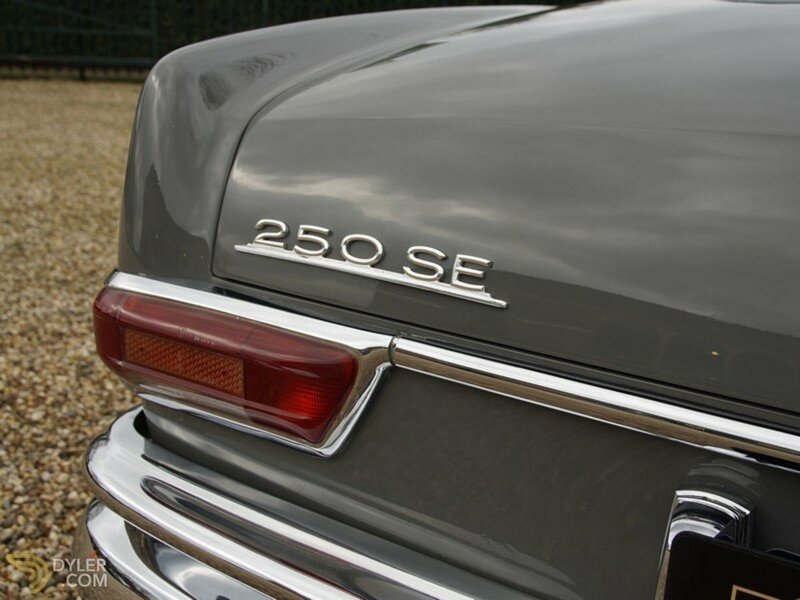 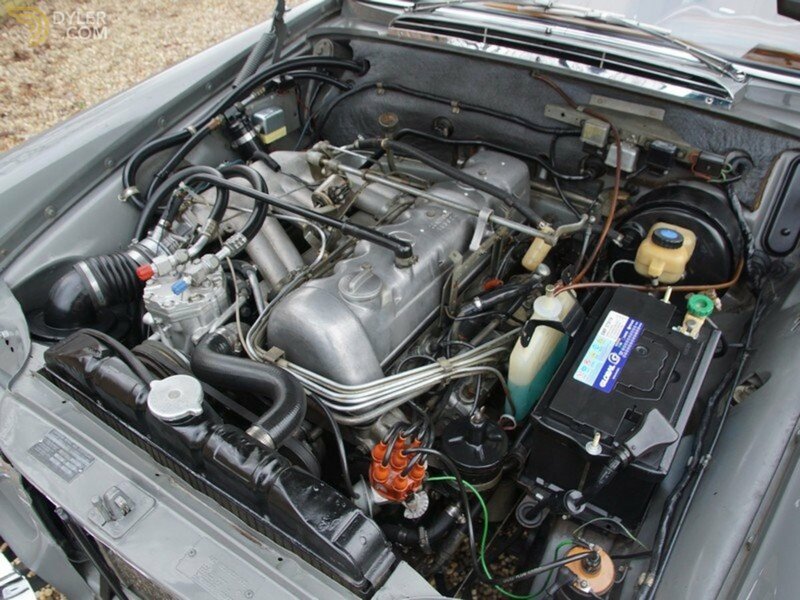 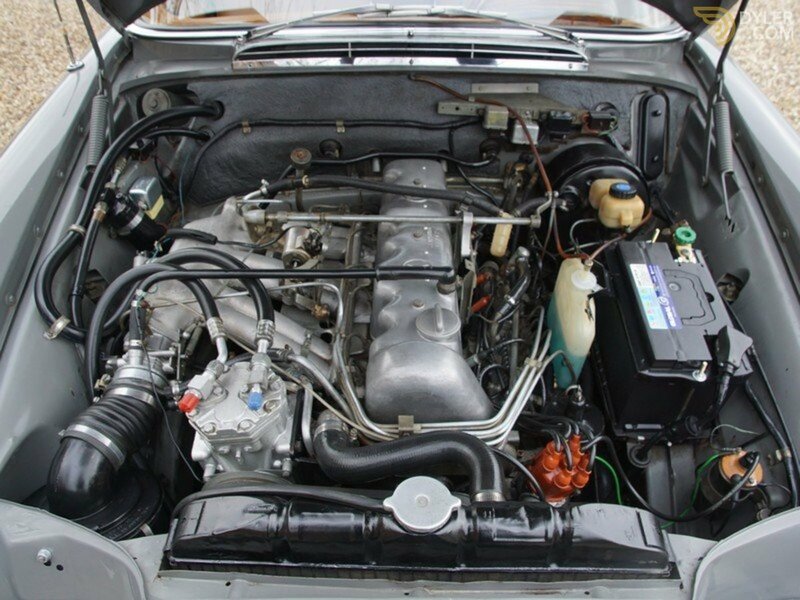 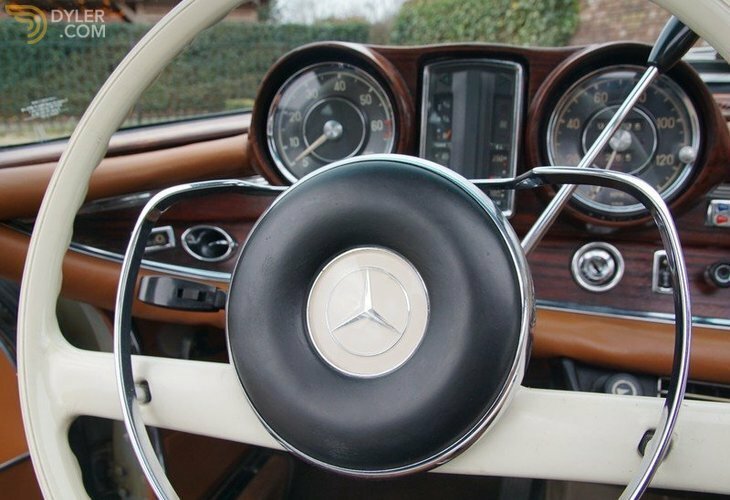 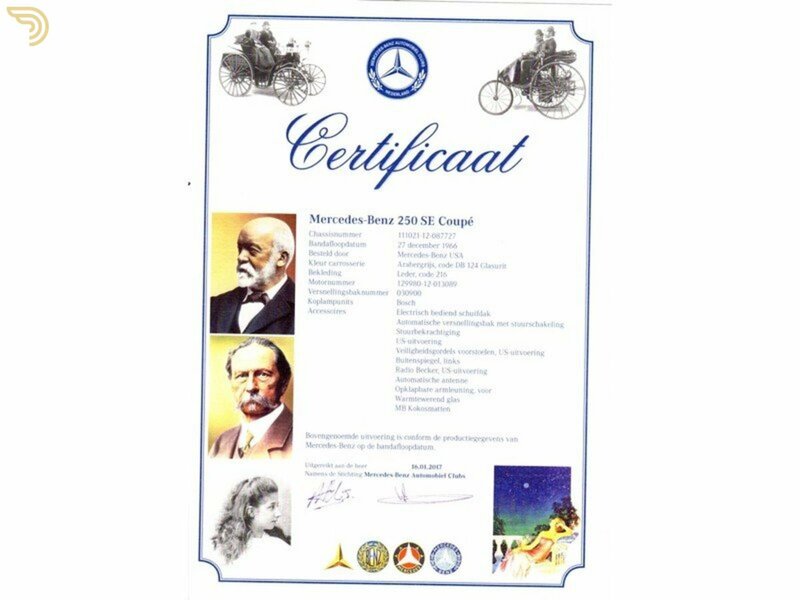 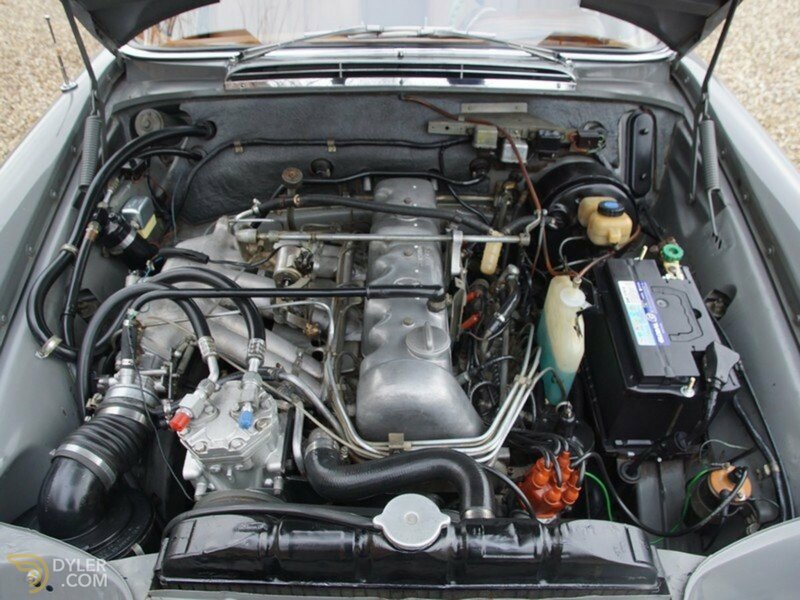 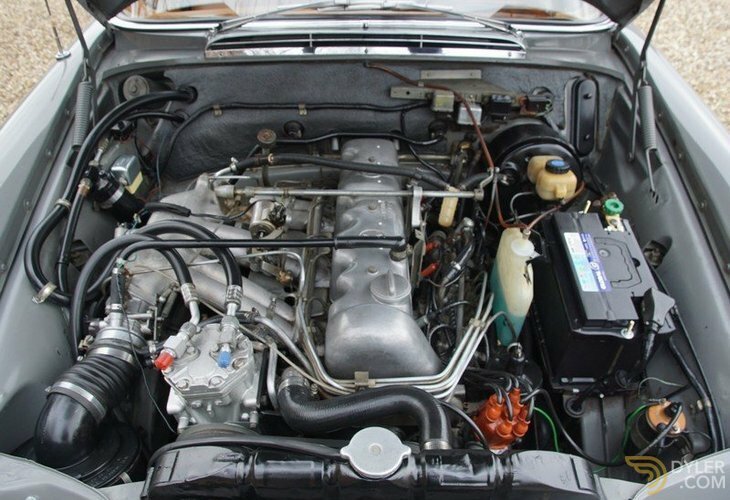 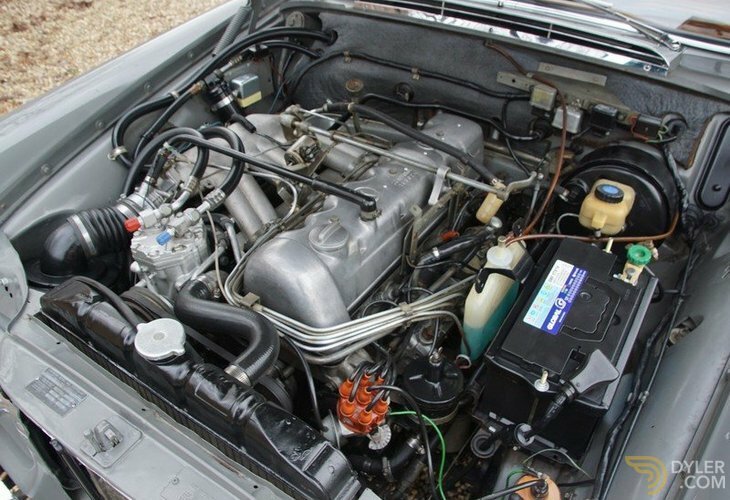 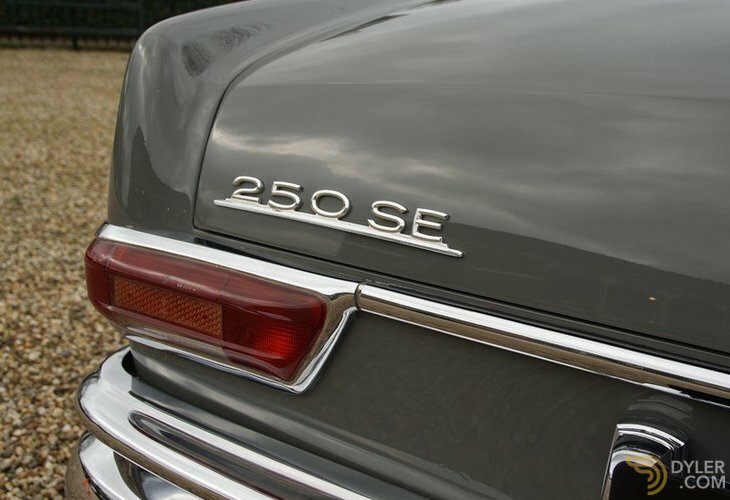 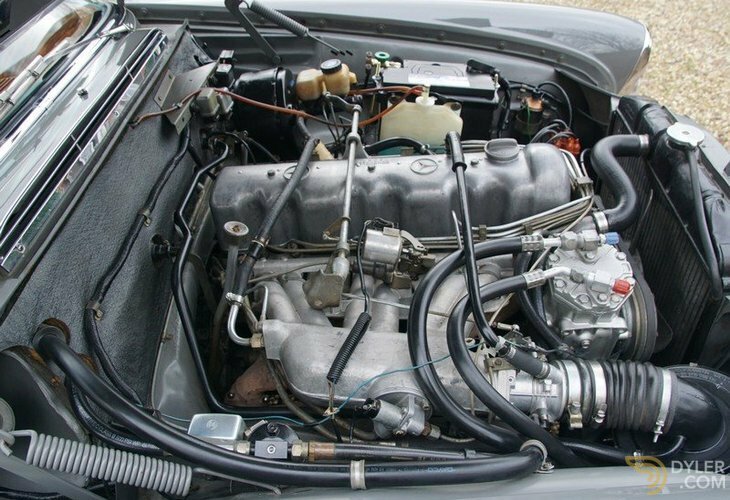 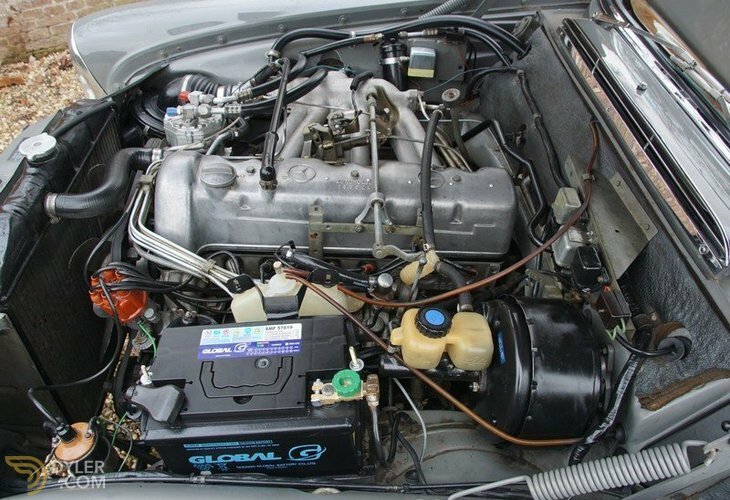 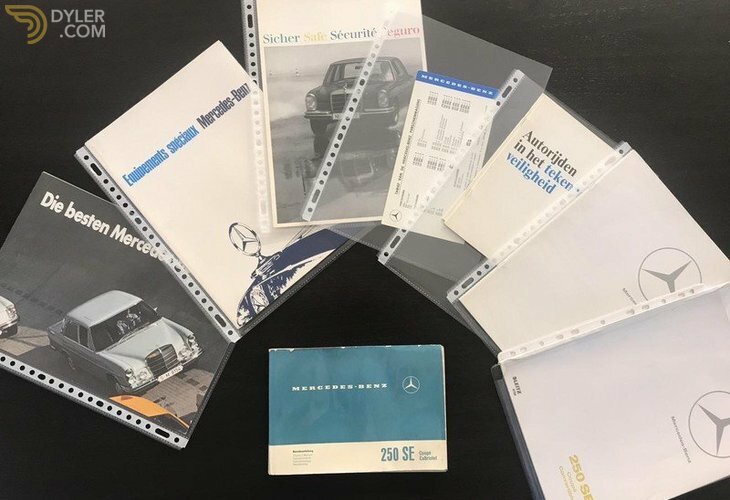 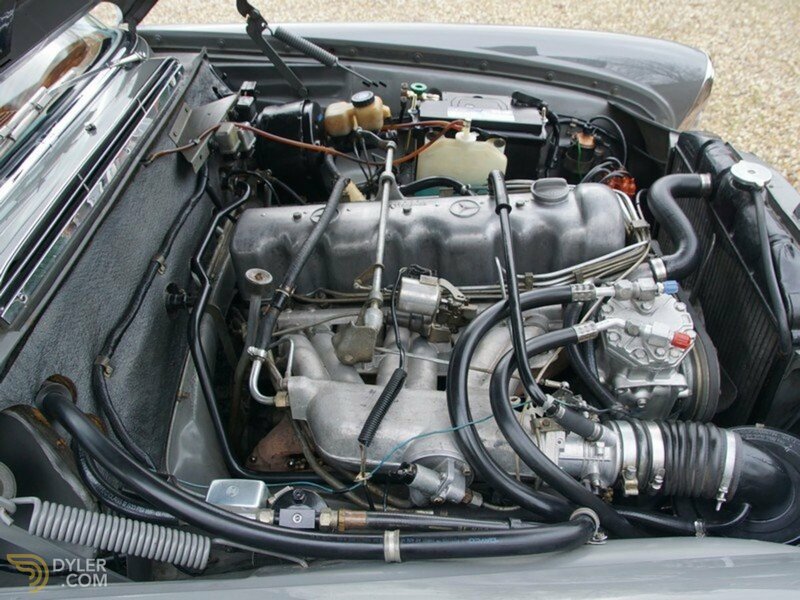 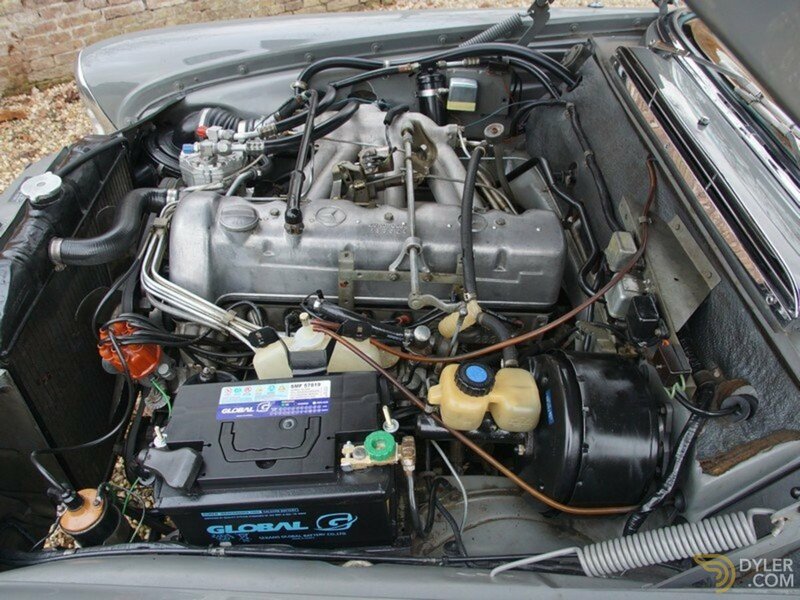 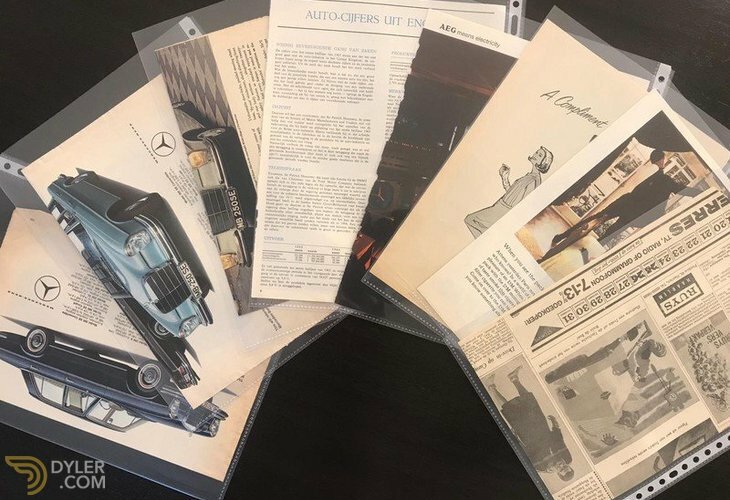 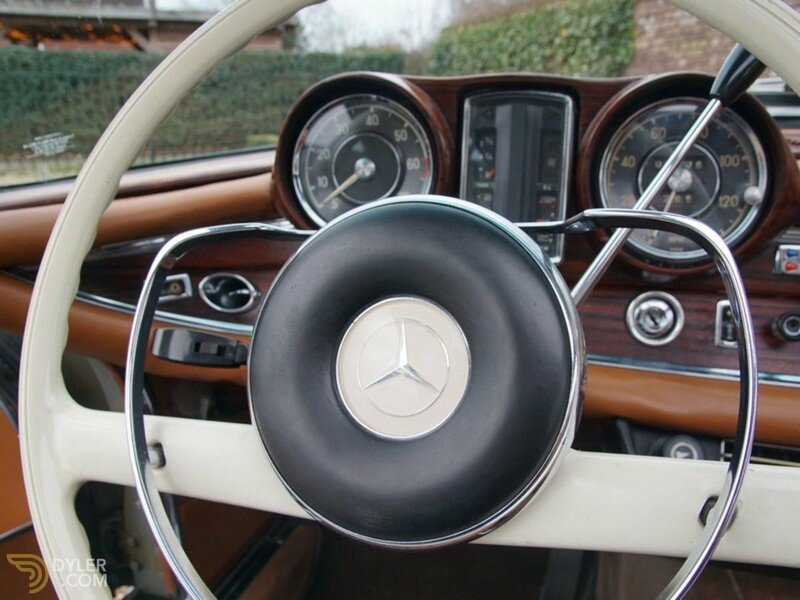 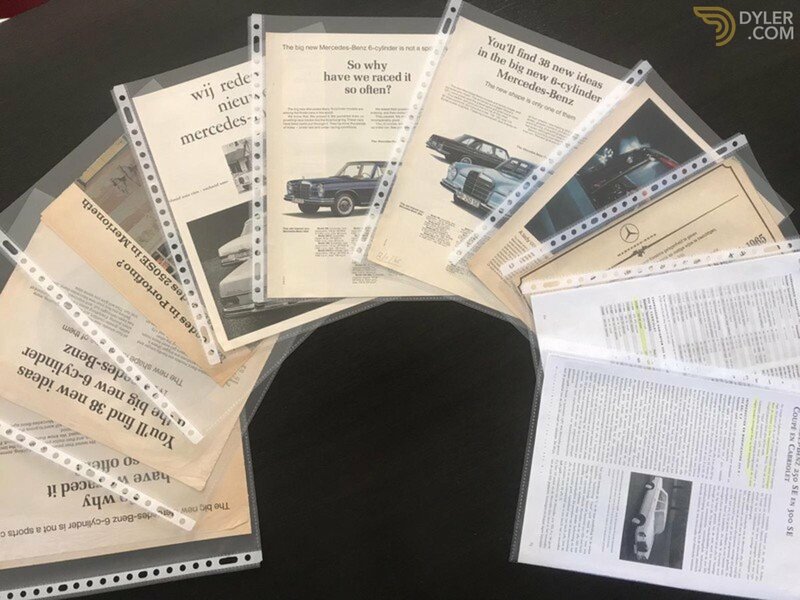 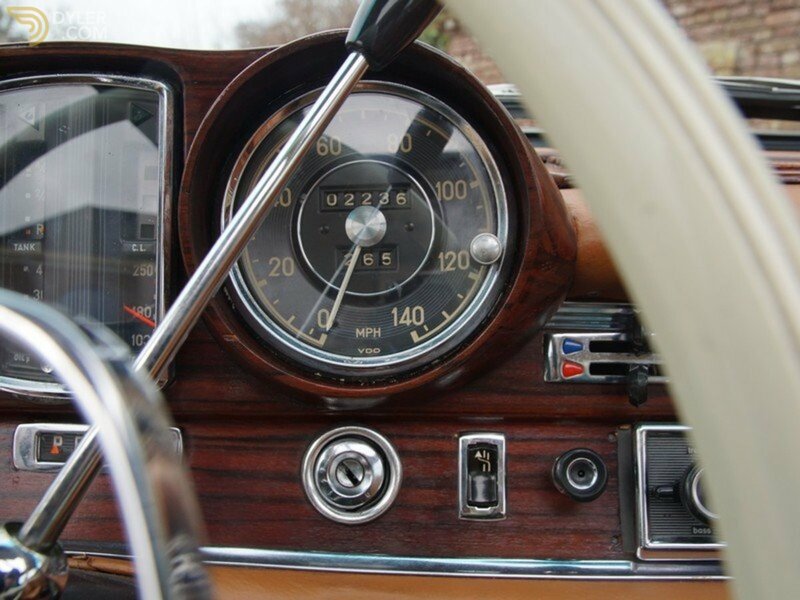 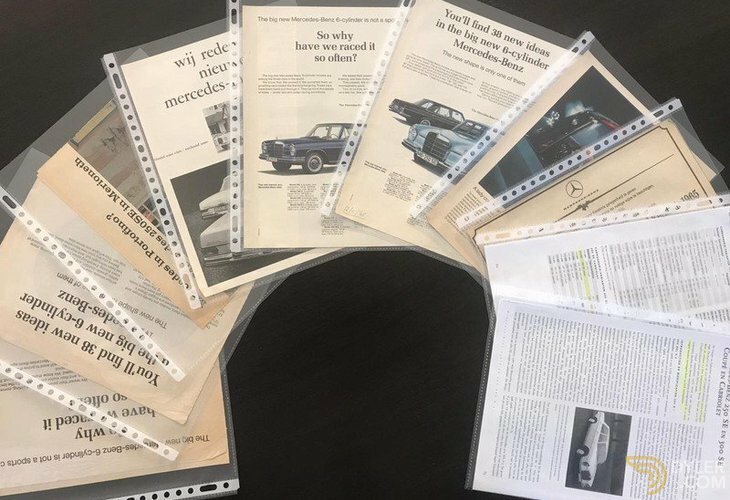 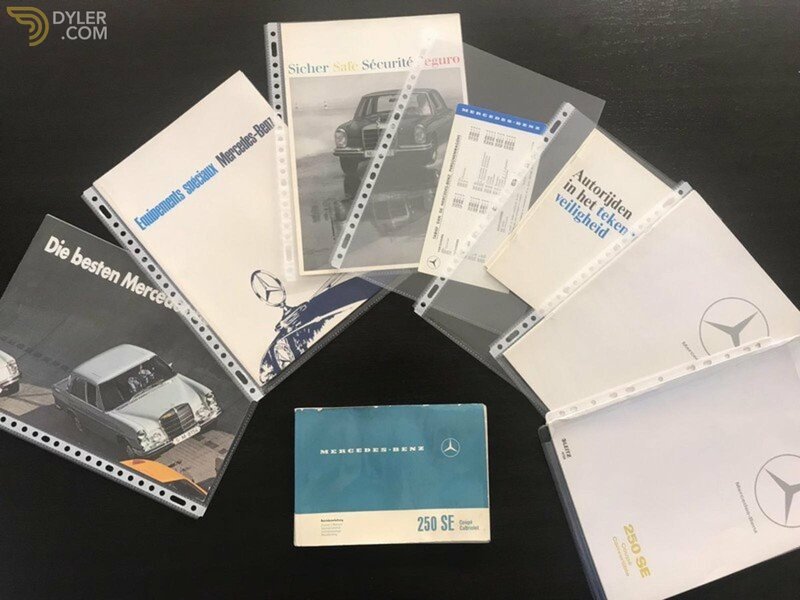 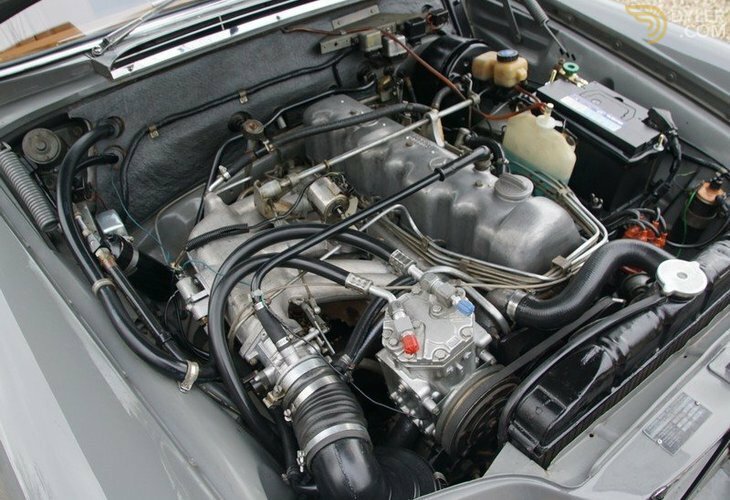 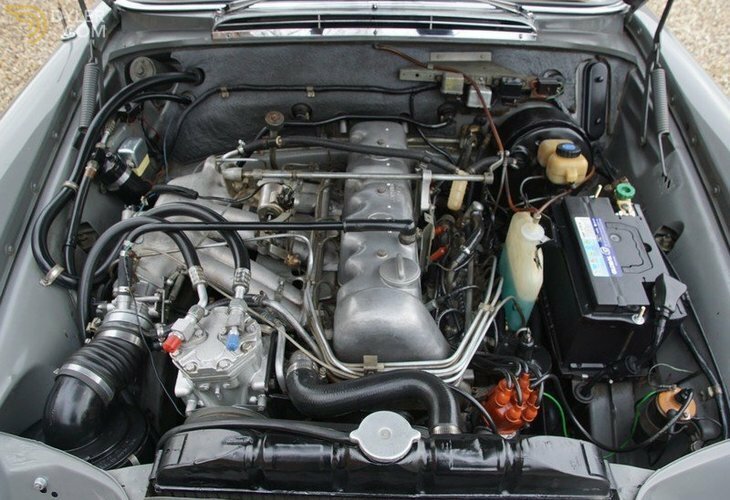 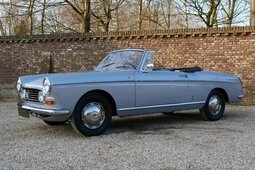 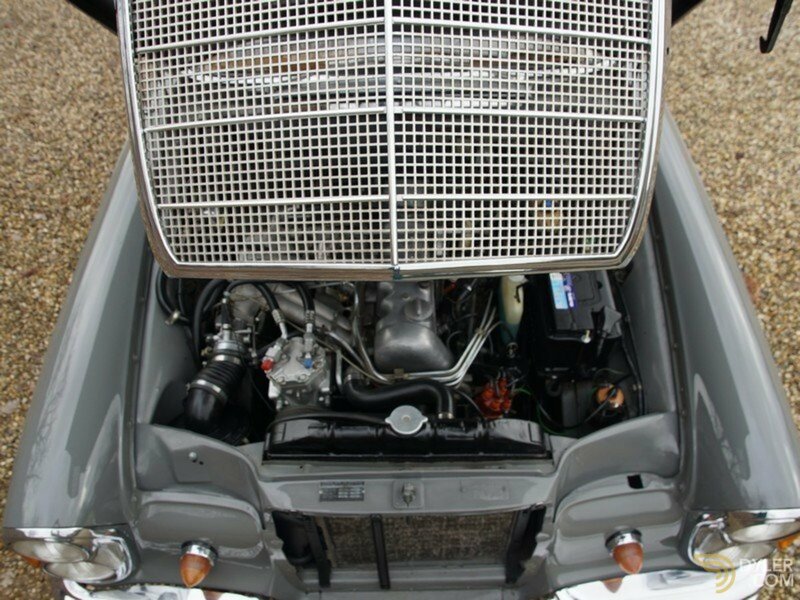 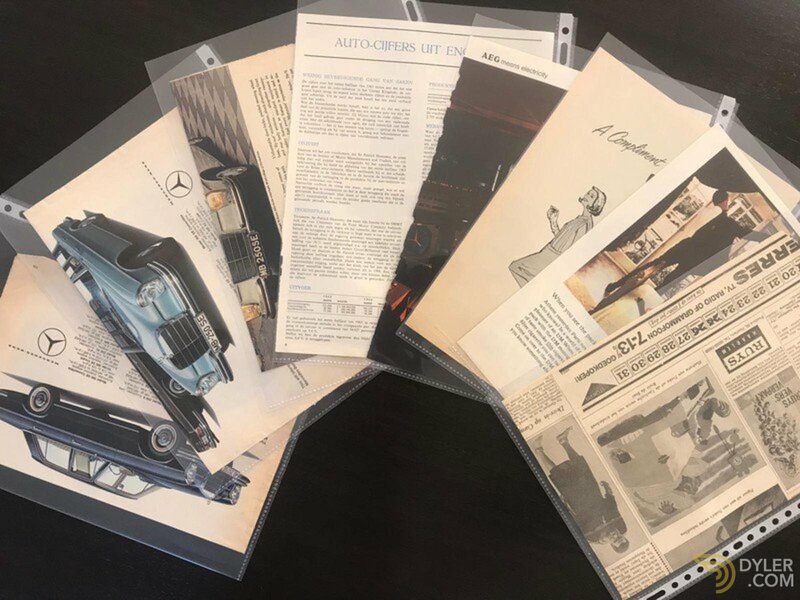 This 250 SE has retained its original, matching numbers, engine, it has been certified and comes with a copy of the ‘Datenkarte’. 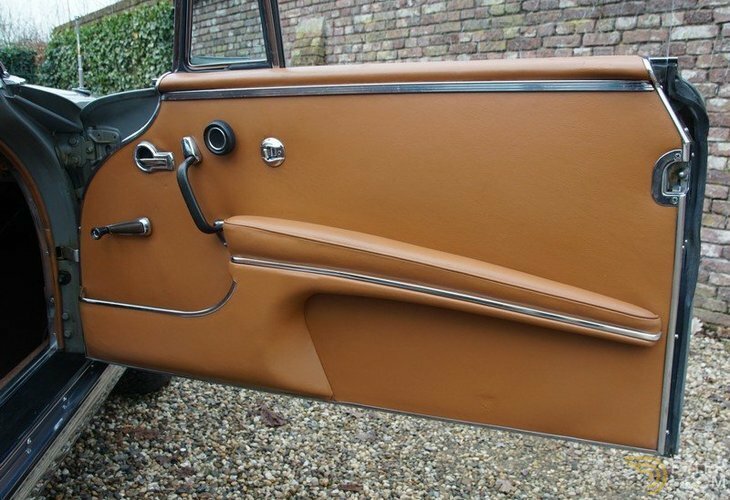 A truly top example in an unusual colour scheme!